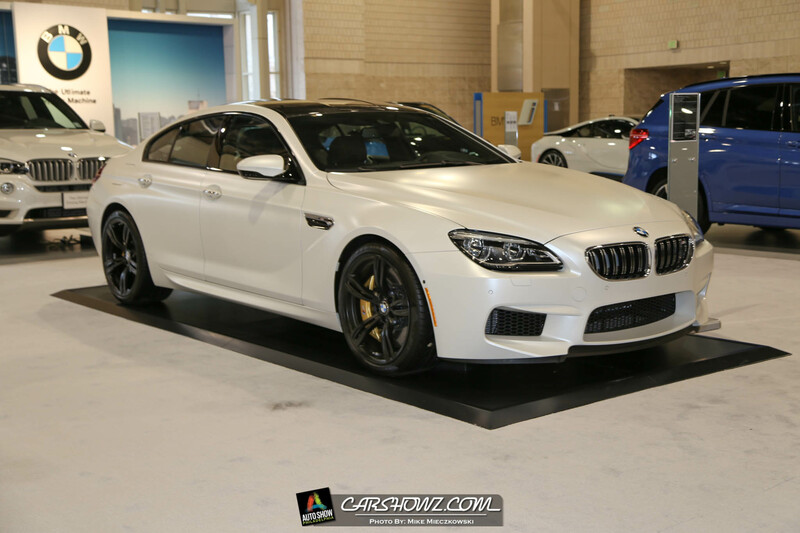 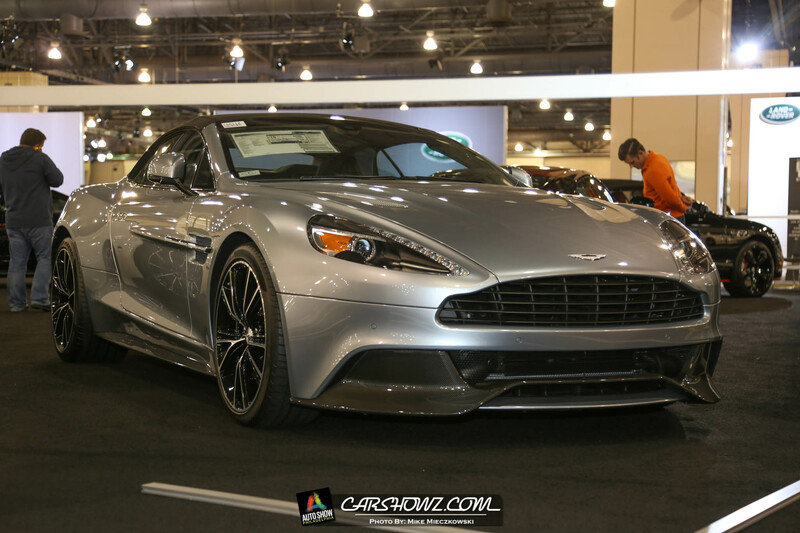 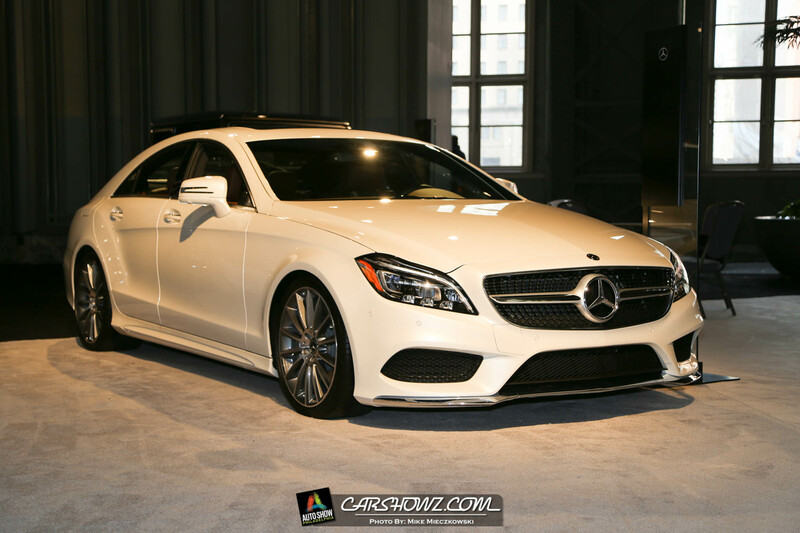 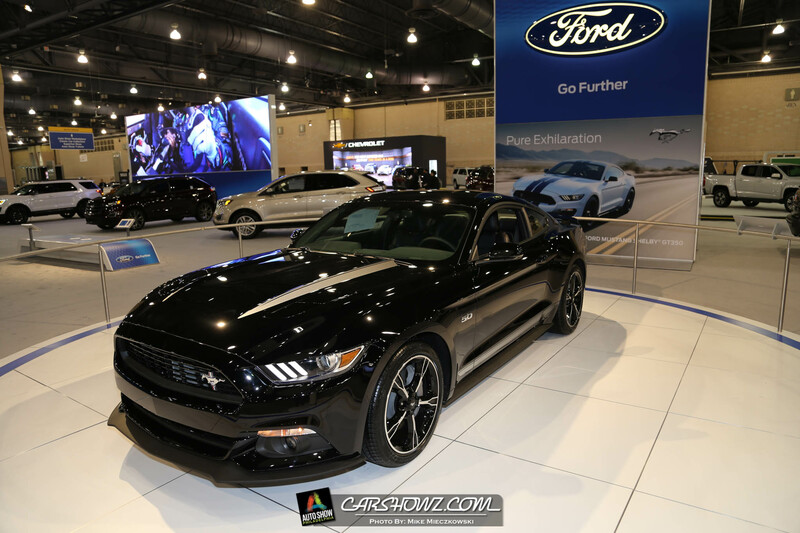 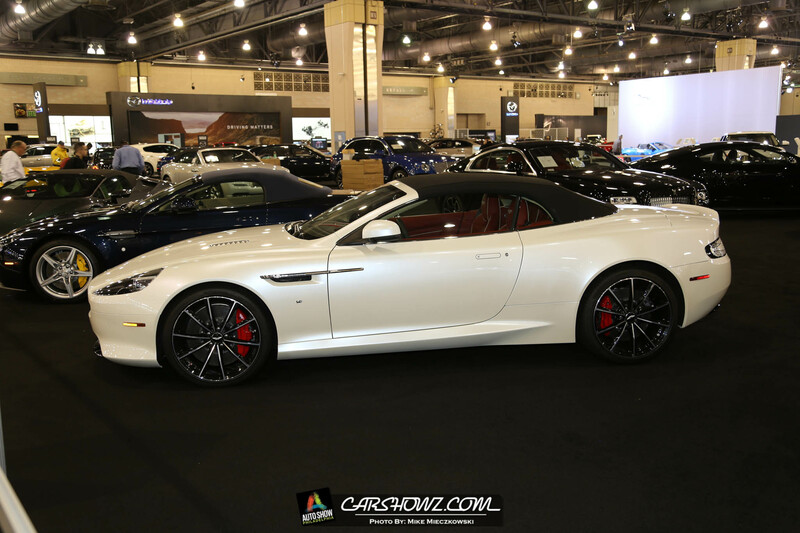 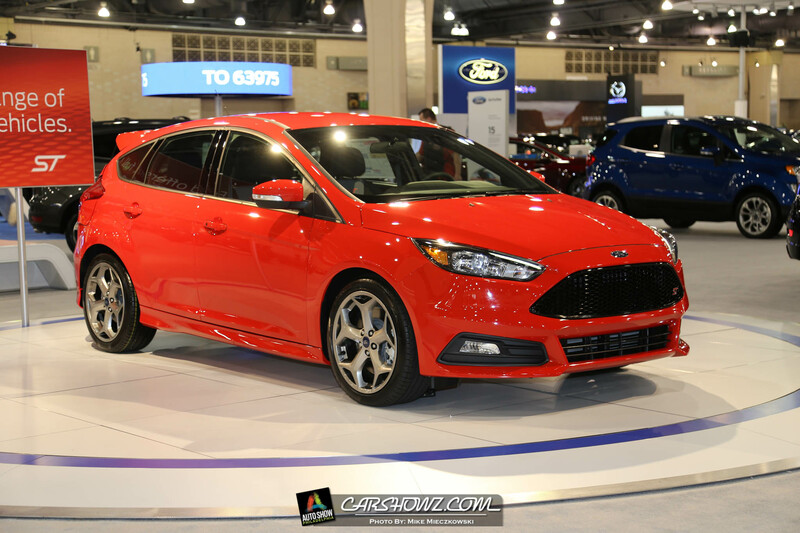 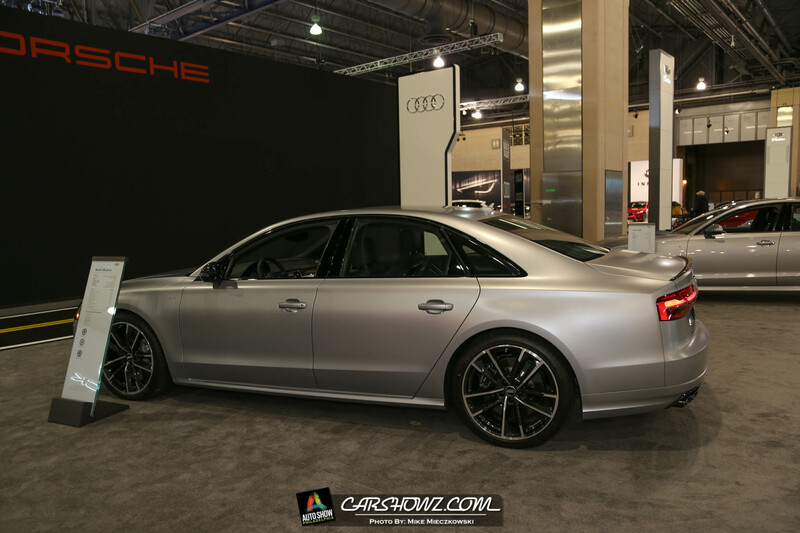 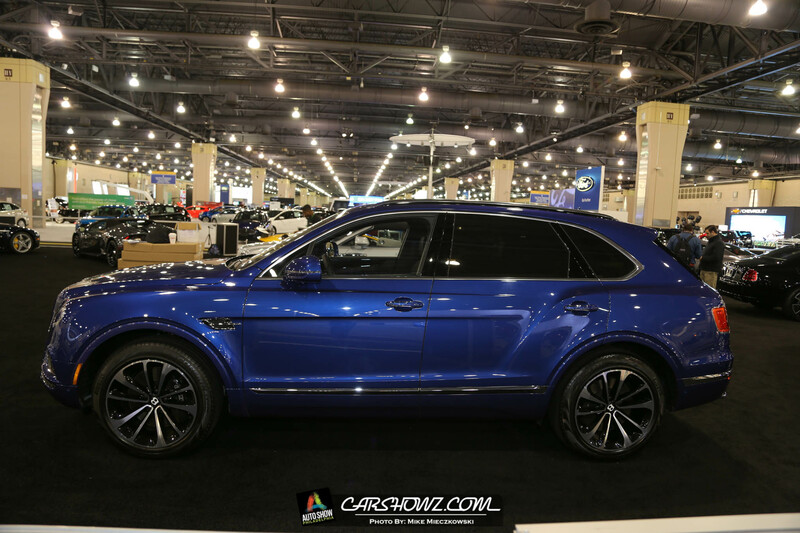 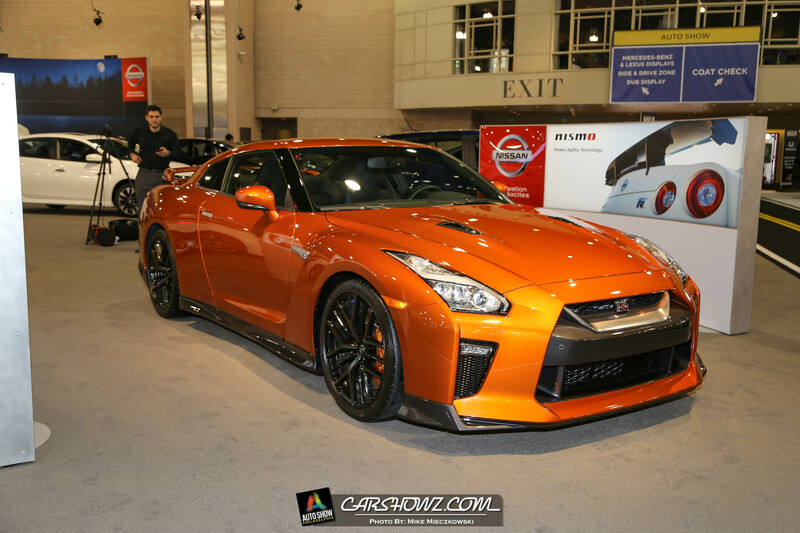 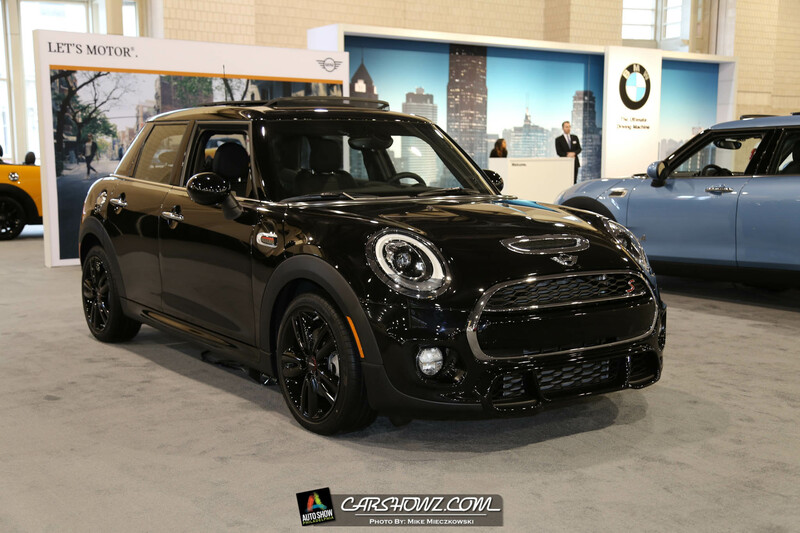 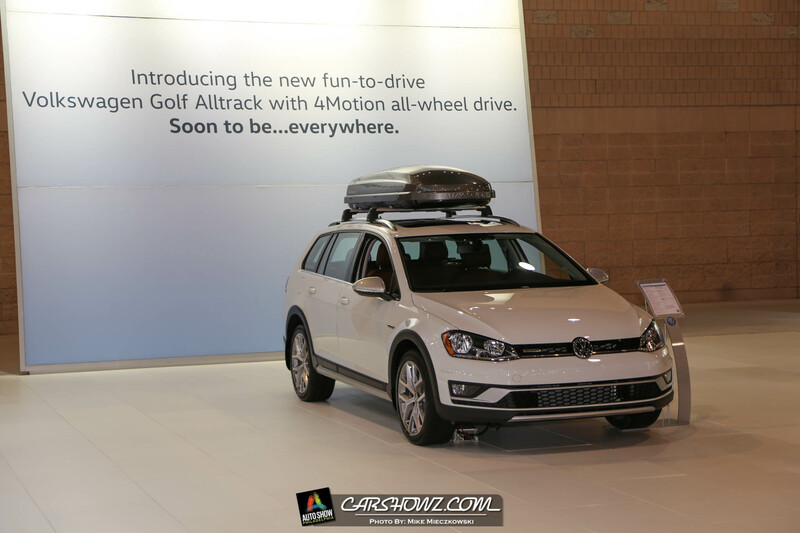 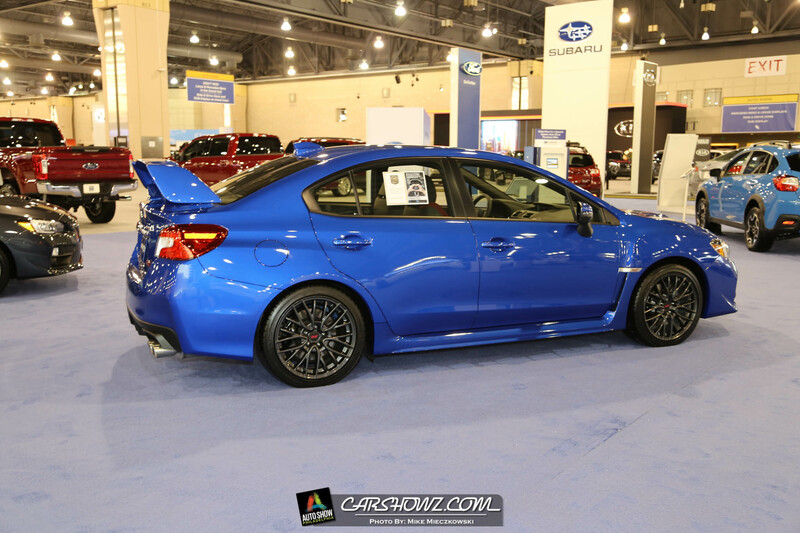 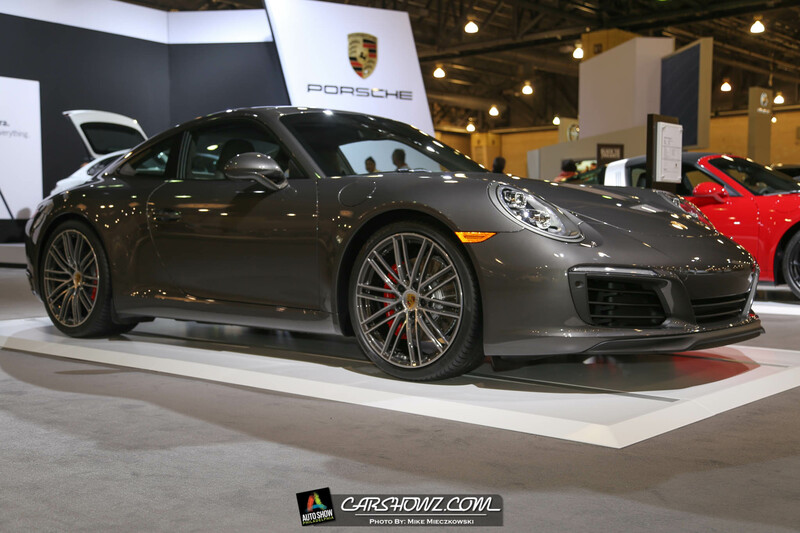 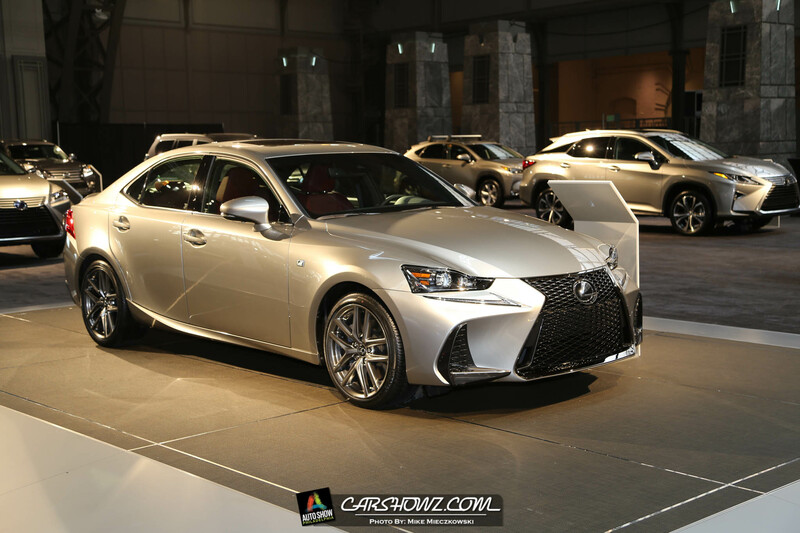 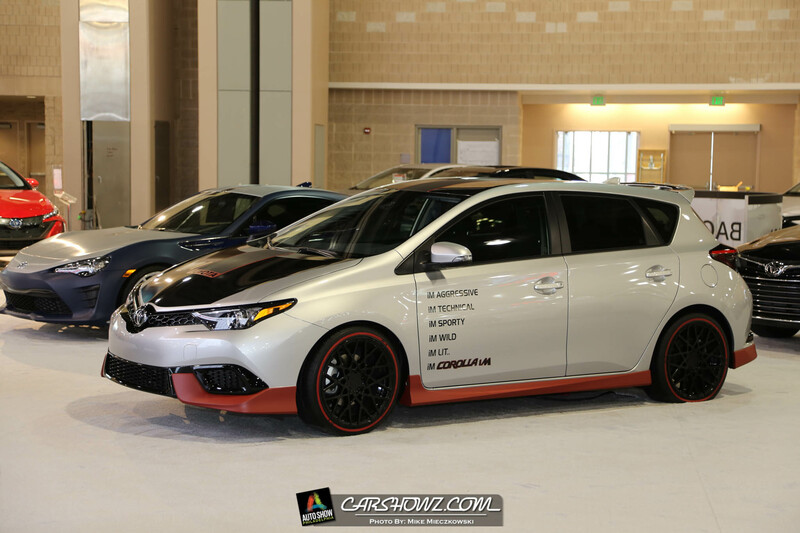 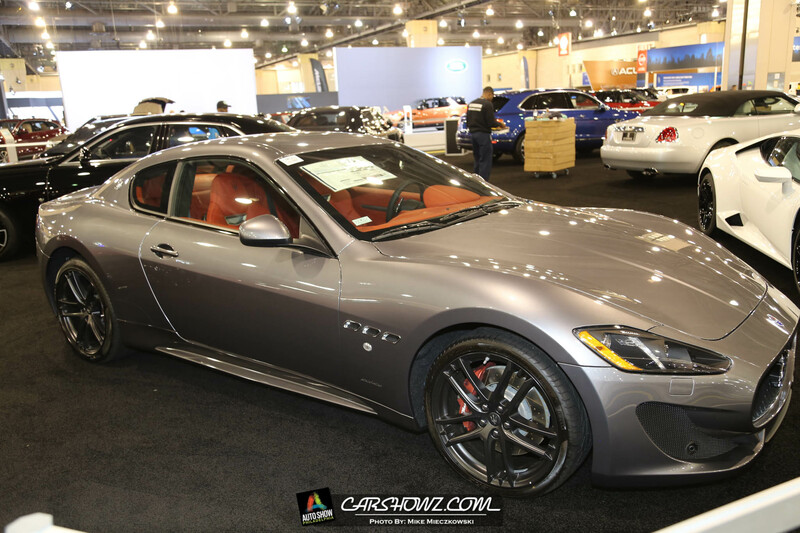 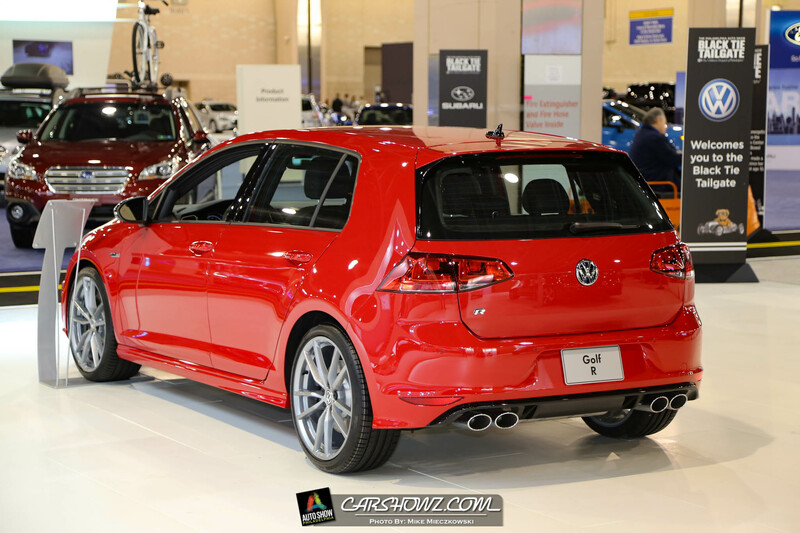 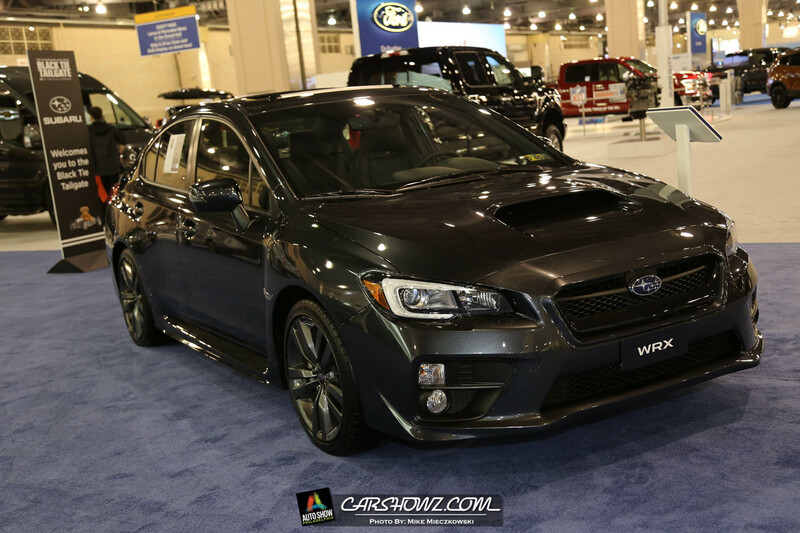 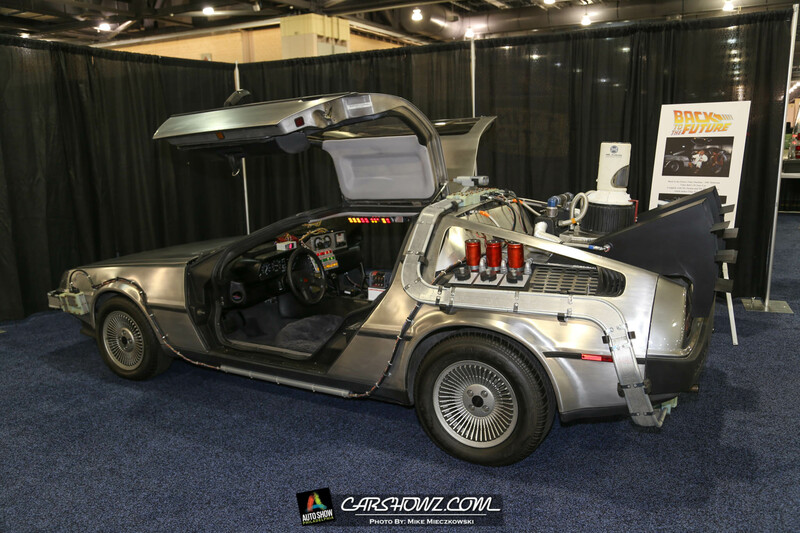 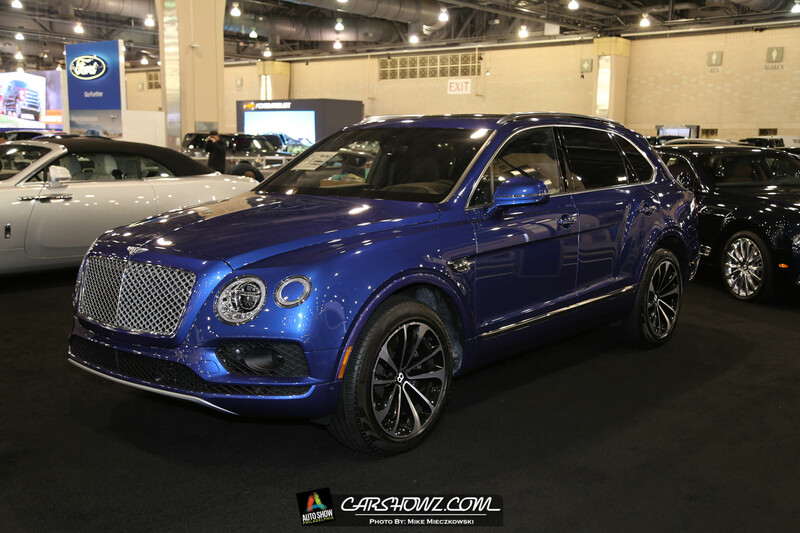 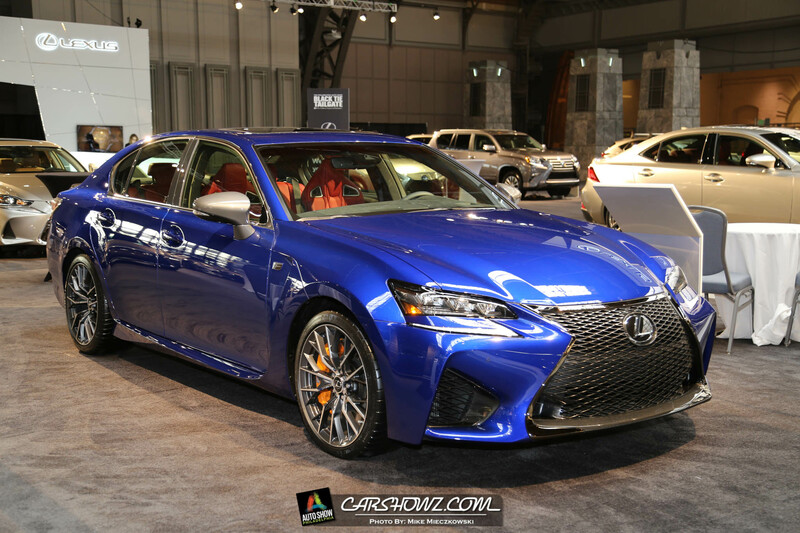 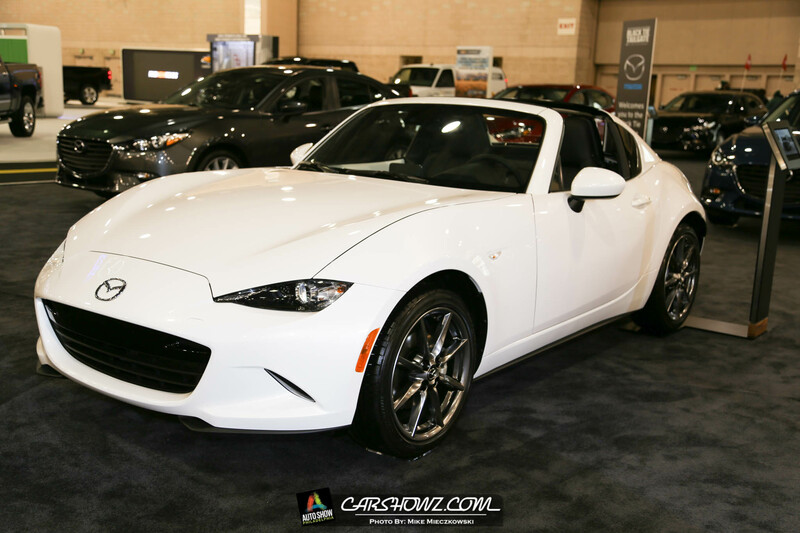 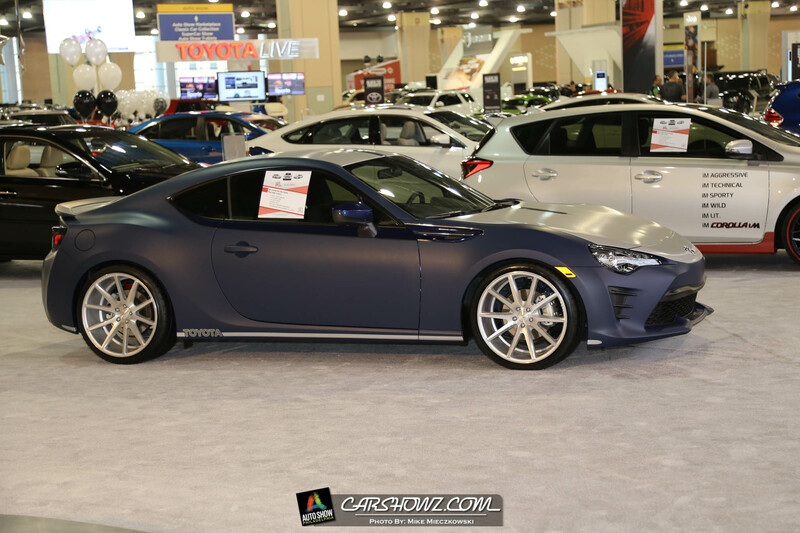 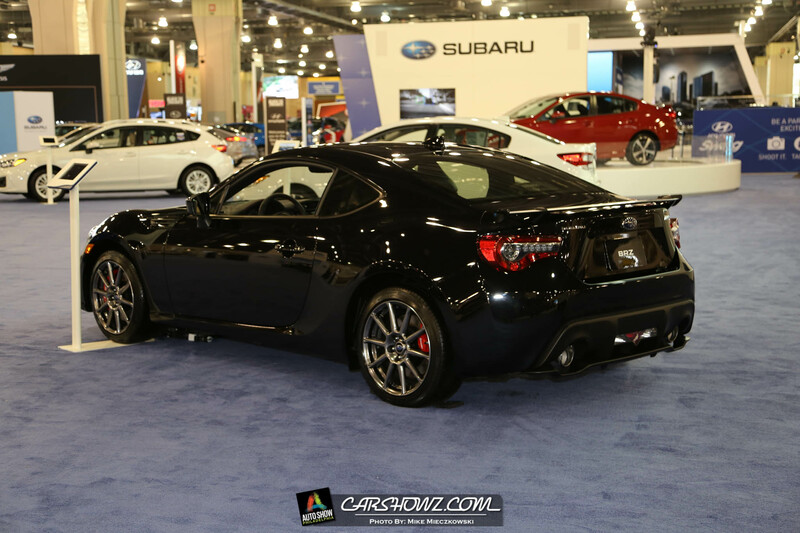 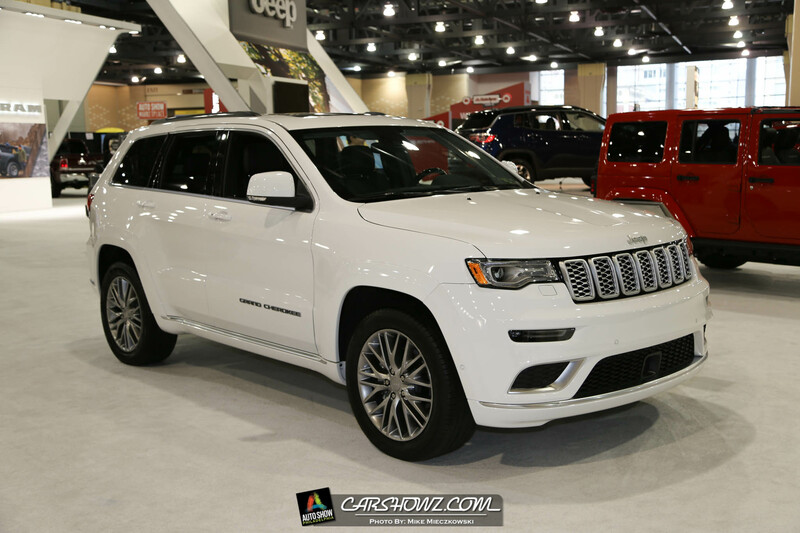 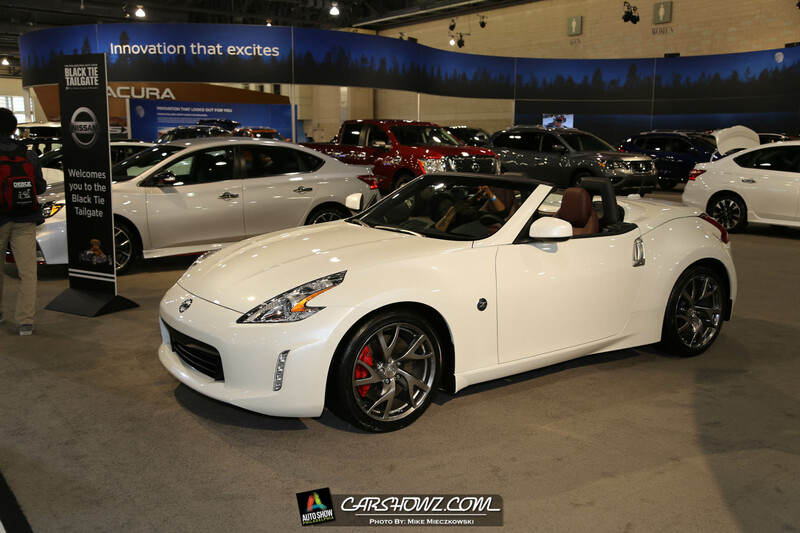 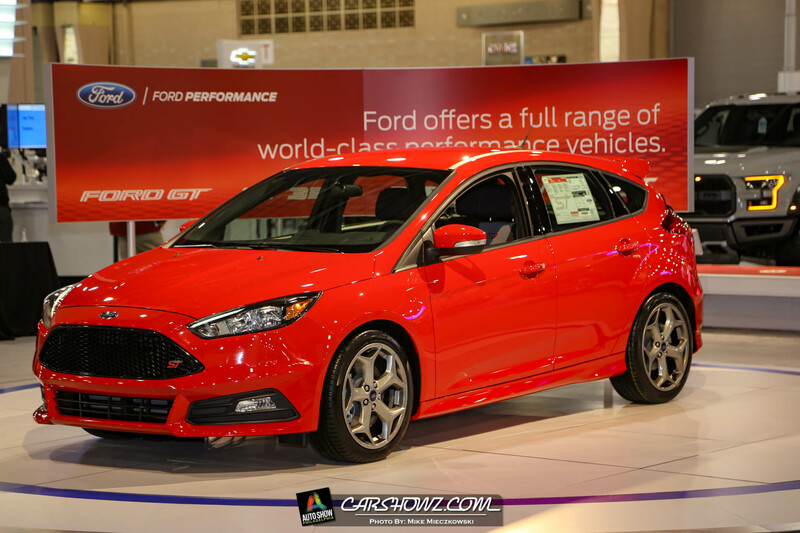 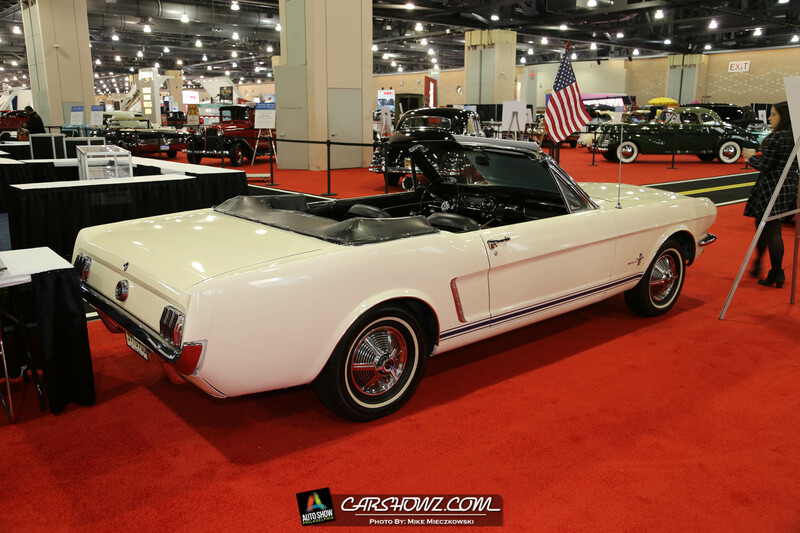 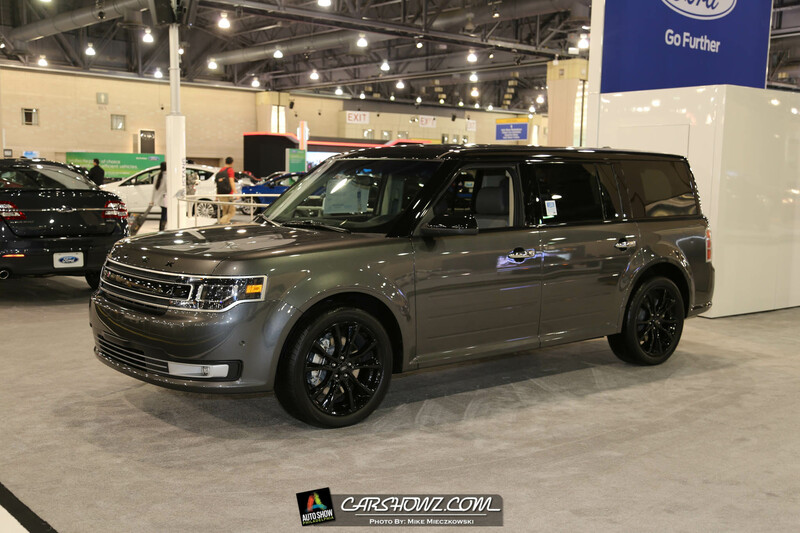 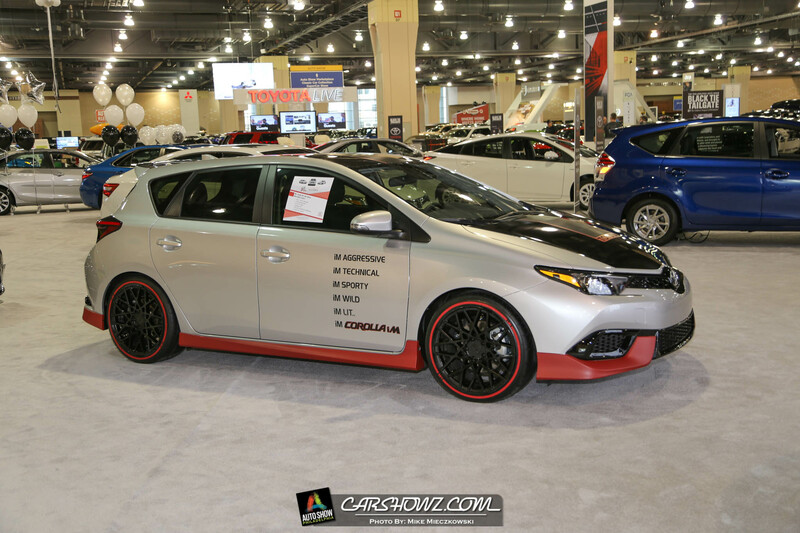 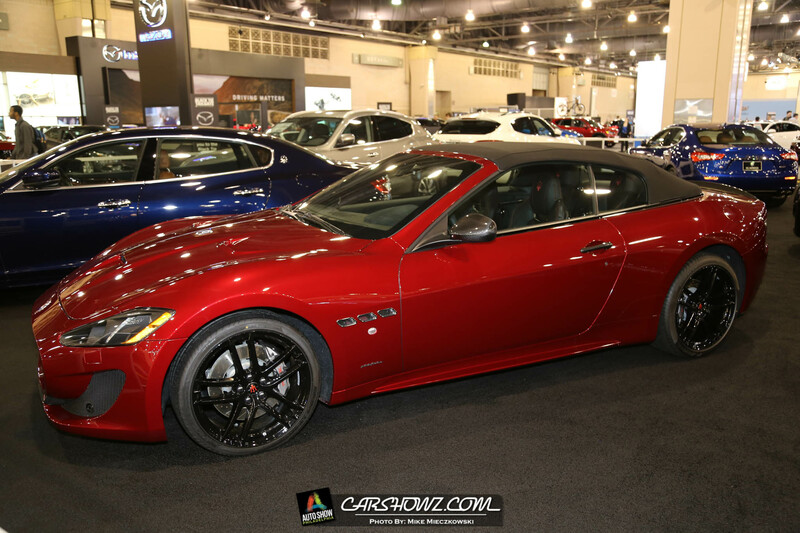 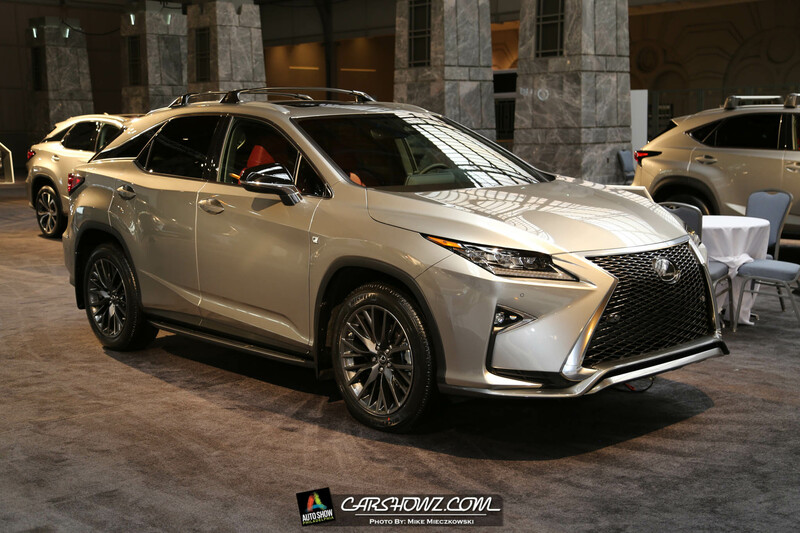 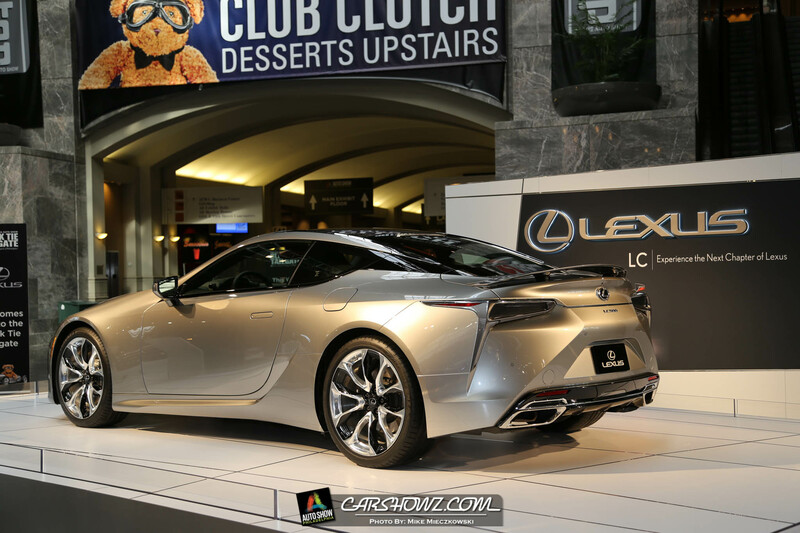 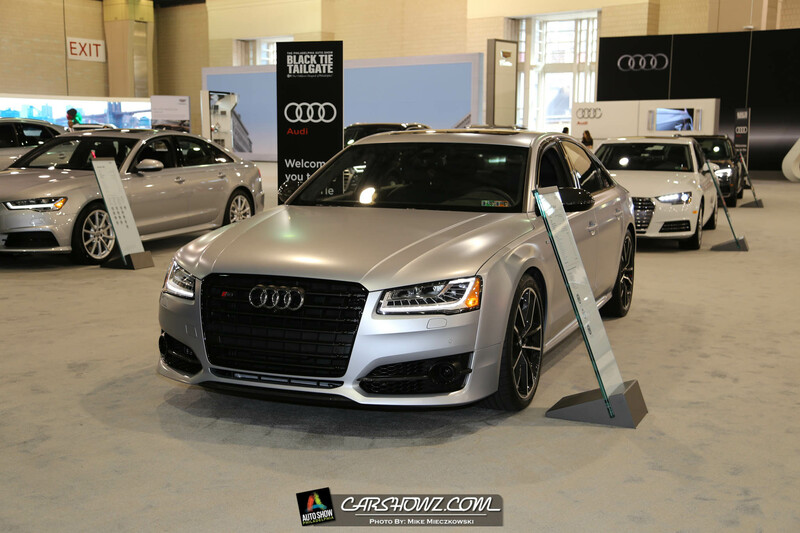 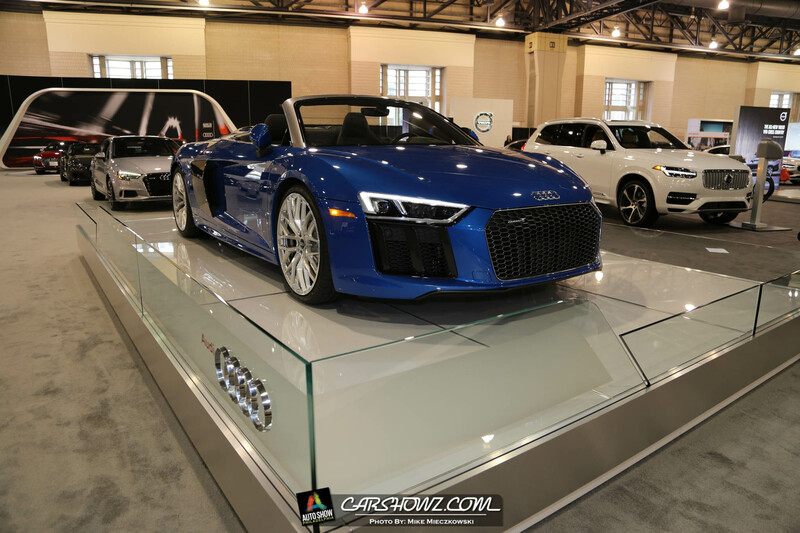 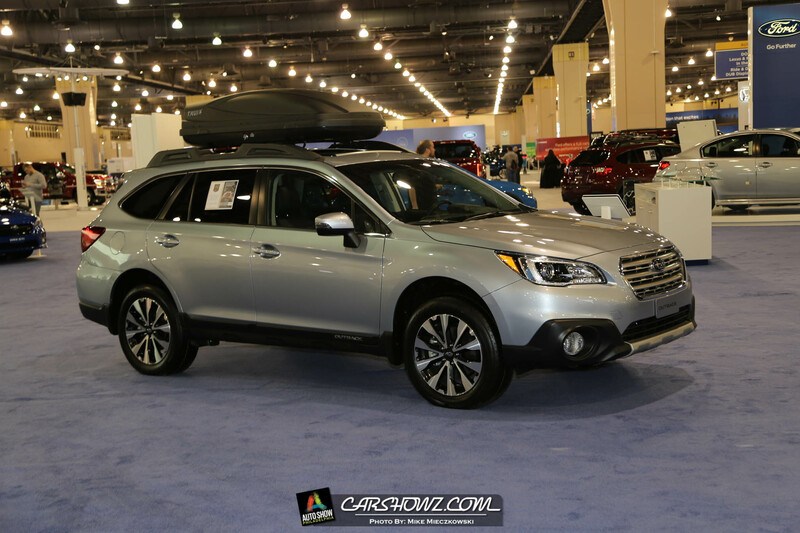 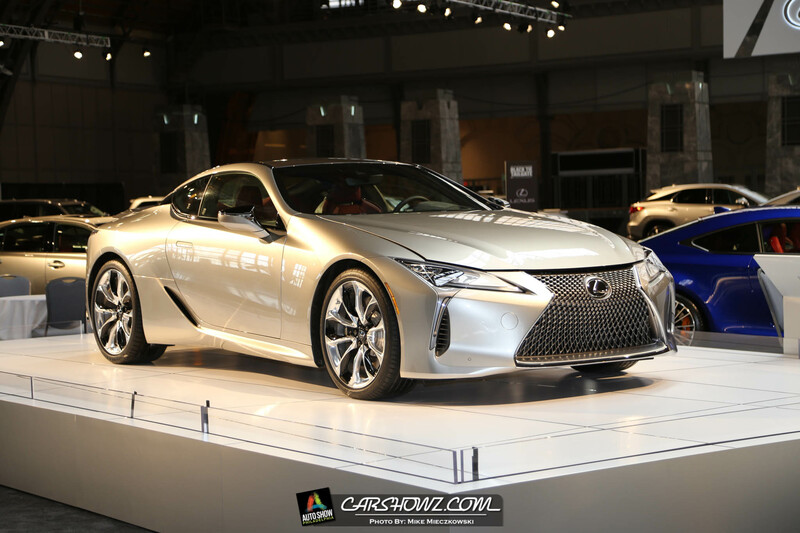 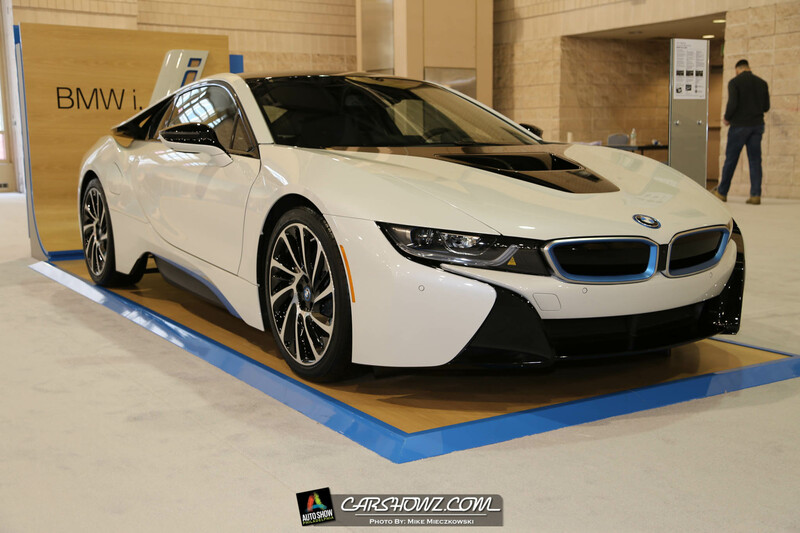 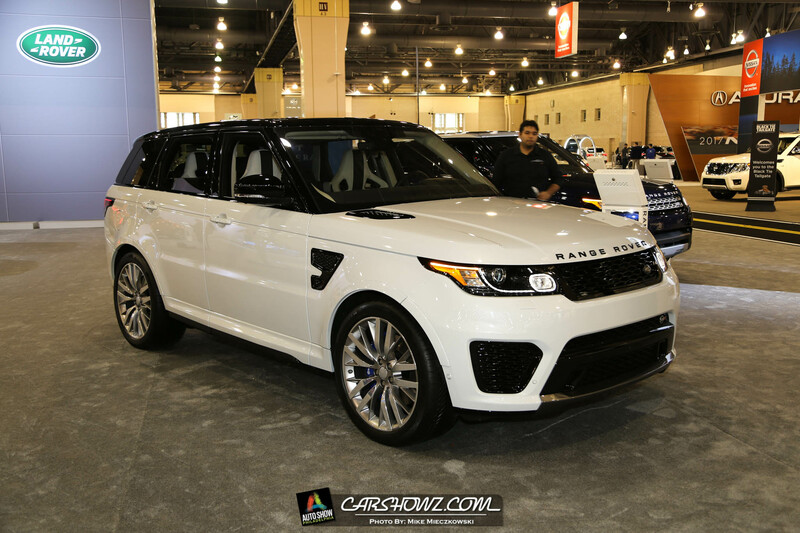 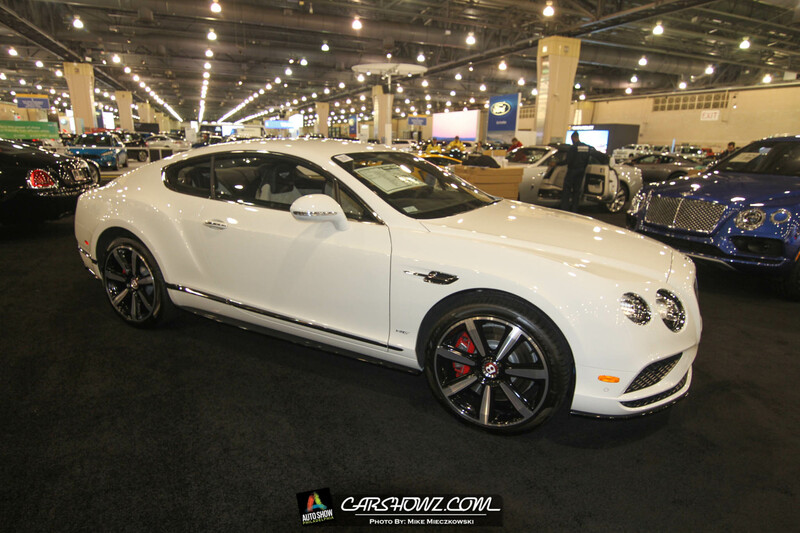 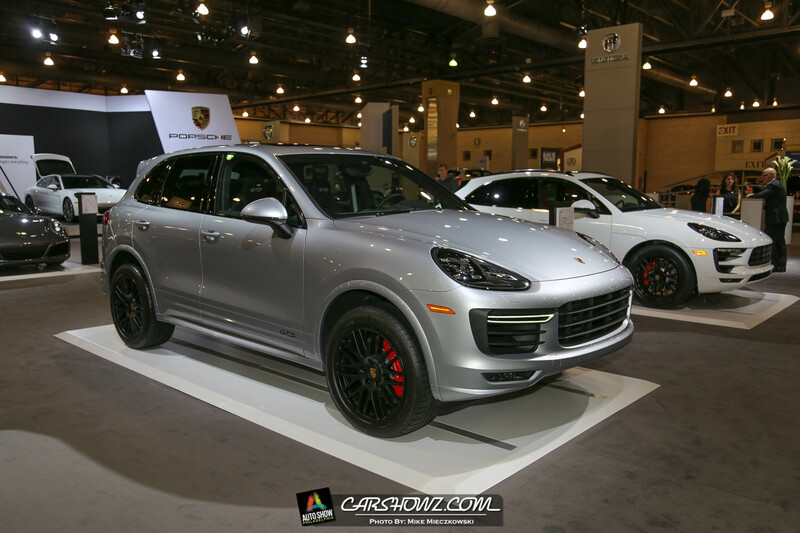 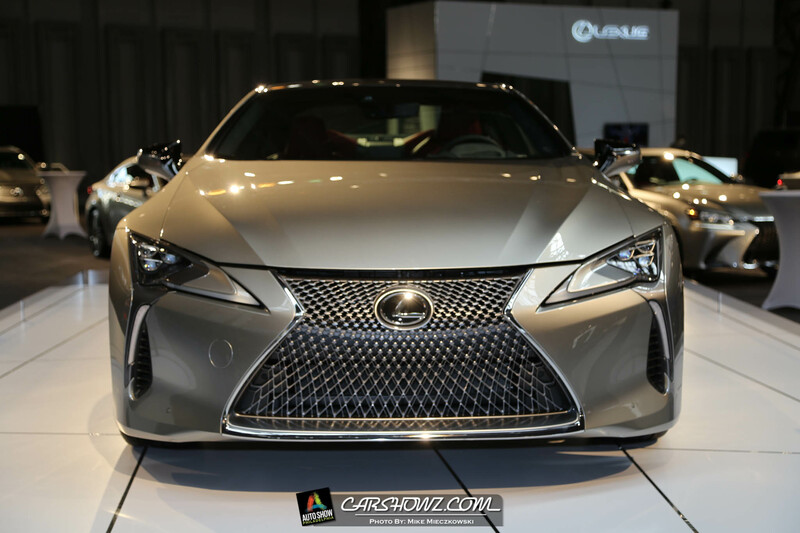 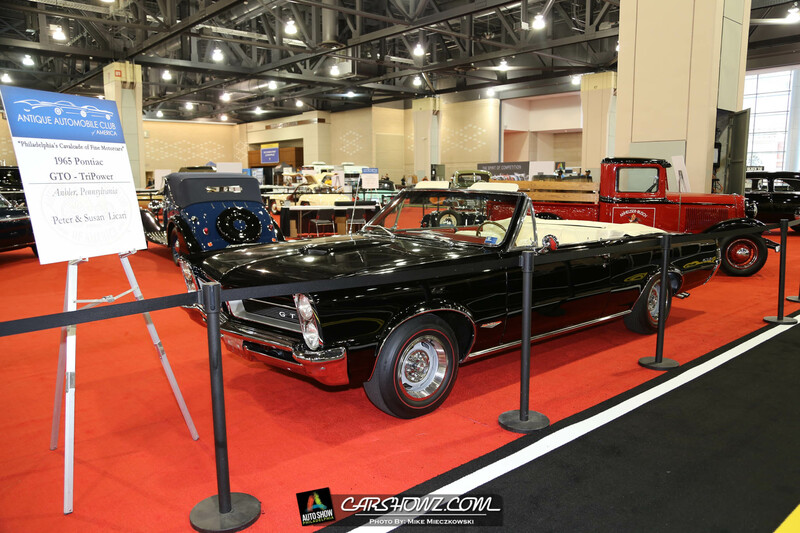 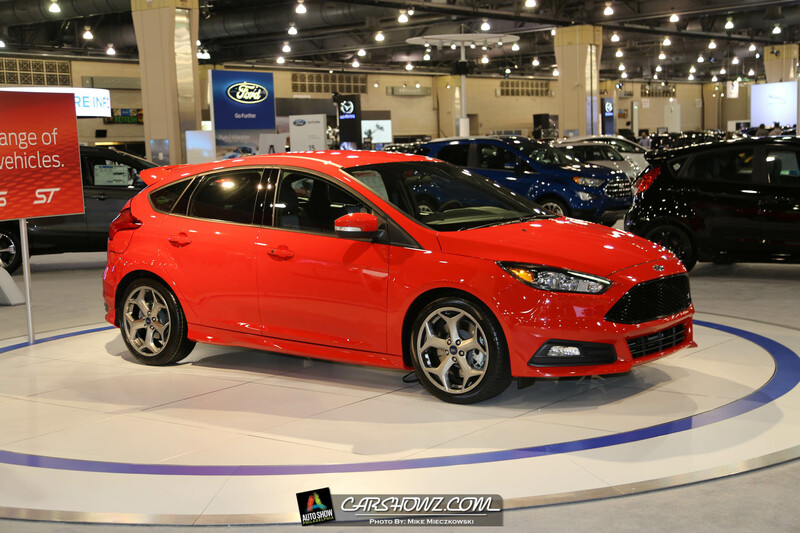 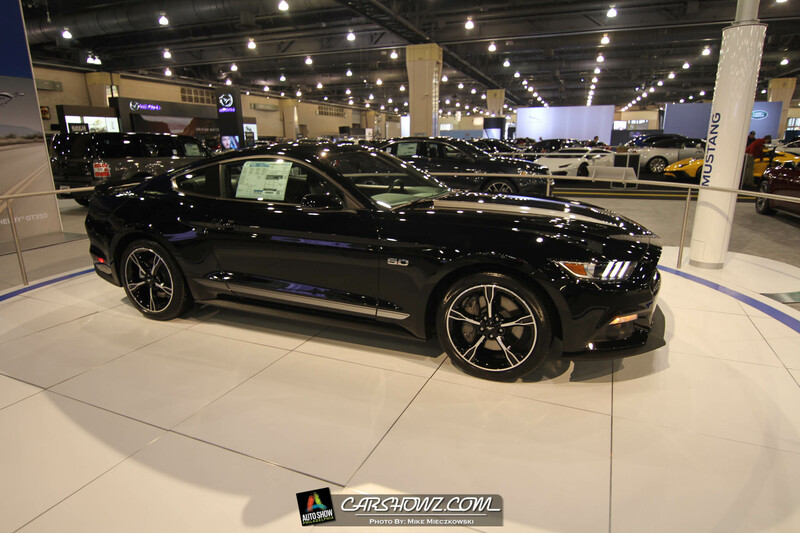 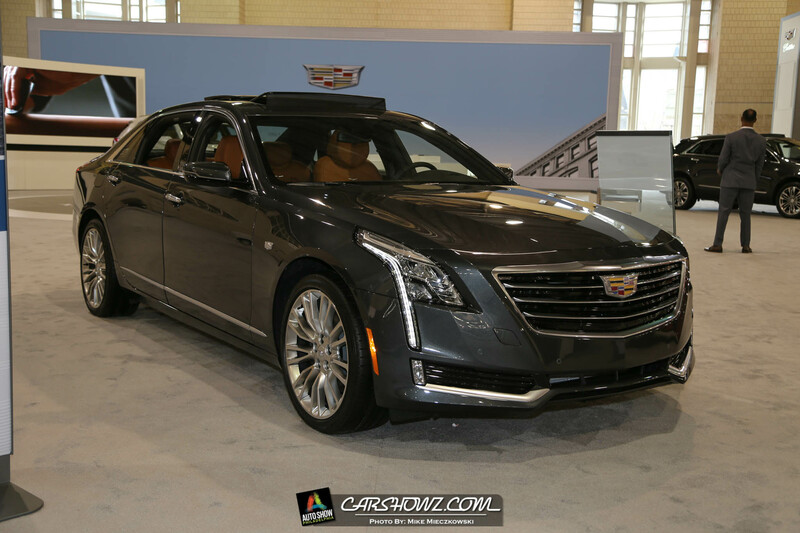 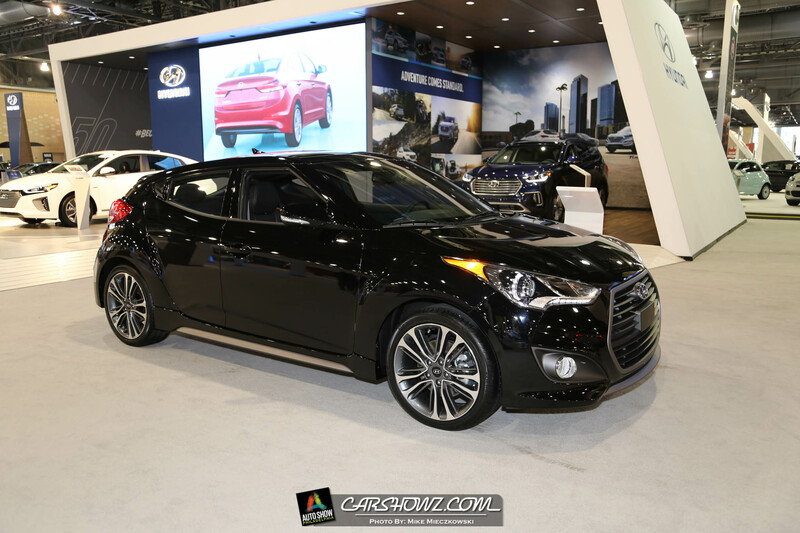 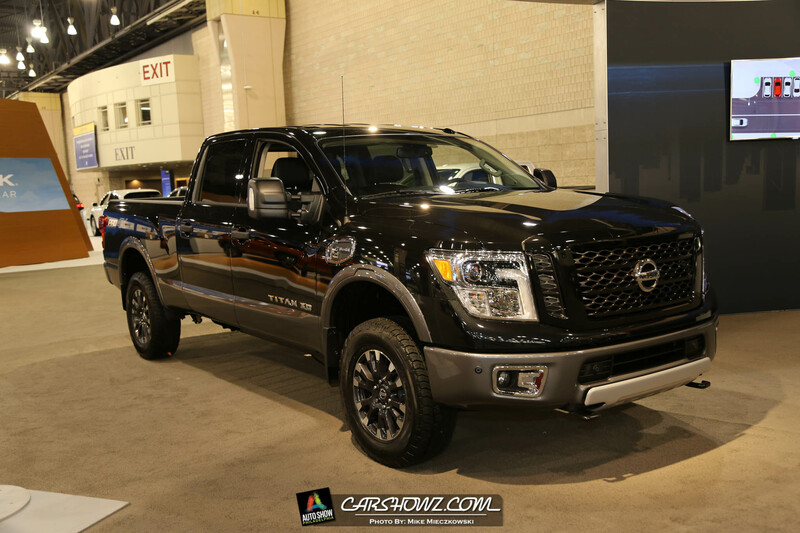 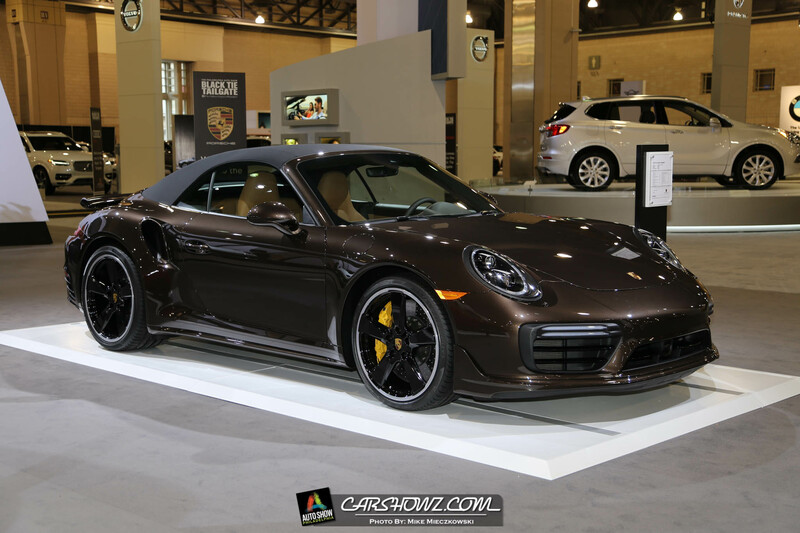 The 2017 Philly Auto Show kicked off at the Philadelphia Convention Center on January 28th and runs through February 5th. 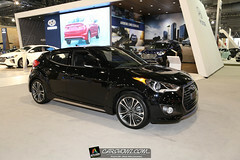 I attended the Media Day on January 28th to get a sneak peek at this year’s offerings. 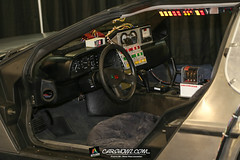 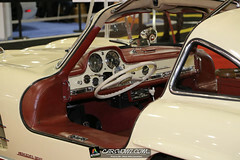 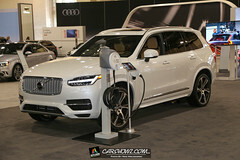 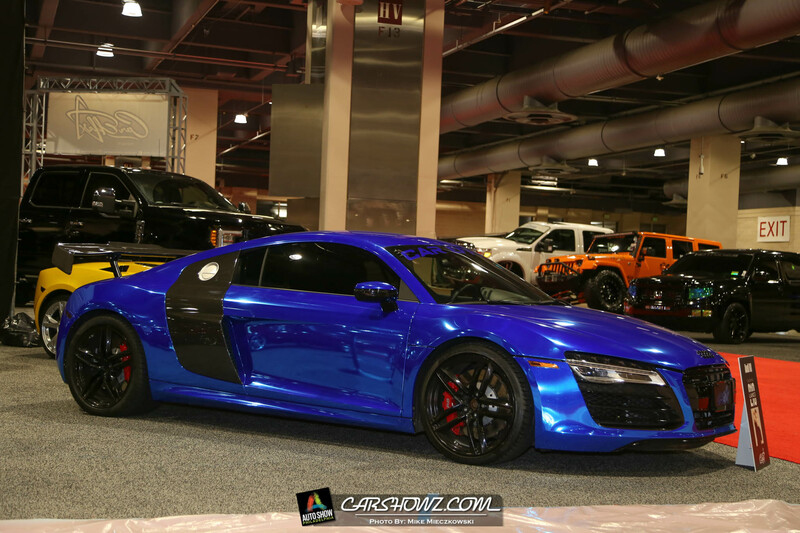 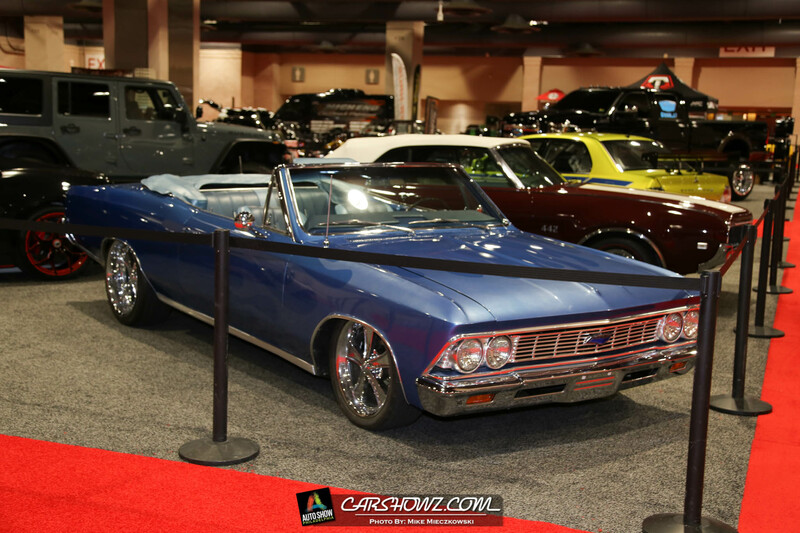 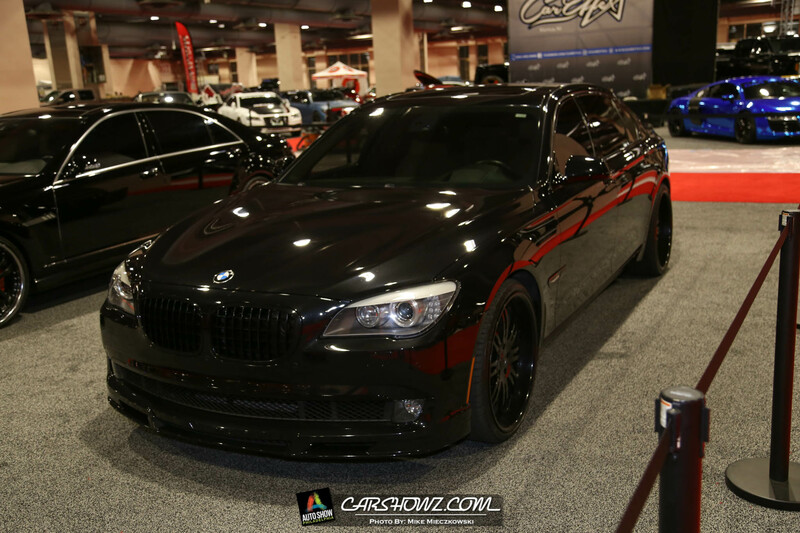 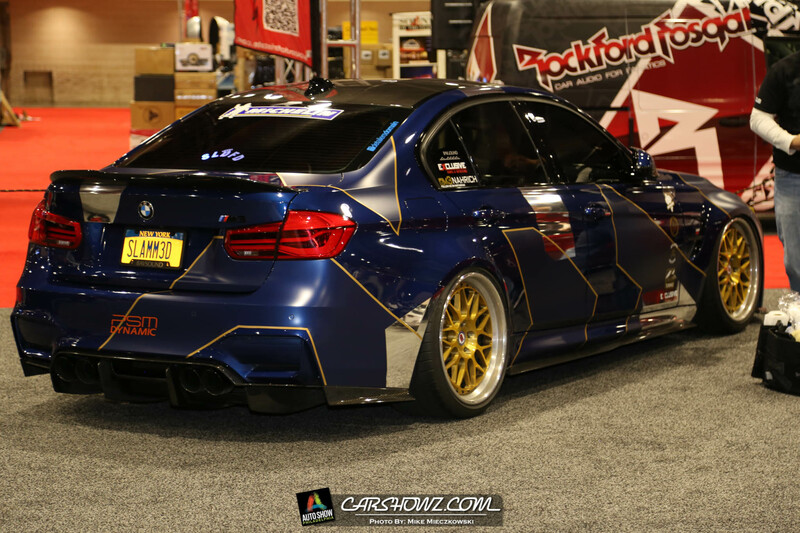 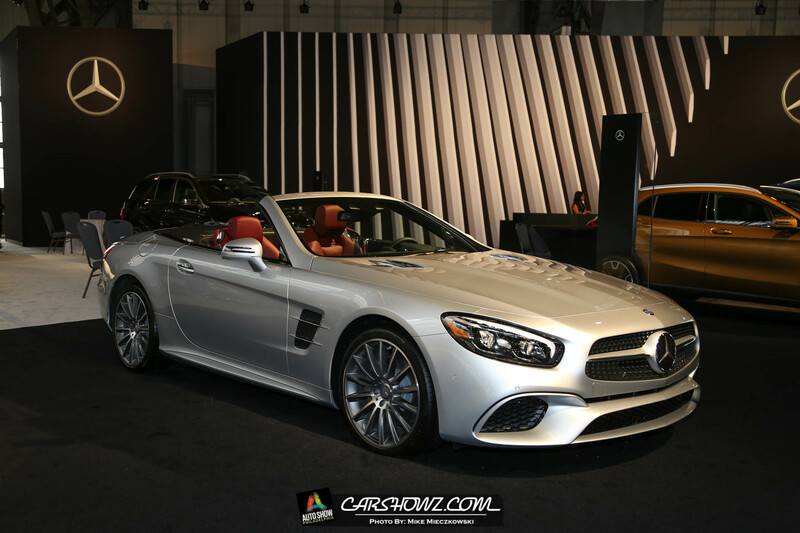 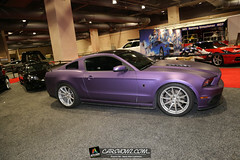 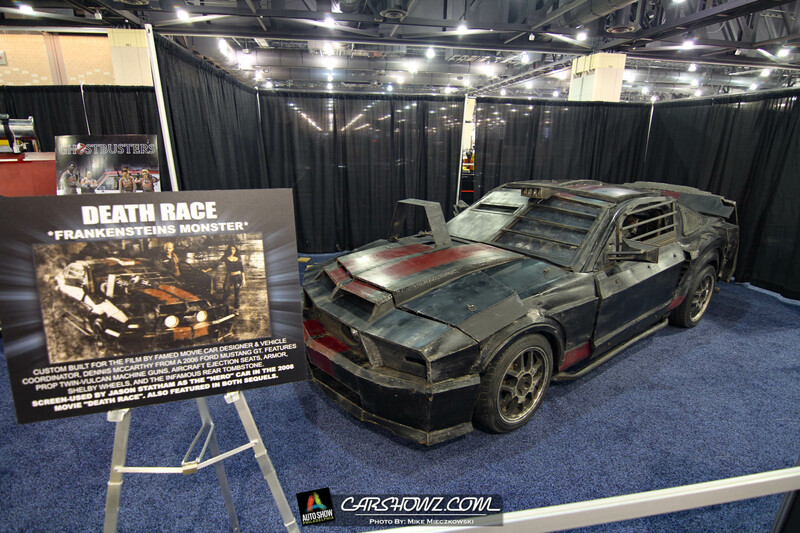 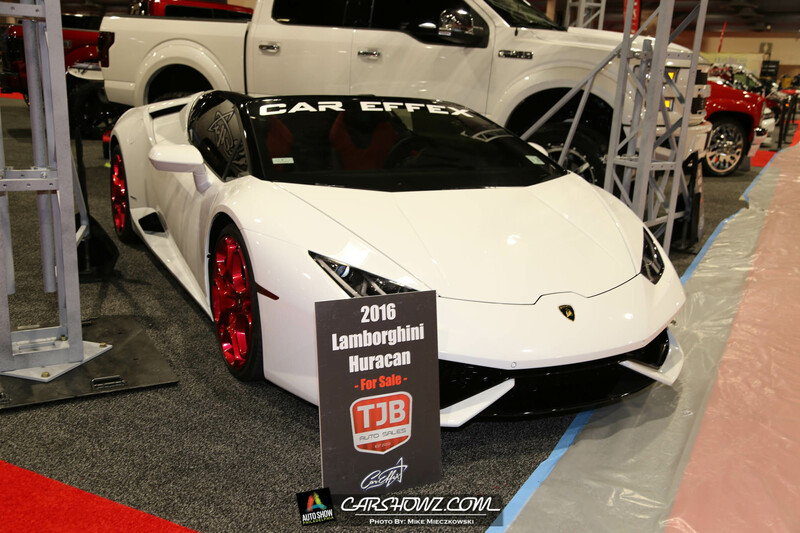 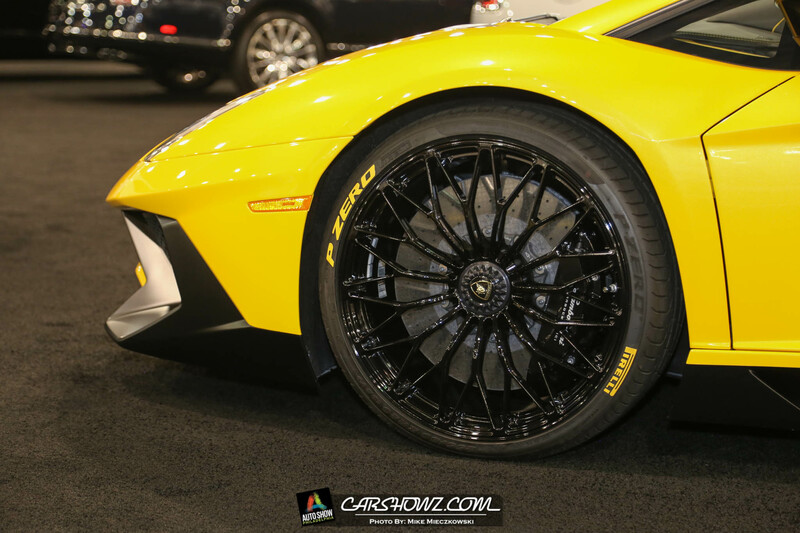 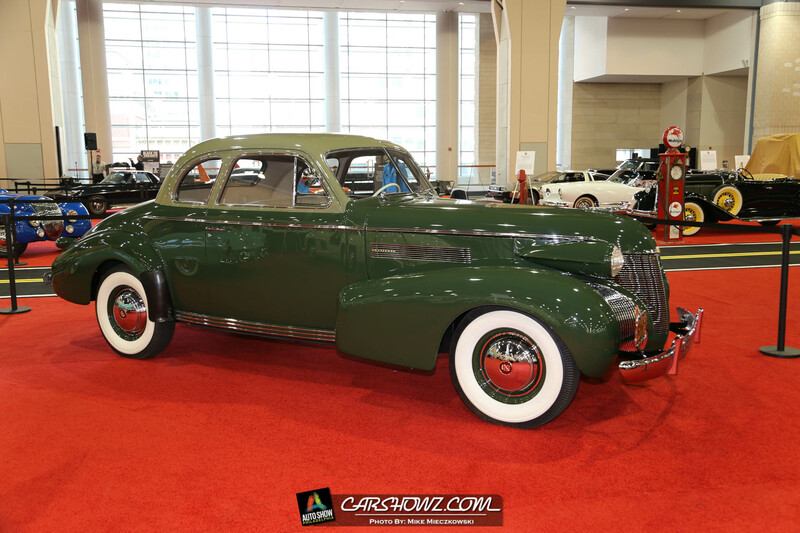 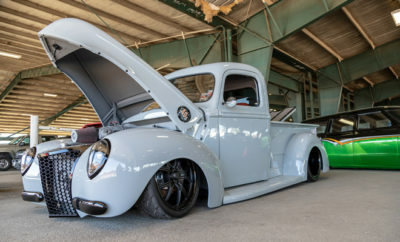 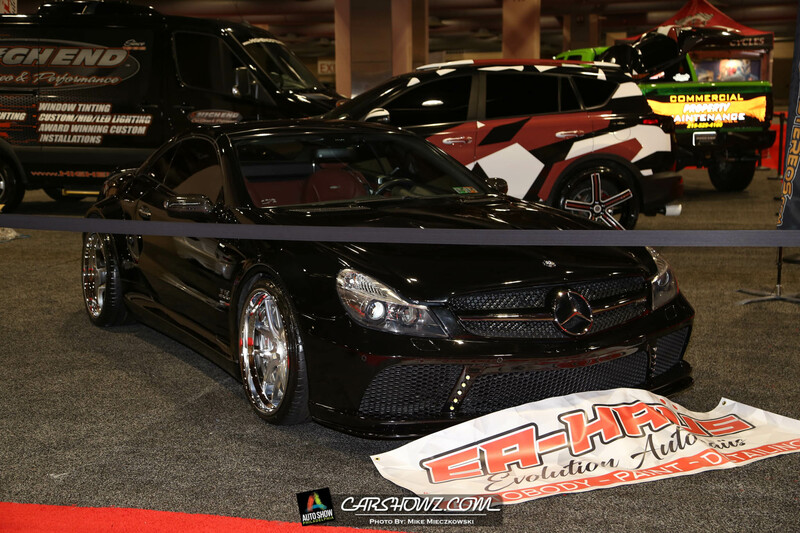 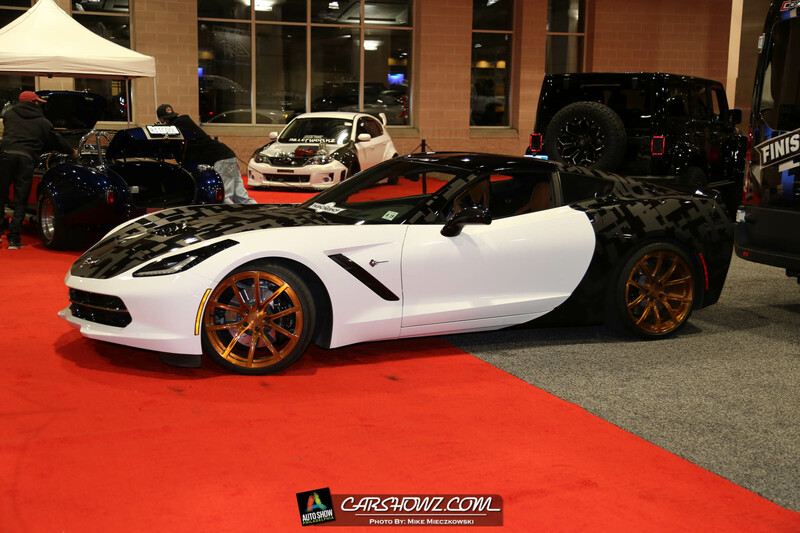 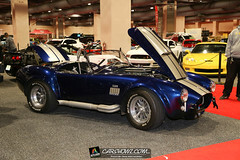 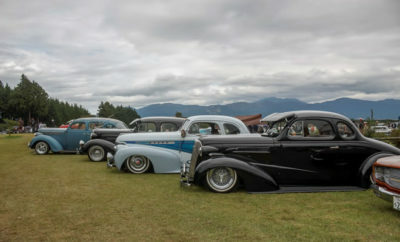 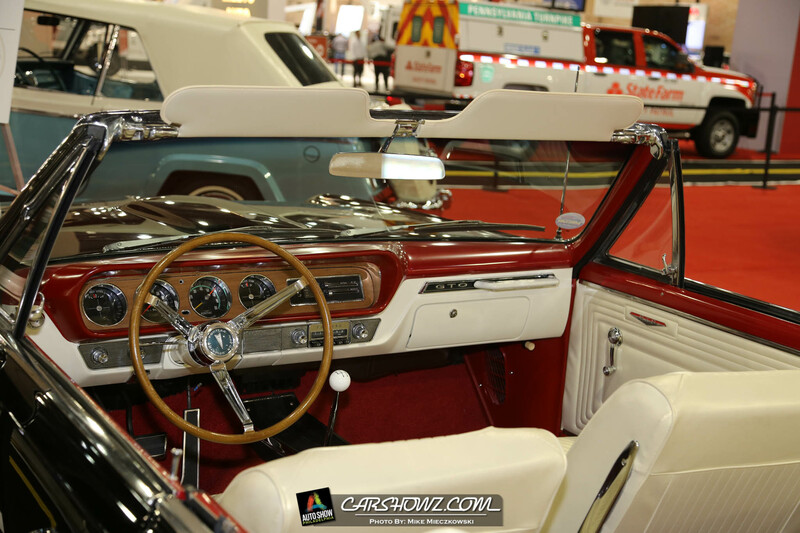 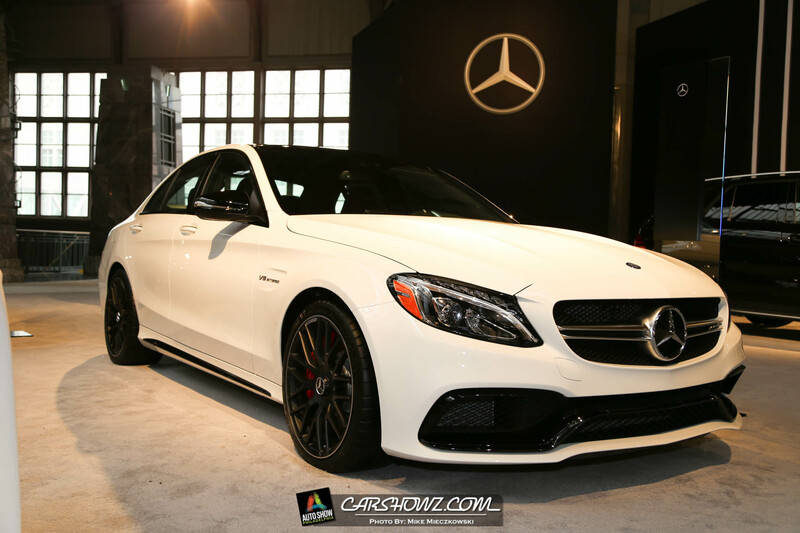 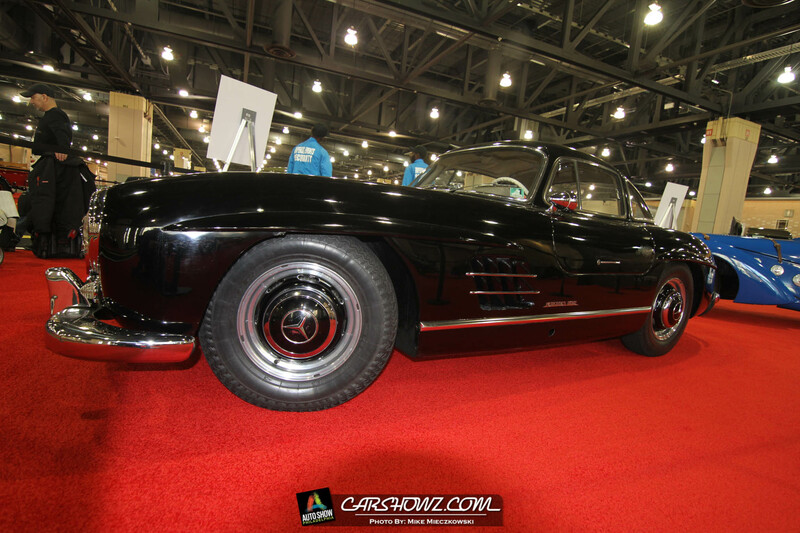 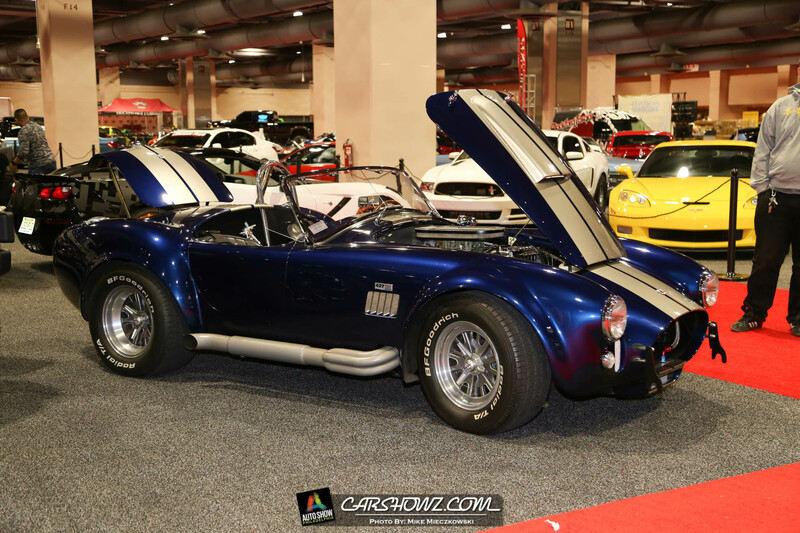 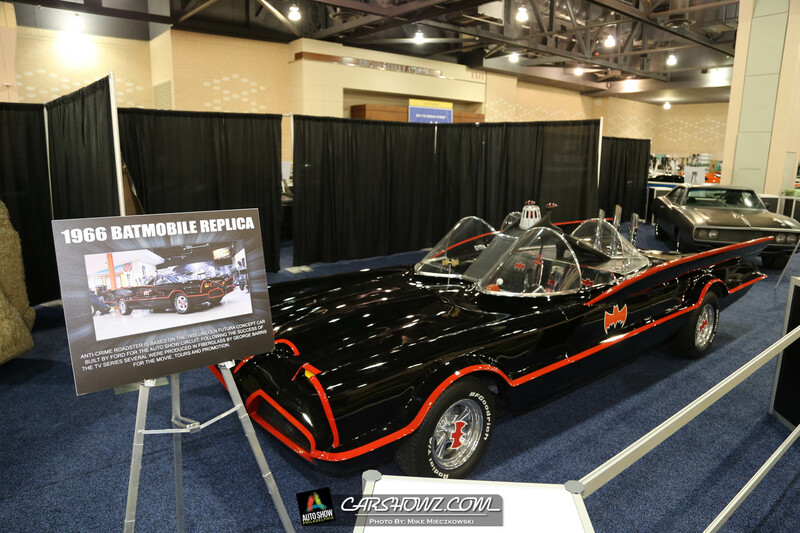 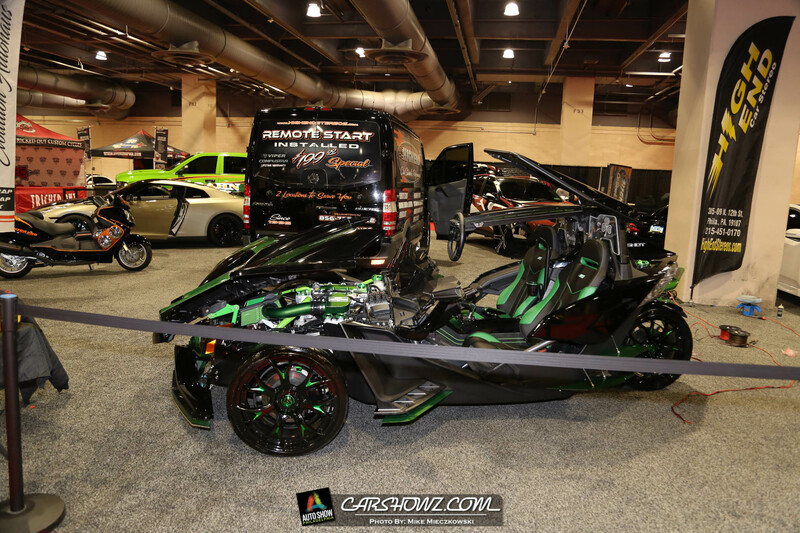 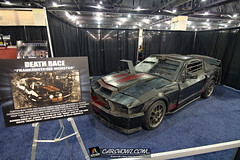 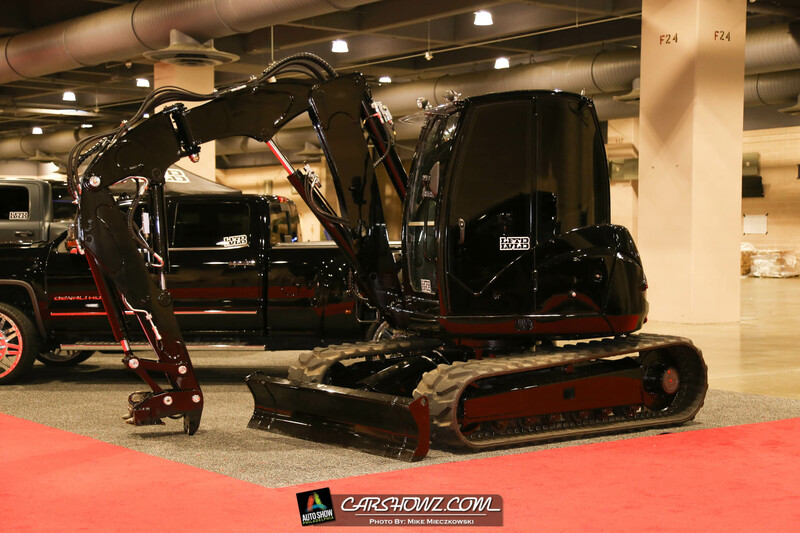 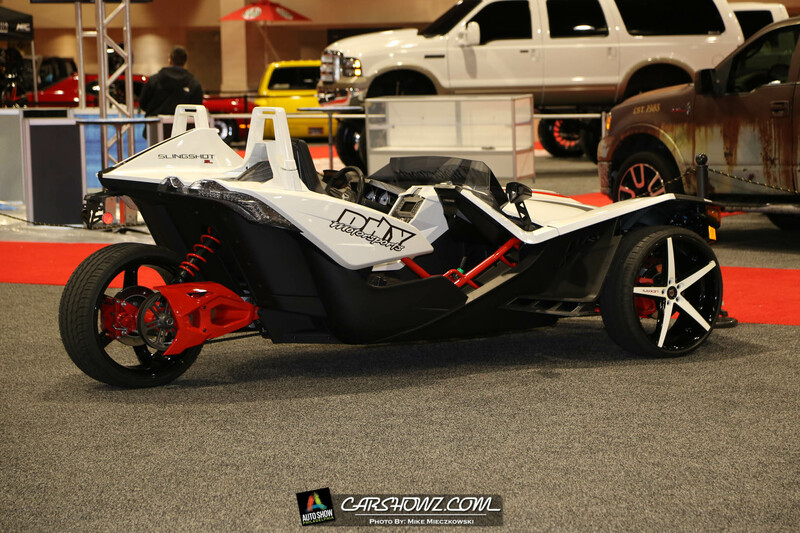 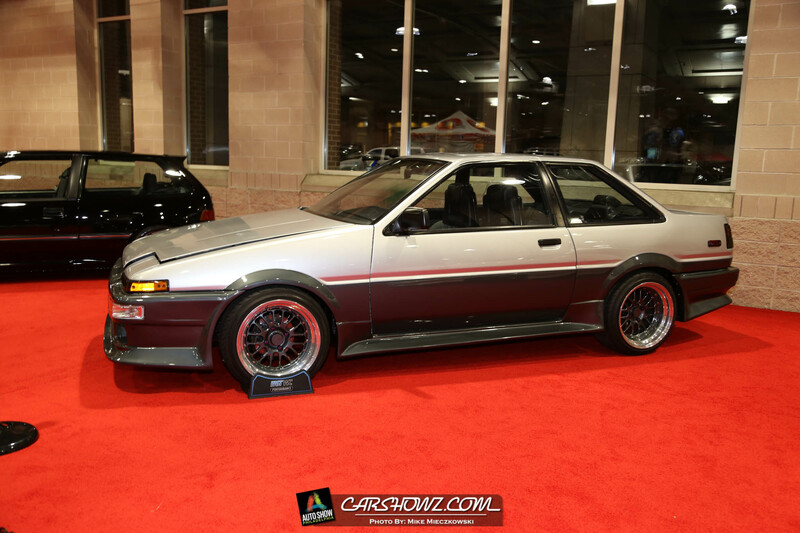 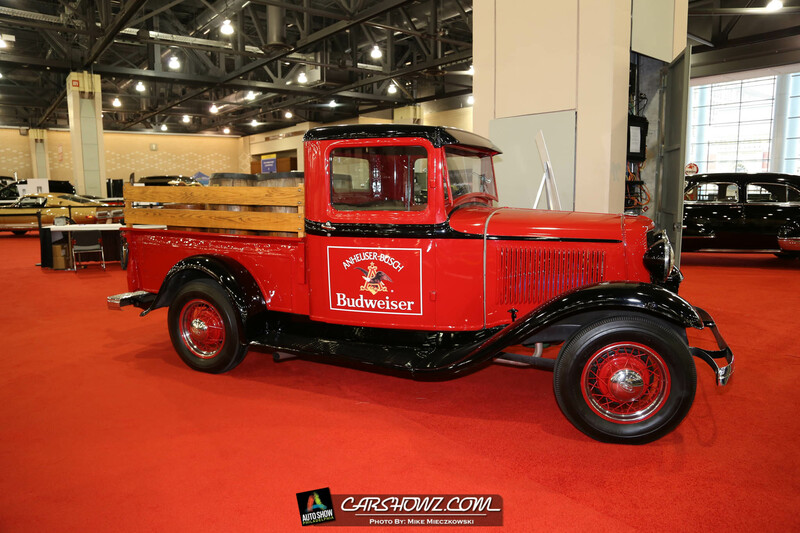 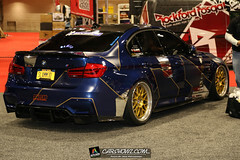 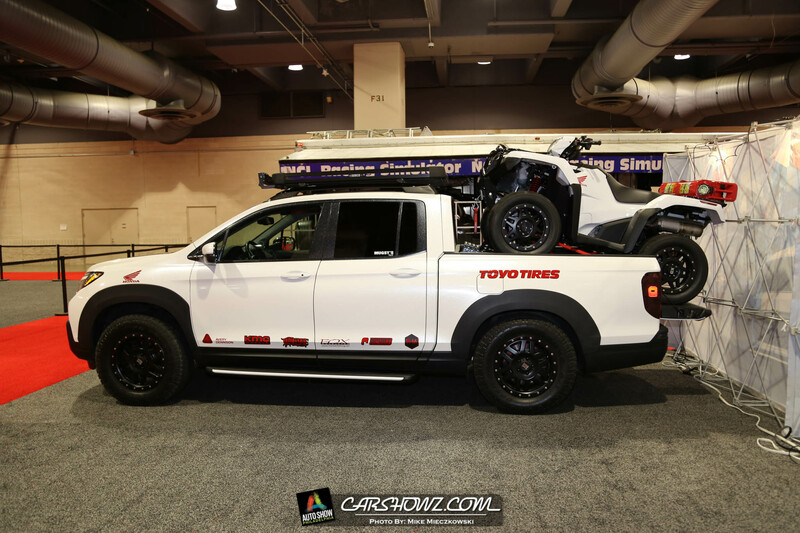 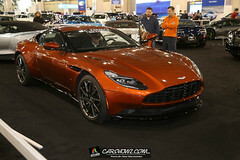 The show had a large variety of custom rides as well as many of the newest offering from Automotive Manufacturers from around the world. Since it was Media Day those in attendance were treated to presentations from a few of the manufacturers about the newest automotive tech soon to be released. 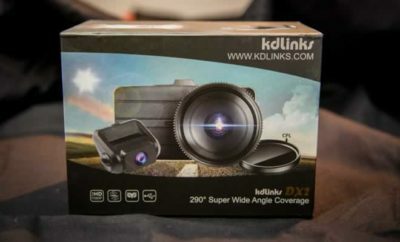 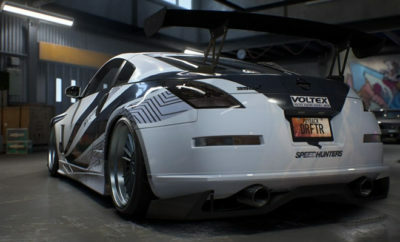 A breakdown of those announcements can be found below with information from the Manufacturers. 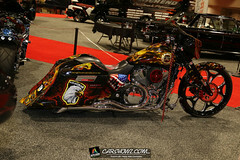 Don’t forget to scroll to the bottom for photo coverage of the show. 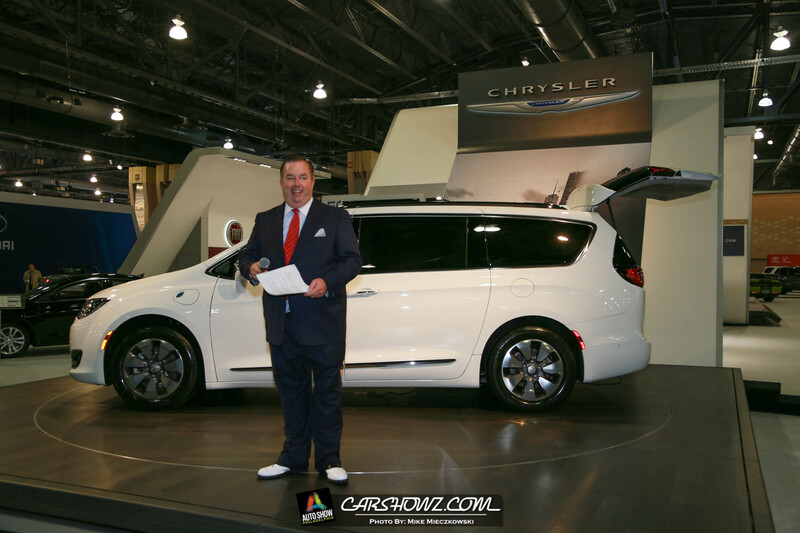 The day started at Chrysler where they presented the 2017 Chrysler Pacifica Hybrid, the industry’s first electrified minivan. 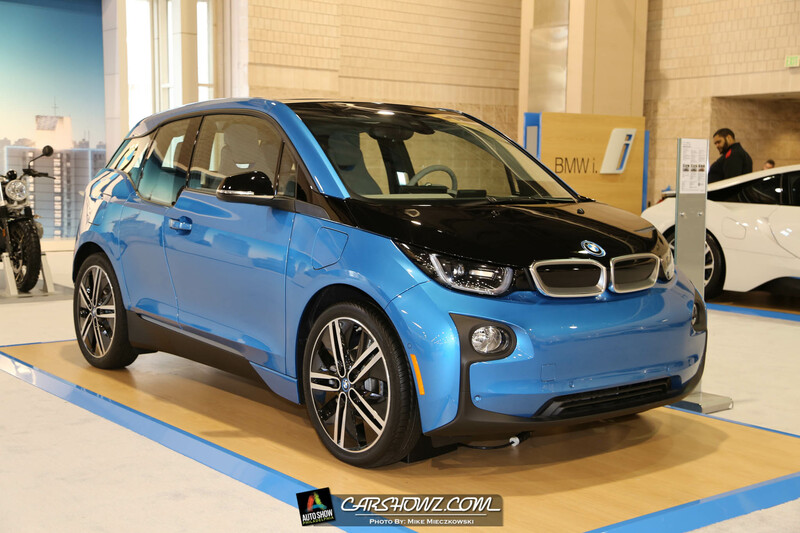 This is definitely a nice option for anyone in the market for an extremely fuel efficient minivan that is loaded with available features. The all-new 2017 Chrysler Pacifica Hybrid – the industry’s first electrified minivan – is rated to deliver a range of 33 miles solely on zero-emissions electric power from a 16-kWh lithium-ion (Li-ion) battery and earned a fuel economy rating of 84 miles per gallon equivalent (MPGe), based on U.S. Environmental Protection Agency (EPA) standards. 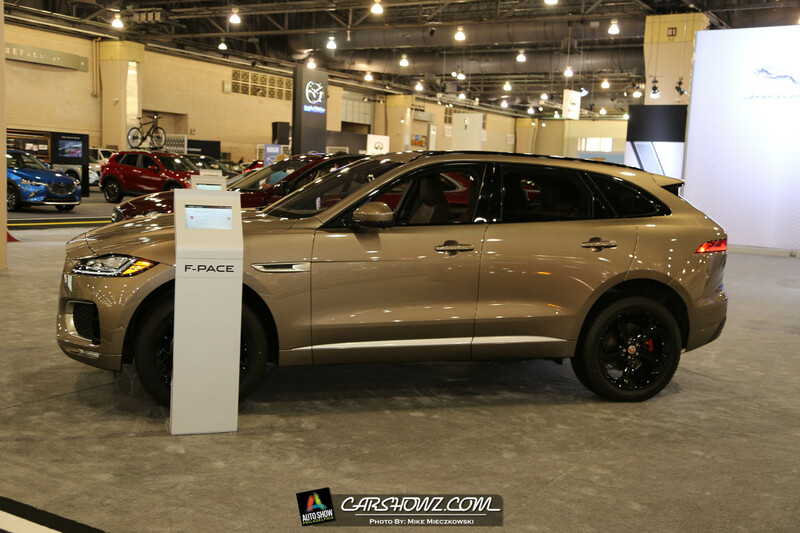 But Pacifica Hybrid’s technological capability goes well beyond the powertrain. 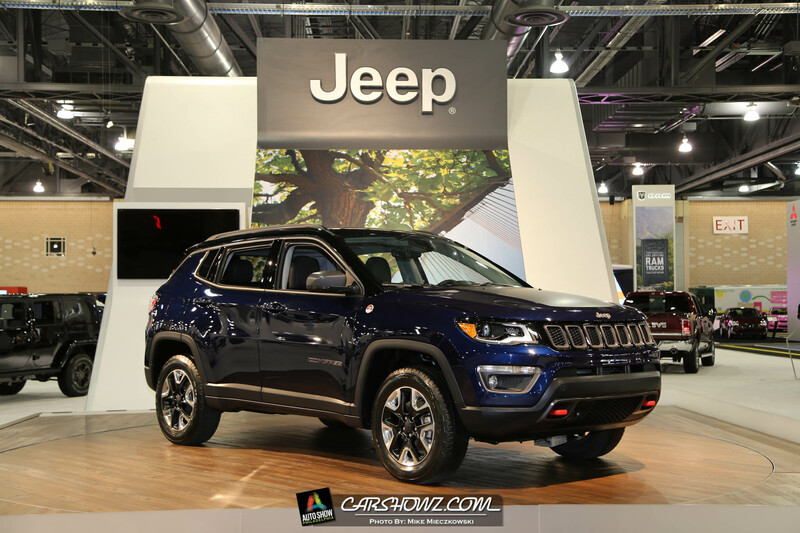 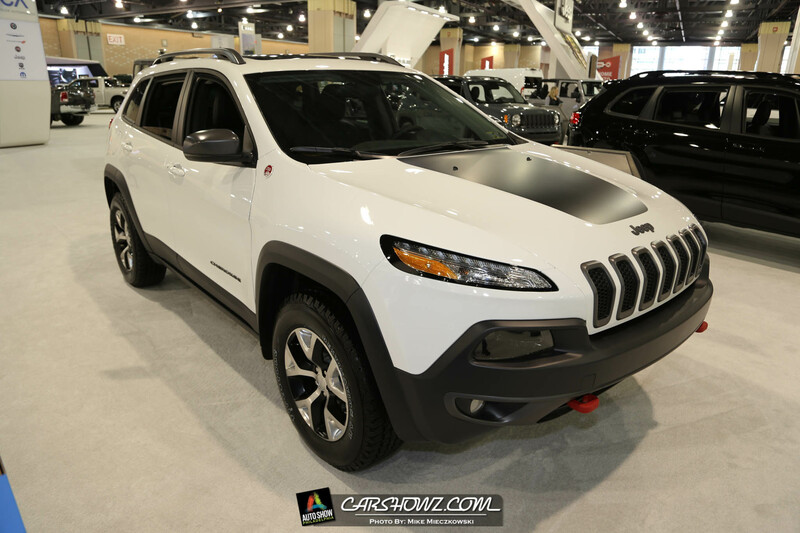 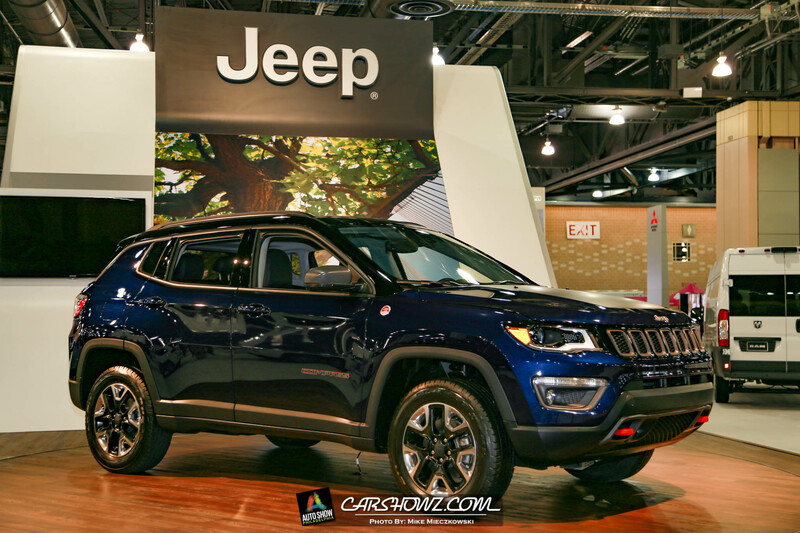 Up next was a walk over to the Jeep area to take a look at the Camp Jeep offroad style ride along section as well as the all new 2017 Jeep Compass Trailhawk. 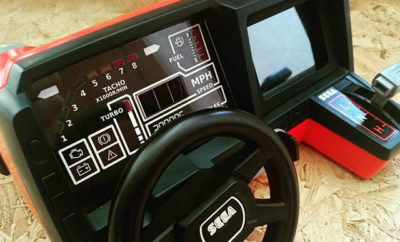 I am a fan of most things Jeep and this definitely a nice addition. 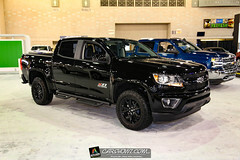 One thing that caught my attention was the offering of a standard five-speed manual transmission and 20:1 crawl ratio 4×4 Low. 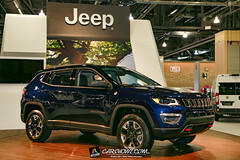 The all-new 2017 Jeep® Compass expands the brand’s global reach with an unmatched combination of attributes that includes legendary and best-in-class 4×4 off-road capability, advanced fuel-efficient powertrains, premium and authentic Jeep design, superior on-road driving dynamics, open-air freedom, and a host of innovative safety and advanced technology offerings. 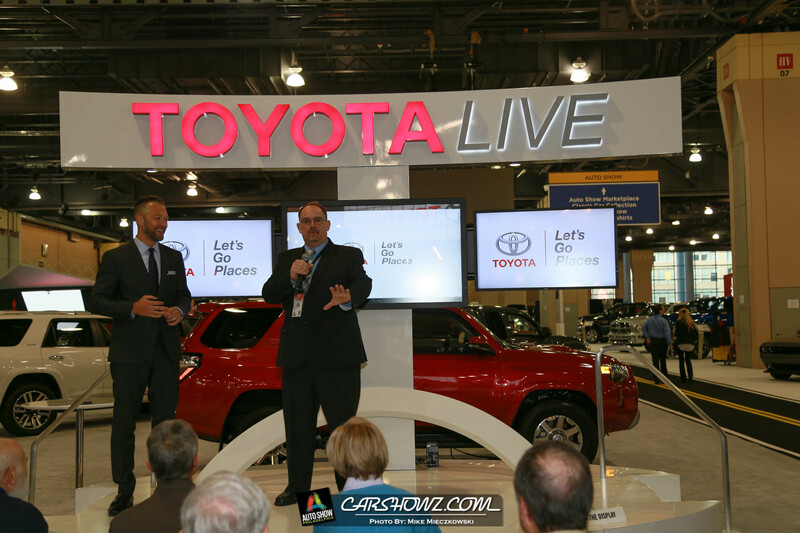 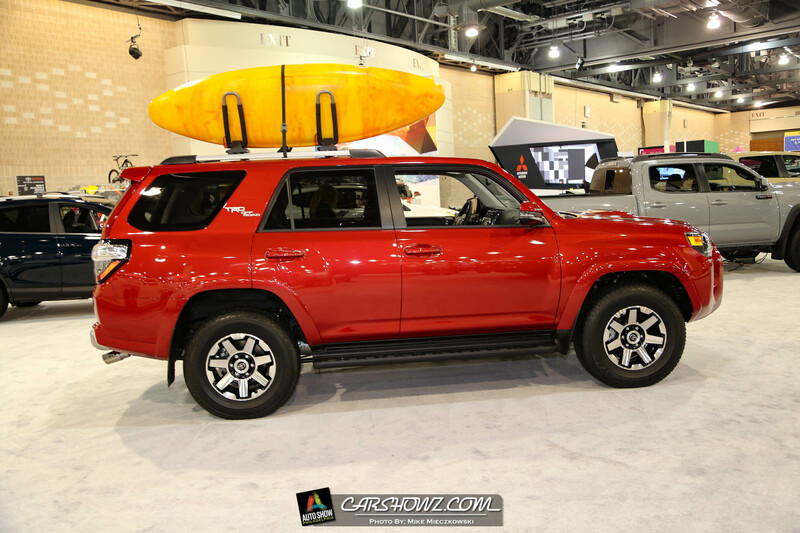 After having a good look at the Compass the we made our way over to Toyota Live to hear a presentation on the upcoming 2018 Camry as well as Toyota Safety Sense™ P (TSS-P). 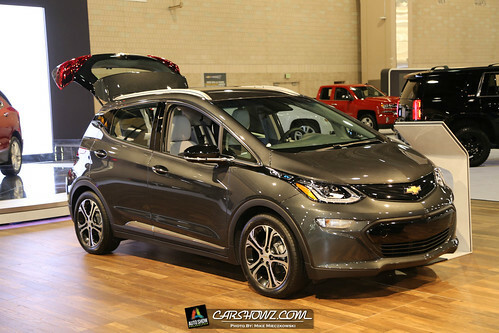 The final presentation was over in the Chevrolet section to introduce us to the 2017 Chevrolet Bolt. Power delivery is controlled by Chevrolet’s first Electronic Precision Shift system – a shift and park-by-wire system that sends electronic signals to the Bolt EV’s drive. 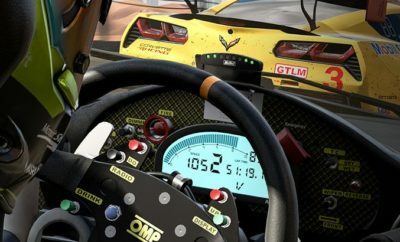 A by-wire shifter requires less packaging space than a traditional mechanical shifter, resulting in more interior space and improved interior layout. 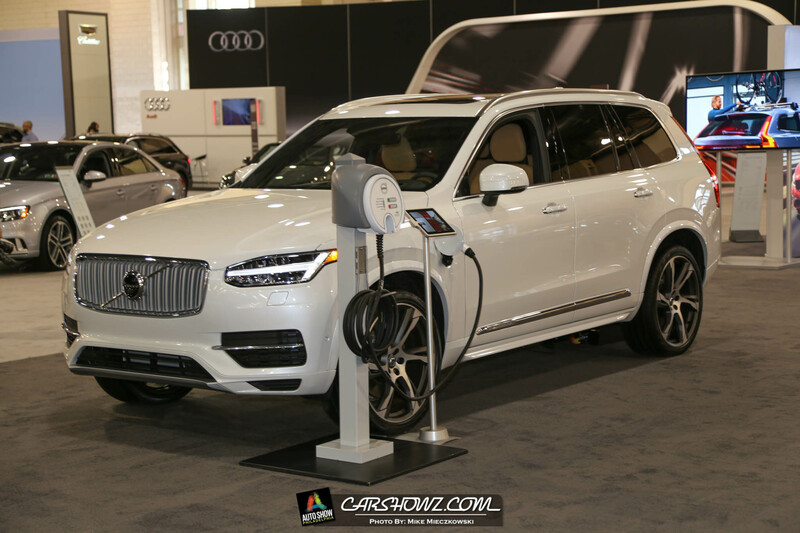 A 7.2 kW onboard charger for regular overnight charging from a 240-V wall box is standard. With it, a typical commute of 50 miles can be recharged in less than two hours. 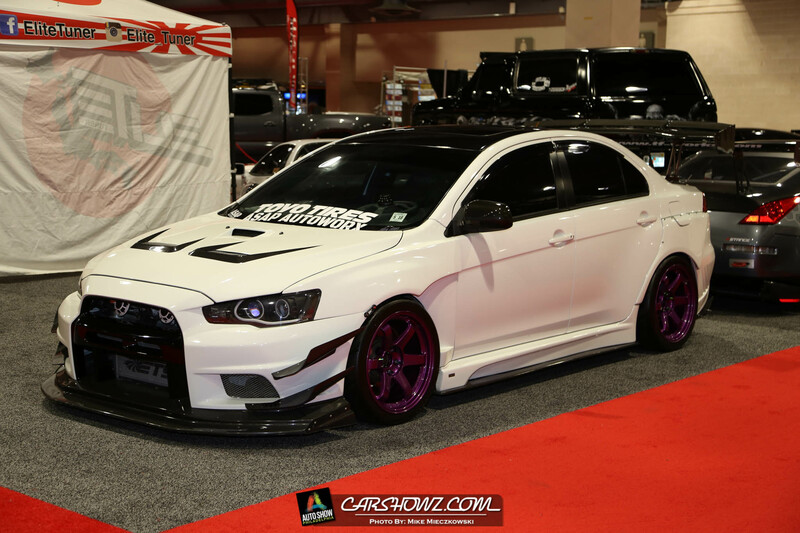 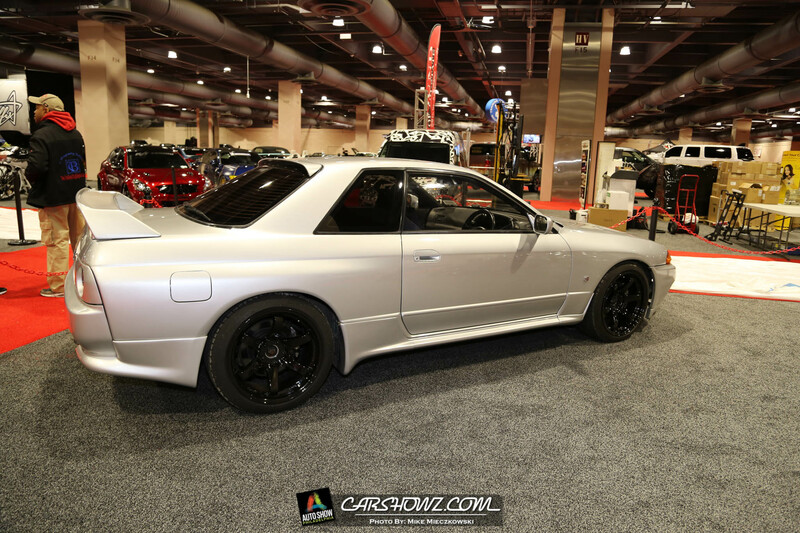 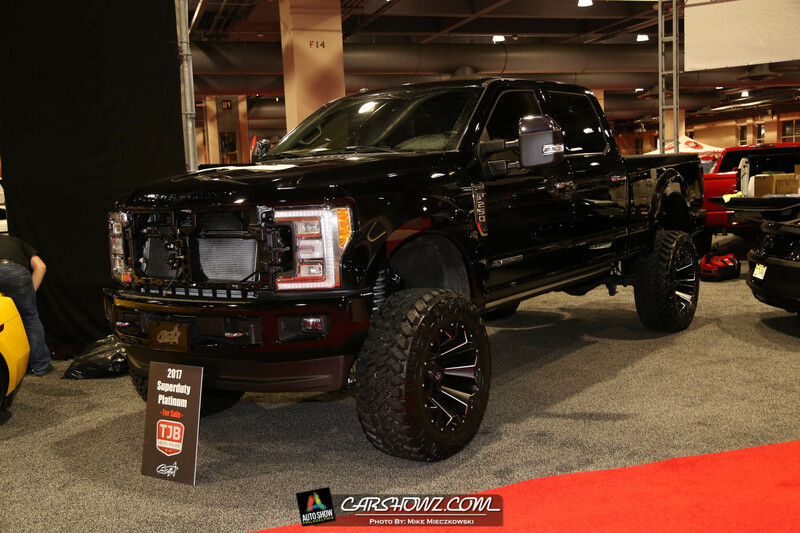 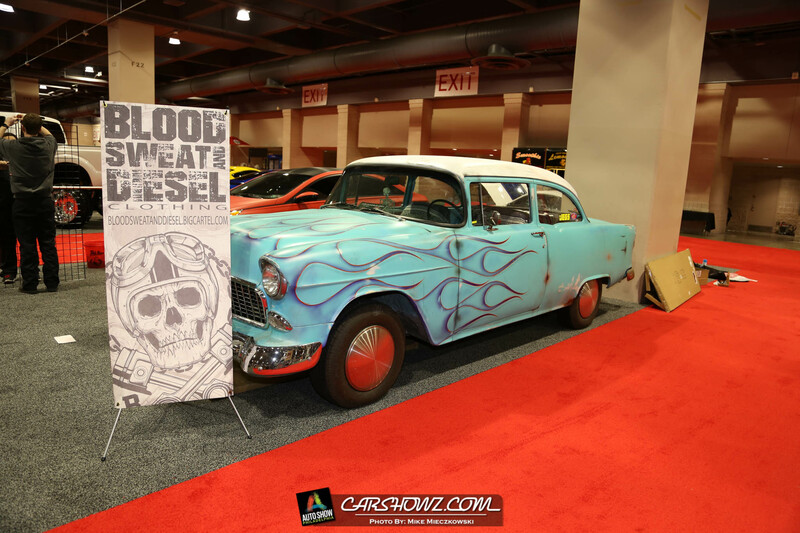 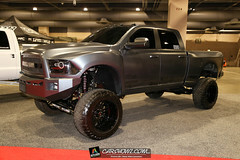 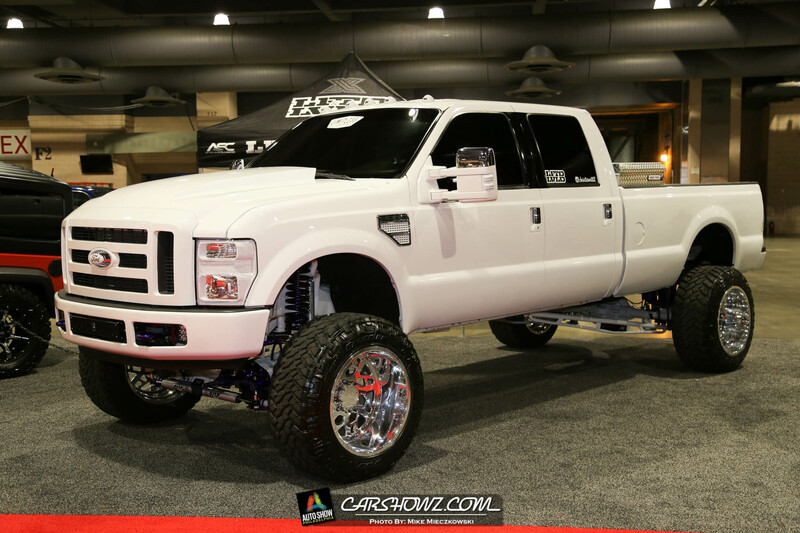 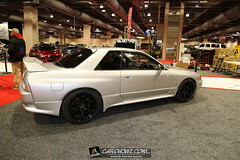 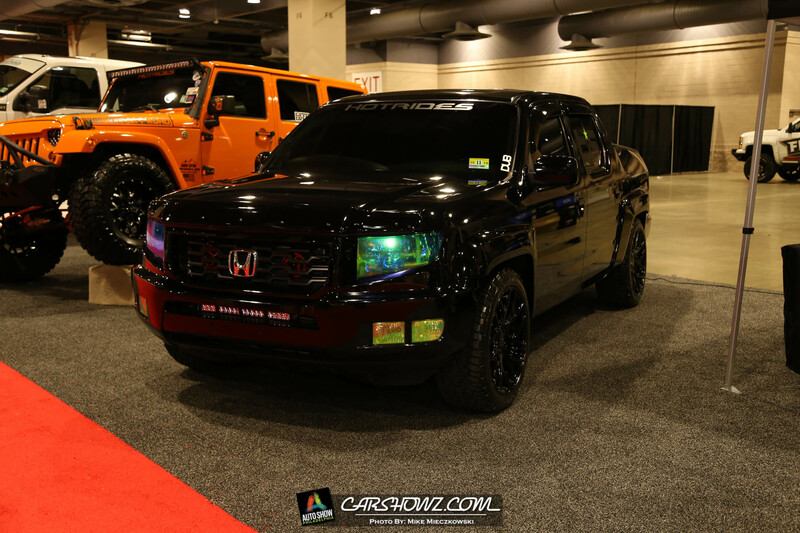 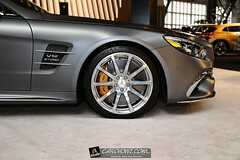 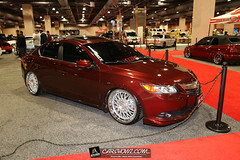 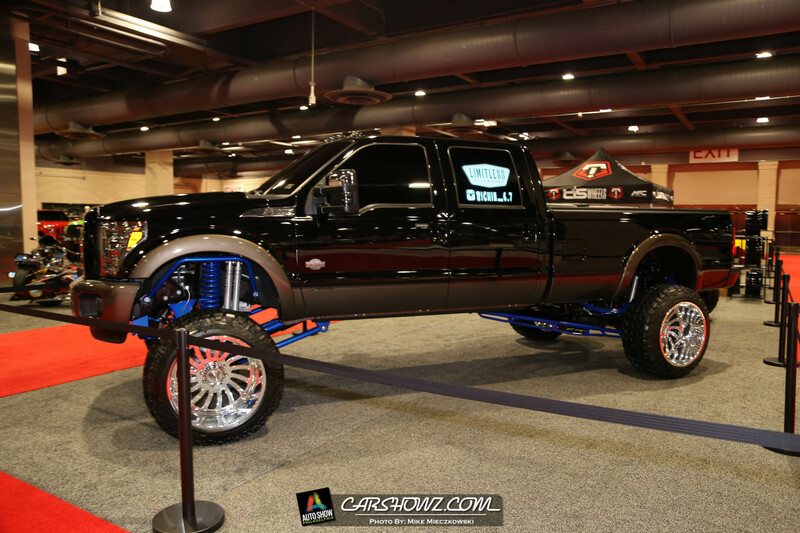 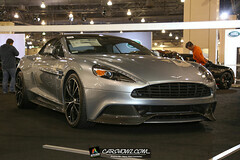 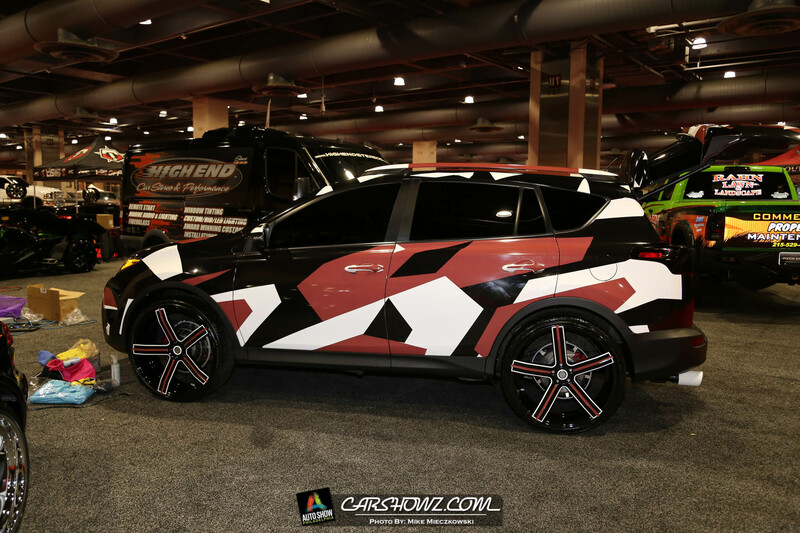 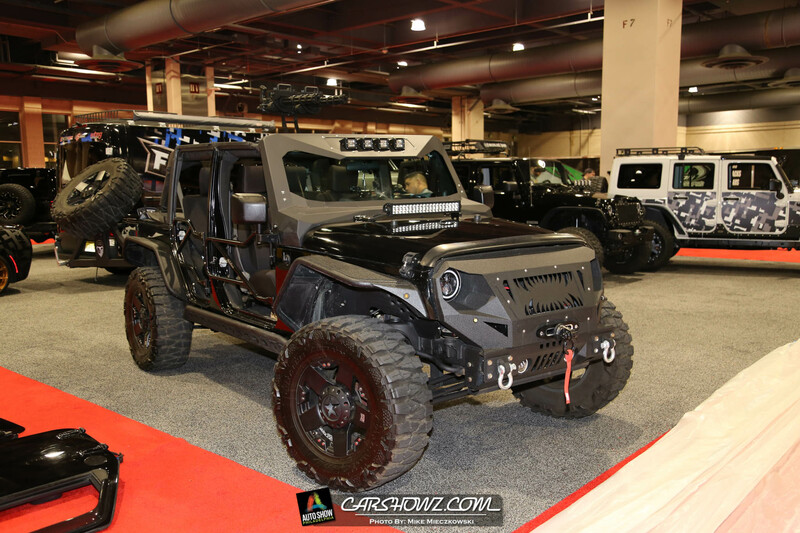 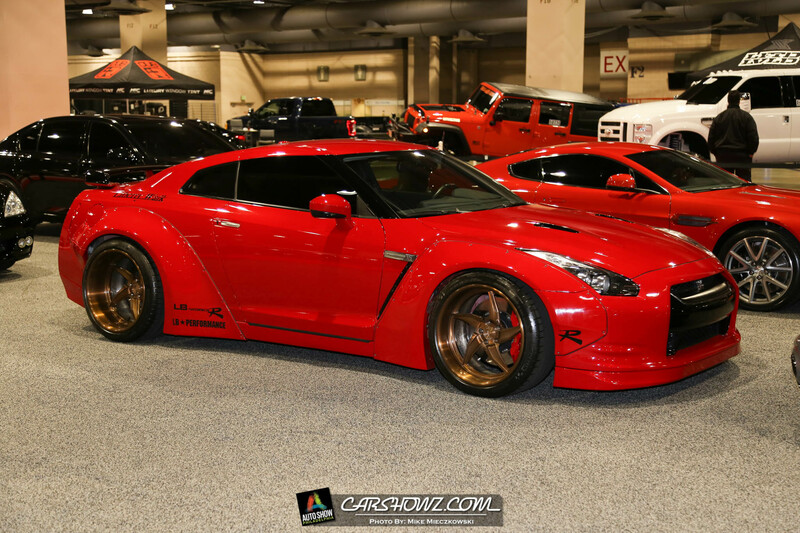 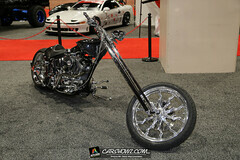 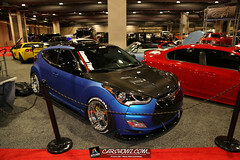 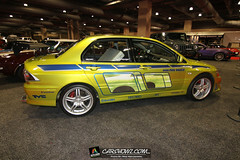 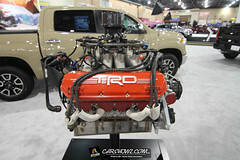 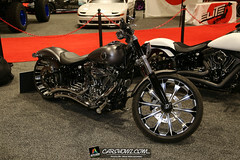 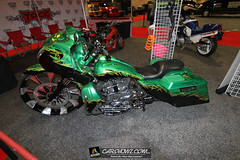 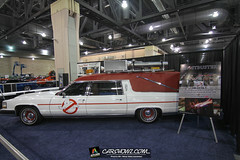 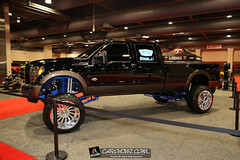 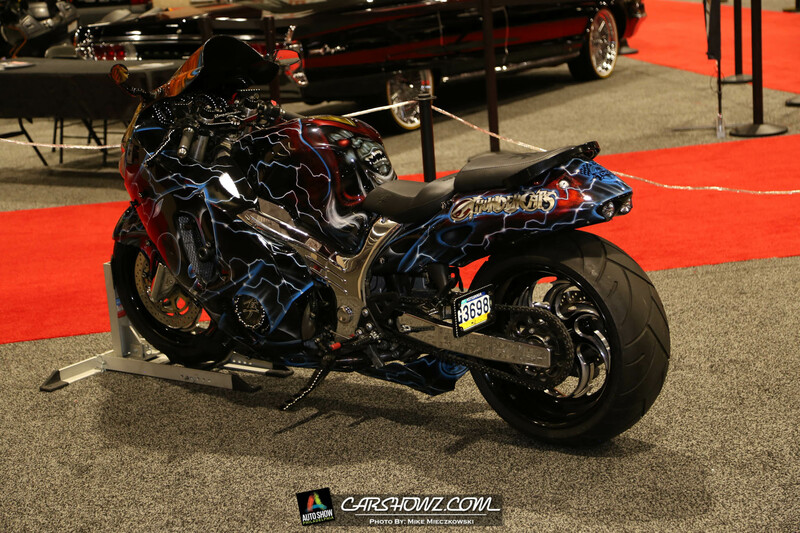 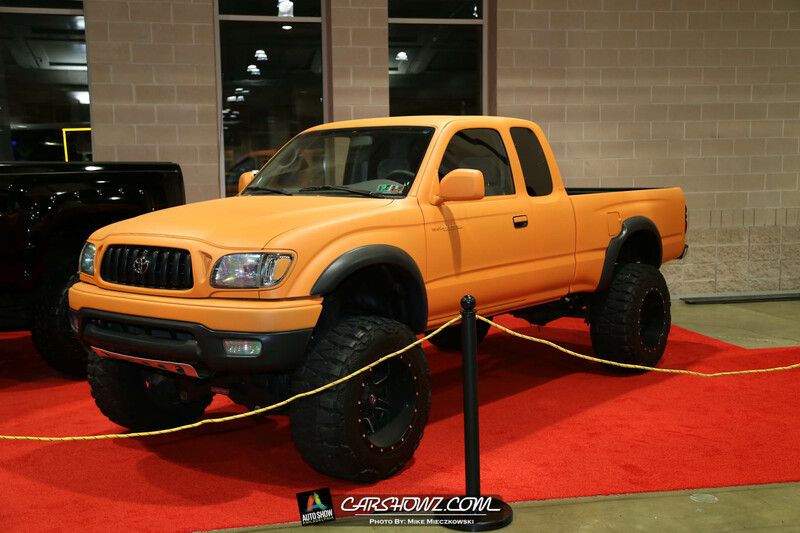 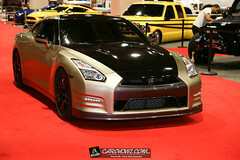 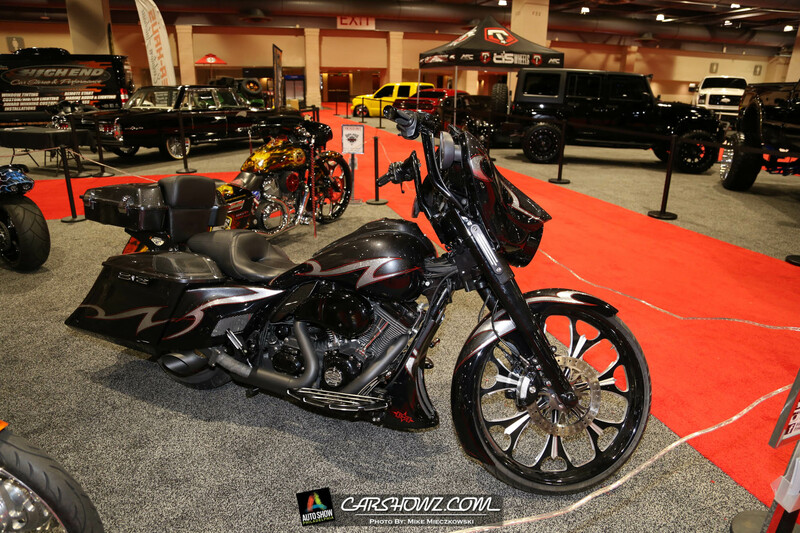 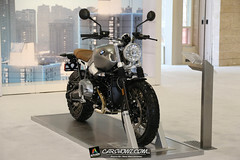 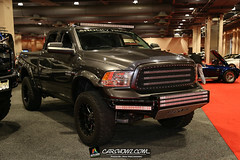 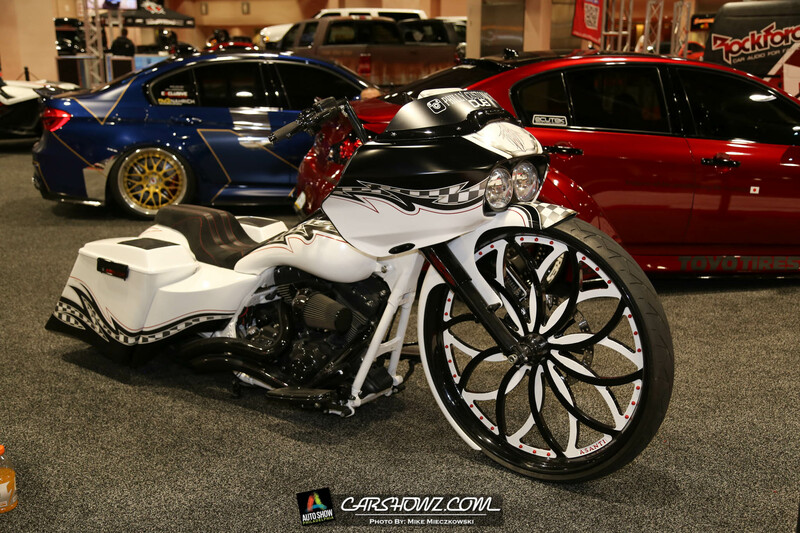 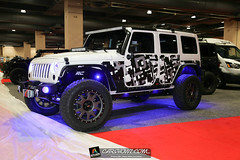 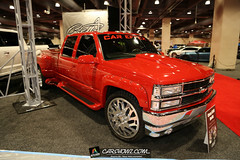 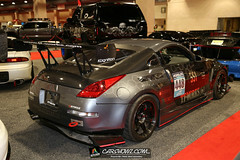 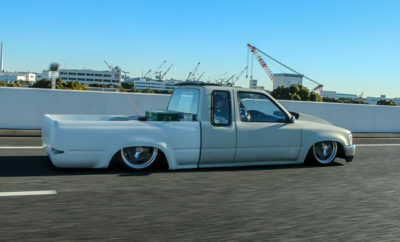 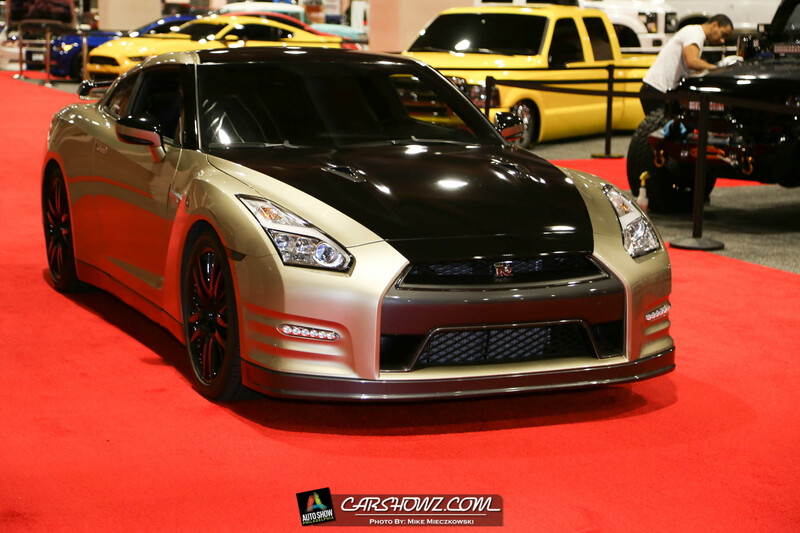 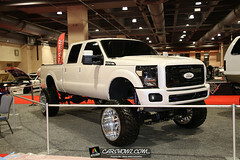 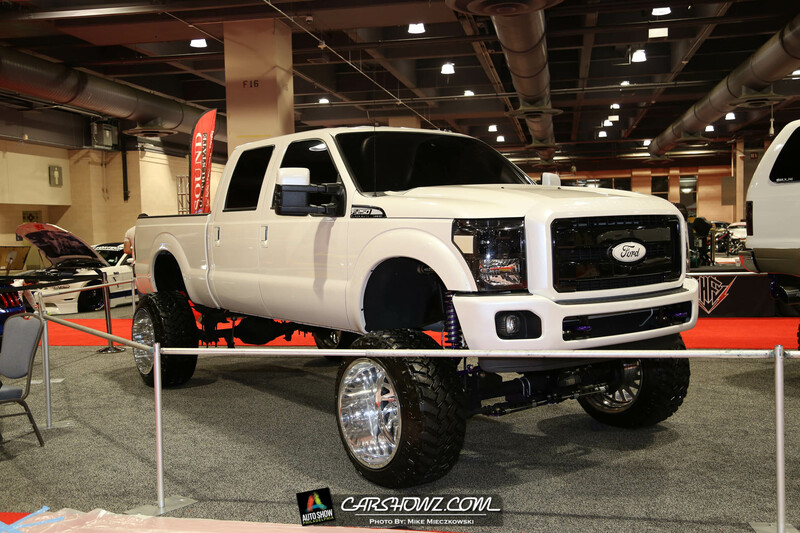 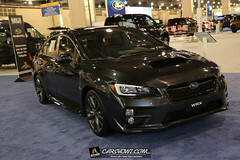 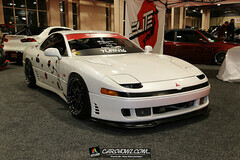 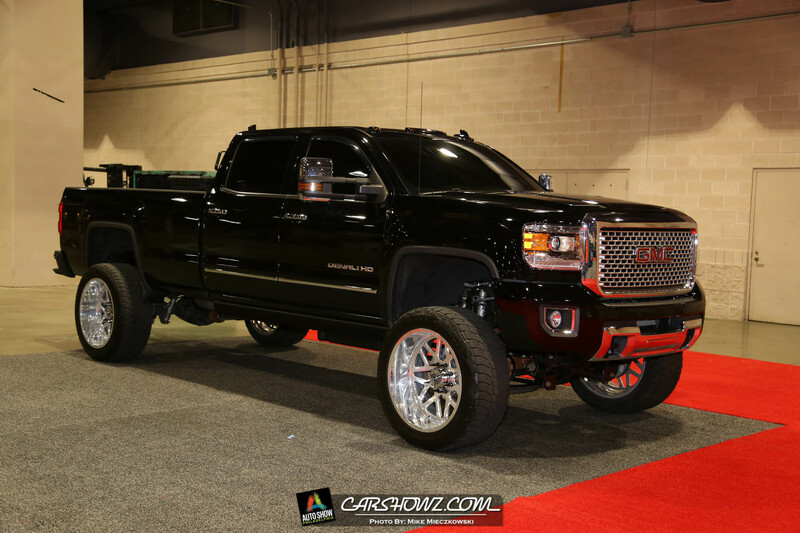 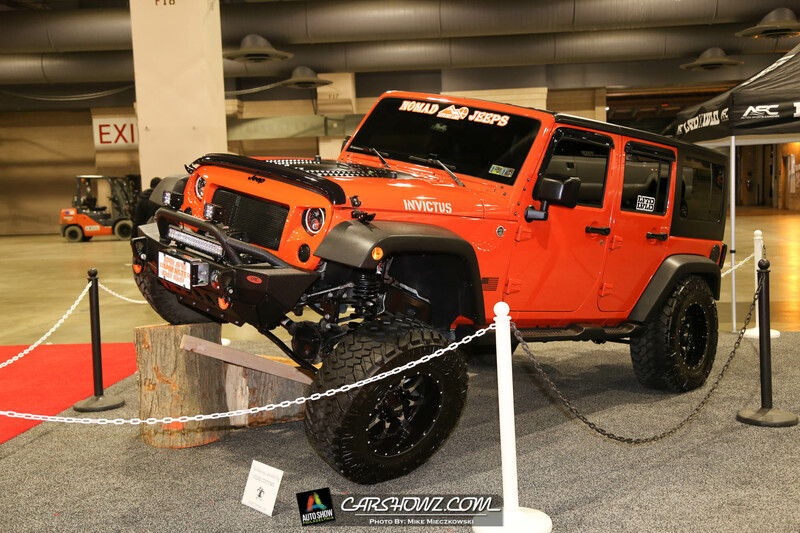 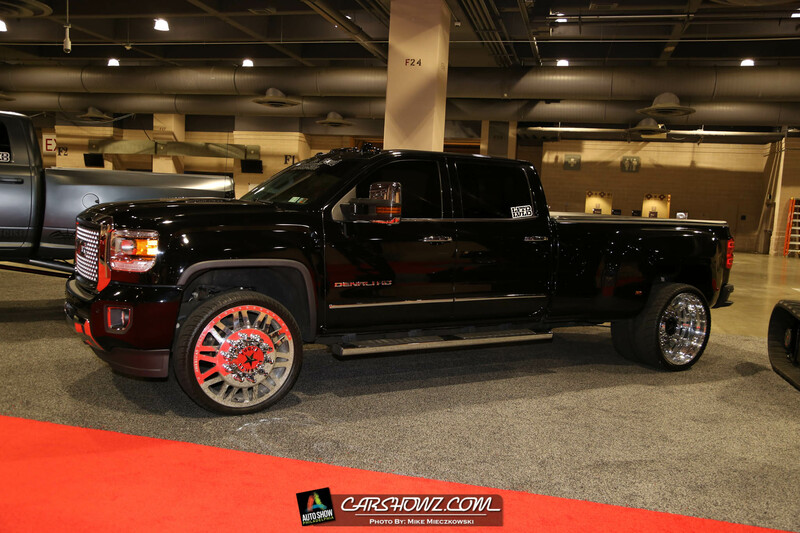 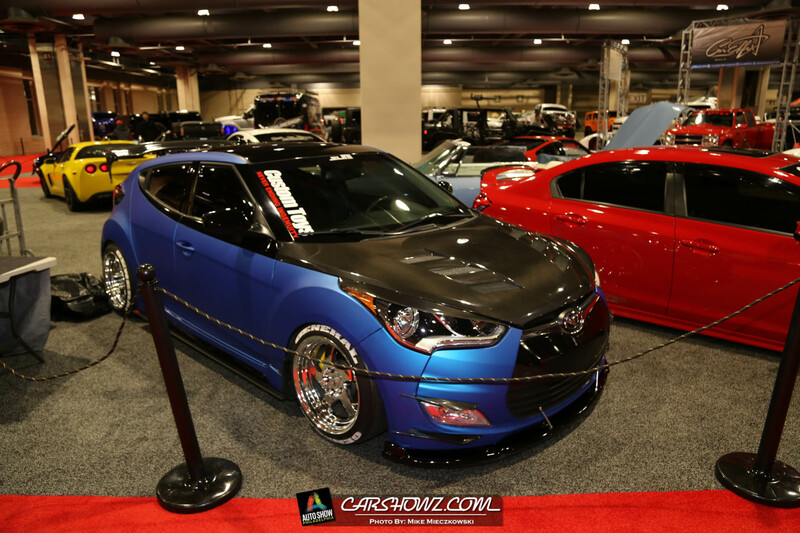 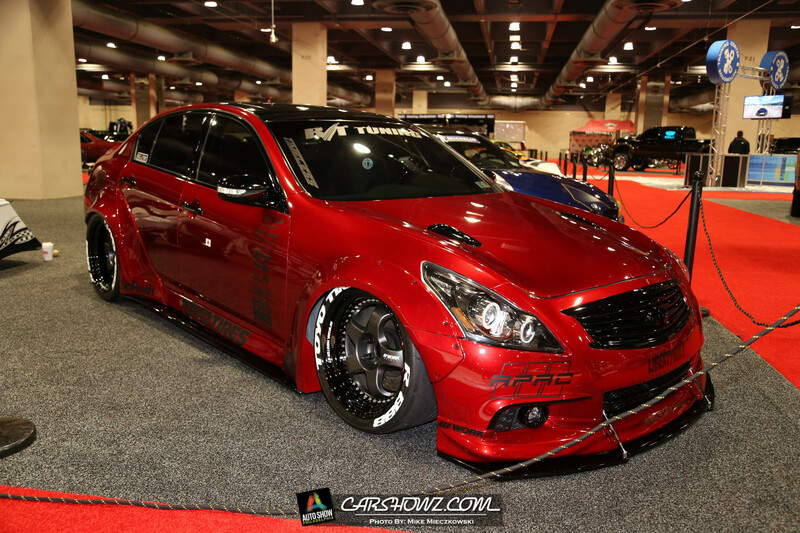 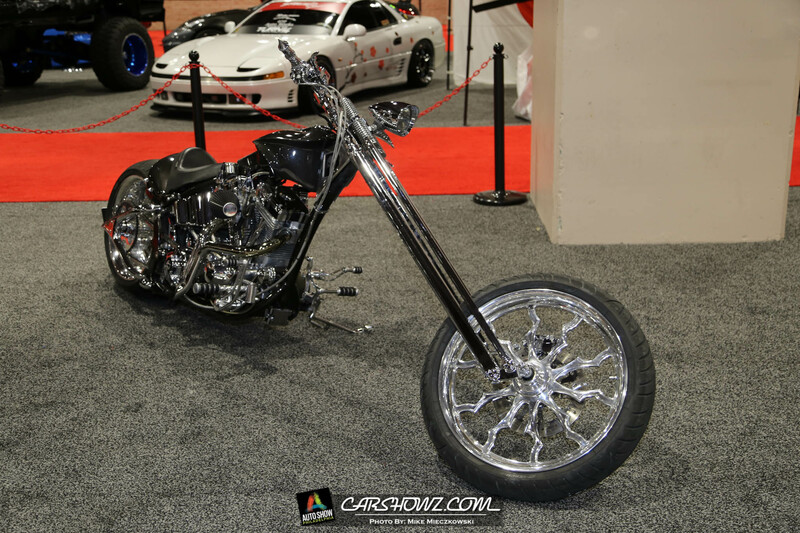 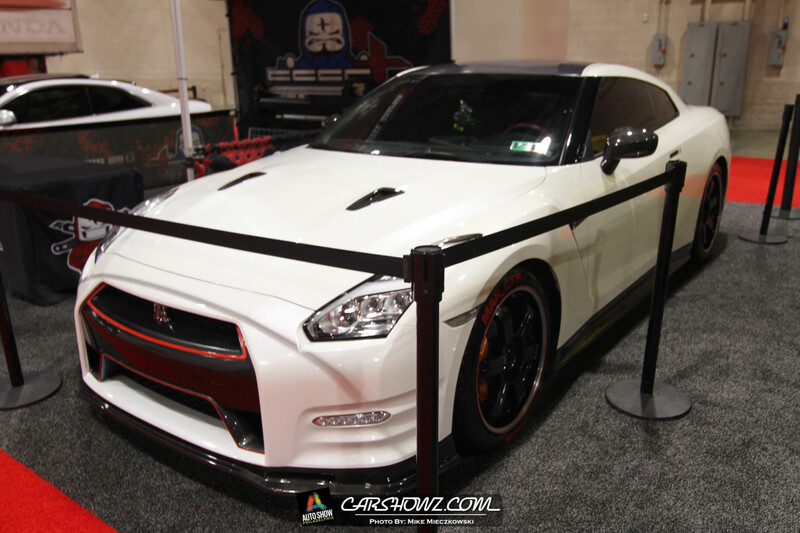 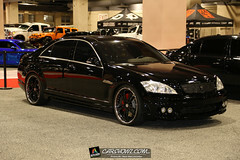 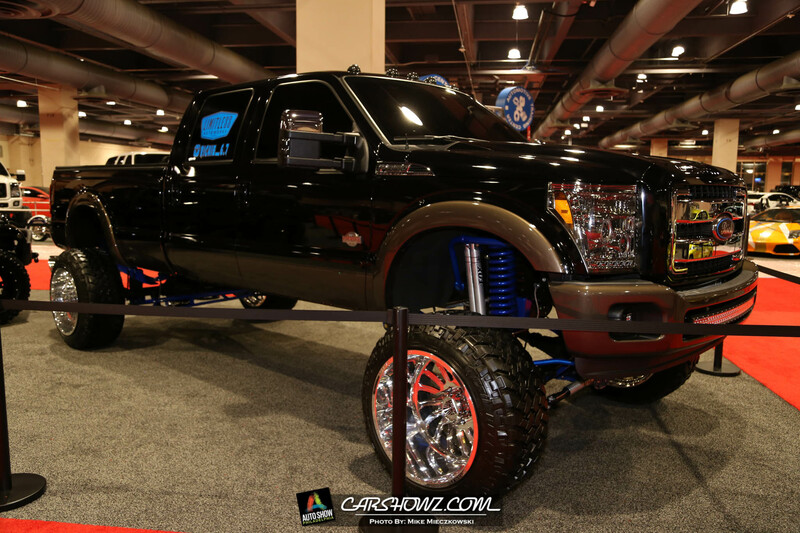 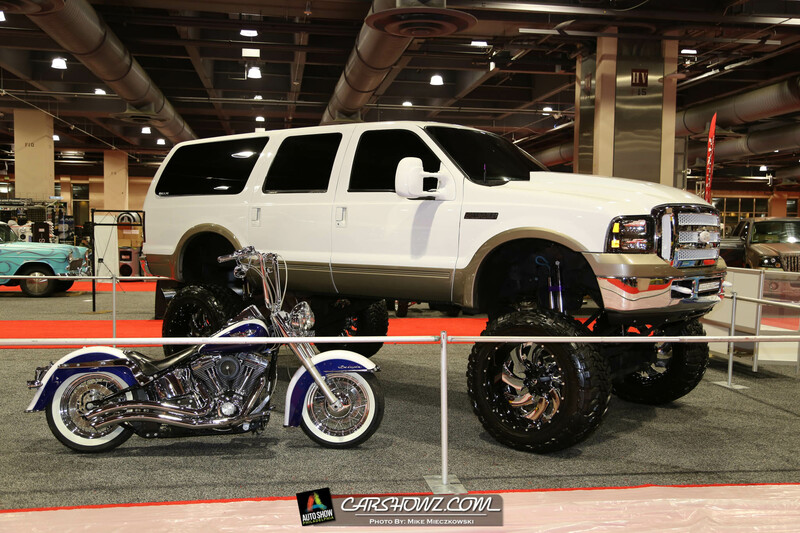 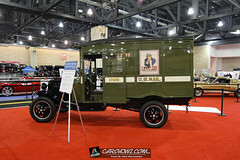 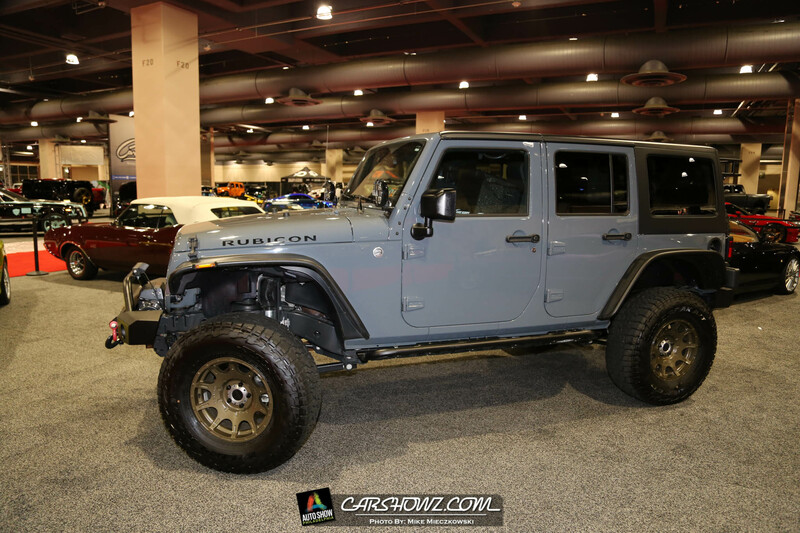 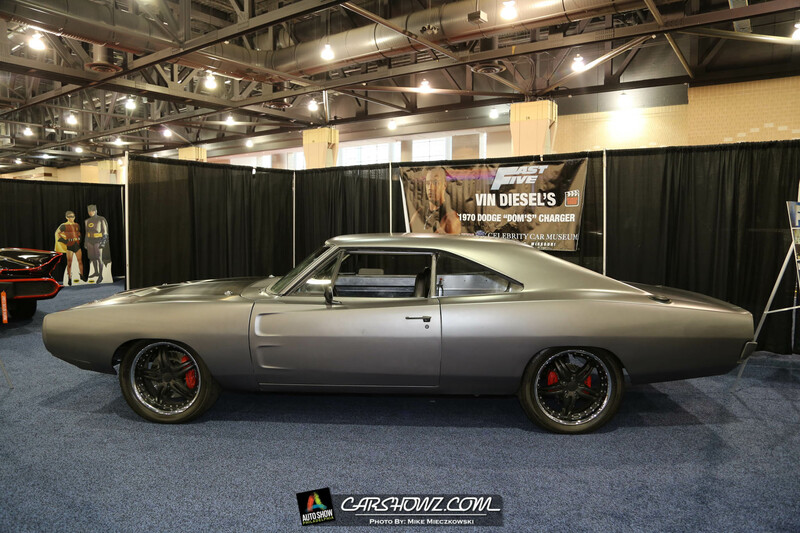 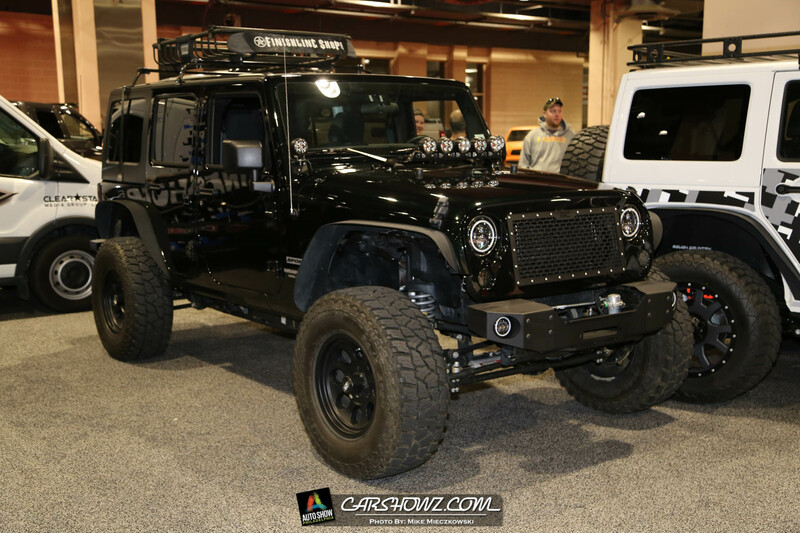 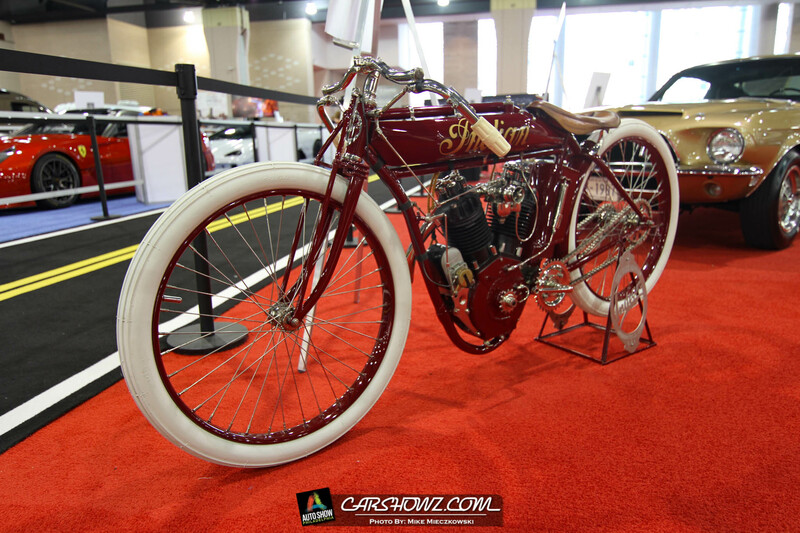 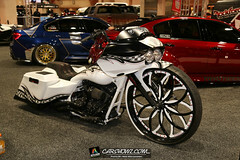 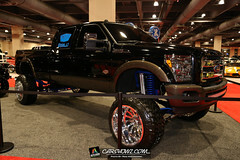 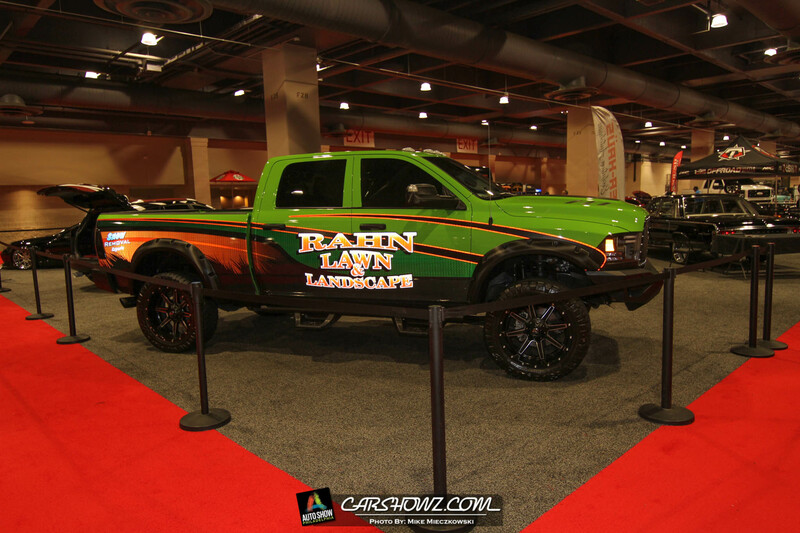 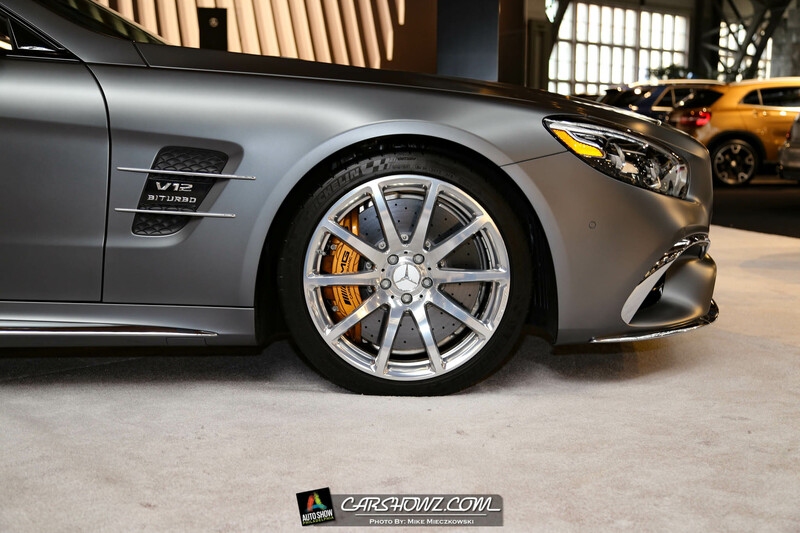 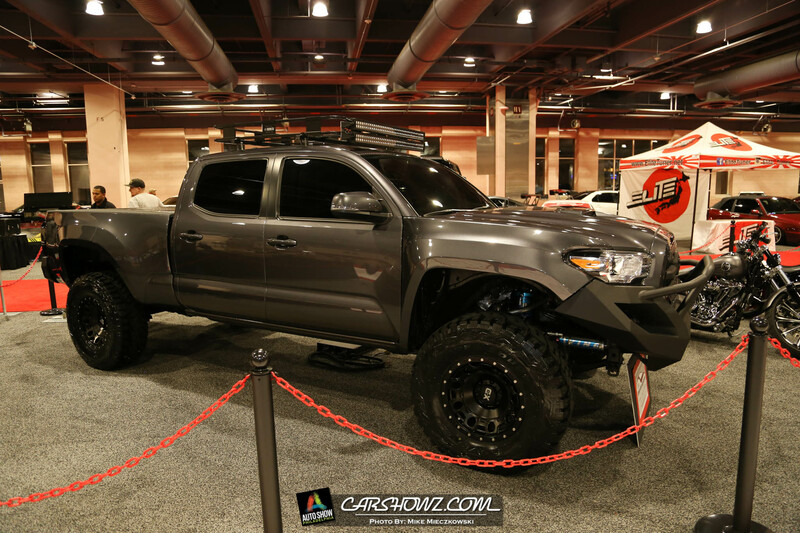 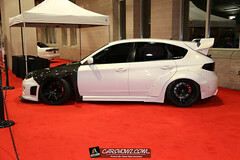 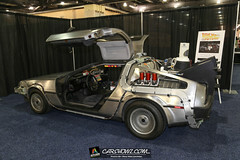 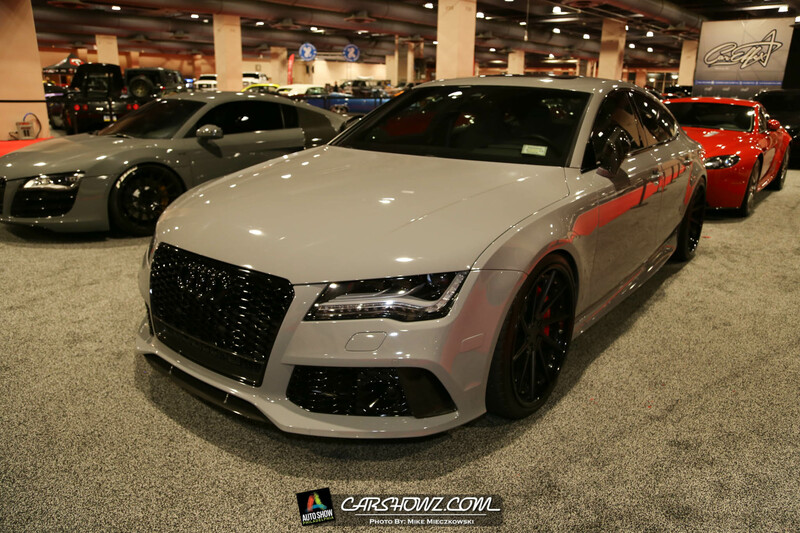 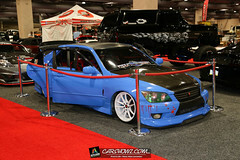 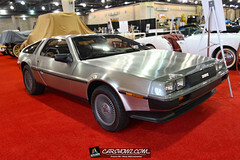 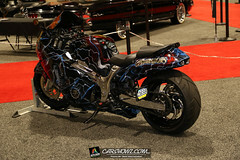 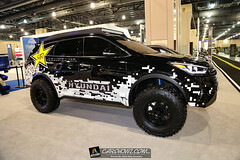 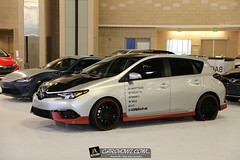 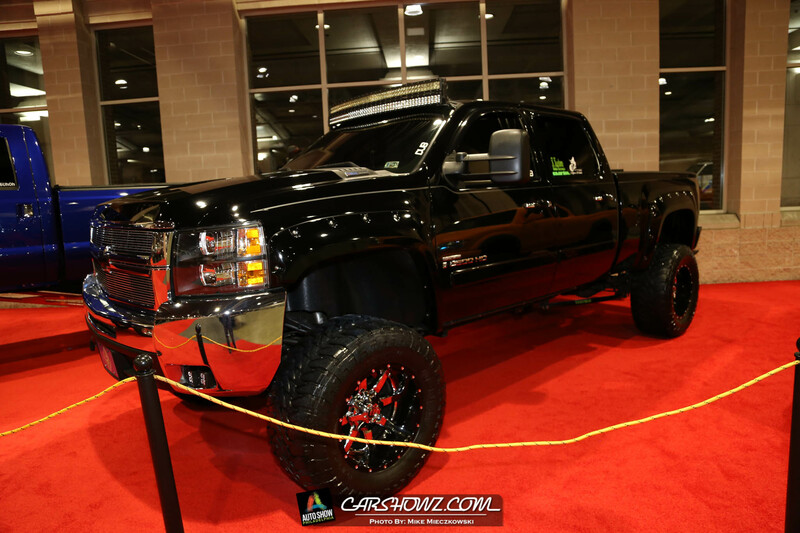 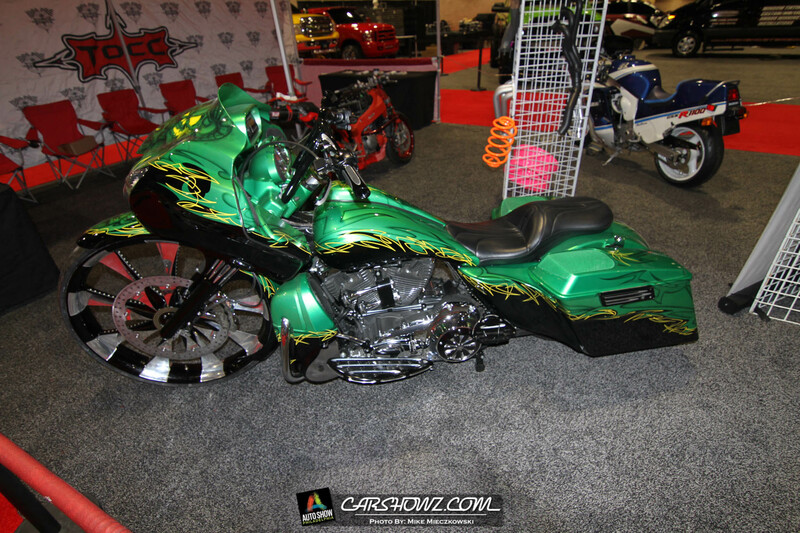 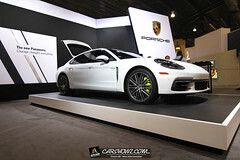 Dub Show: Tricked out rides, bikes, and the latest in after-market excitement! 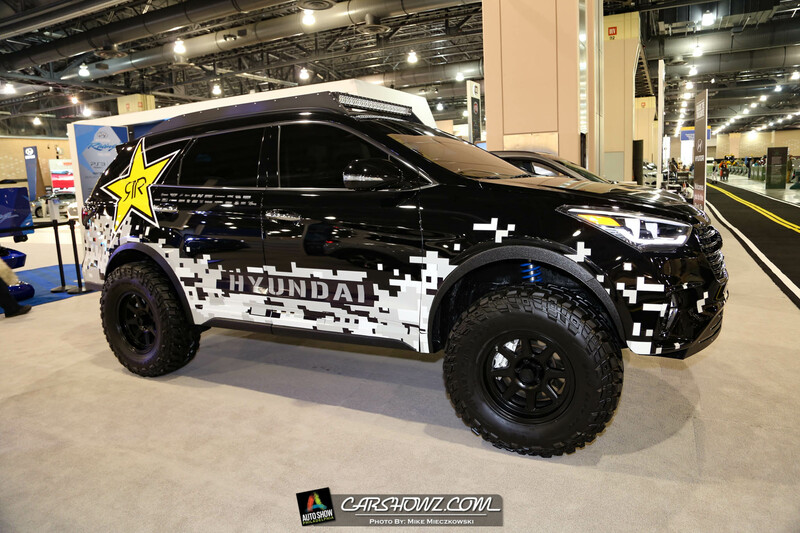 Ride & Drive Zone: Test drive a BMW, Kia, Mazda, Toyota, or Nissan on the street of Philly! 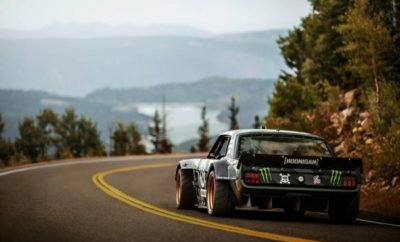 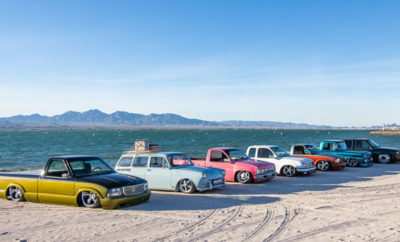 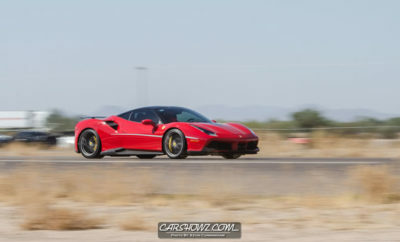 Local Car Clubs: Local car club members display their best for your enjoyment! Classic Car Collection: Three first-class classic displays take you on a trip to the past! 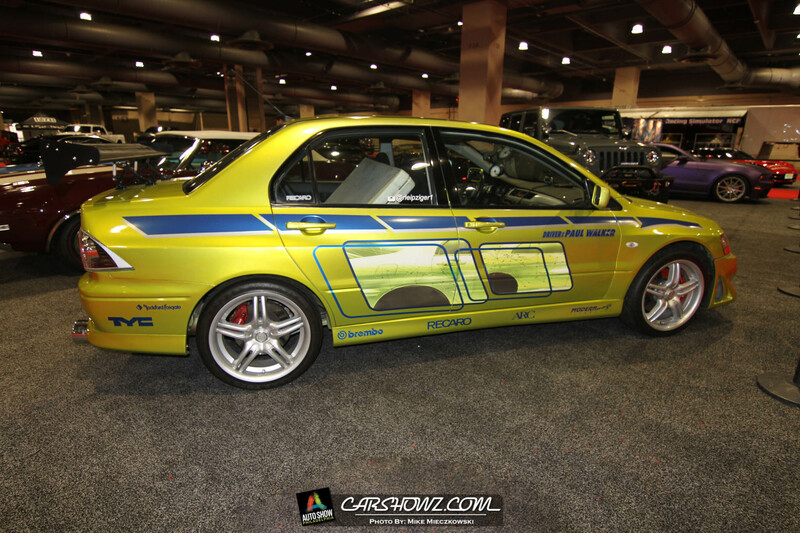 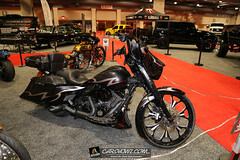 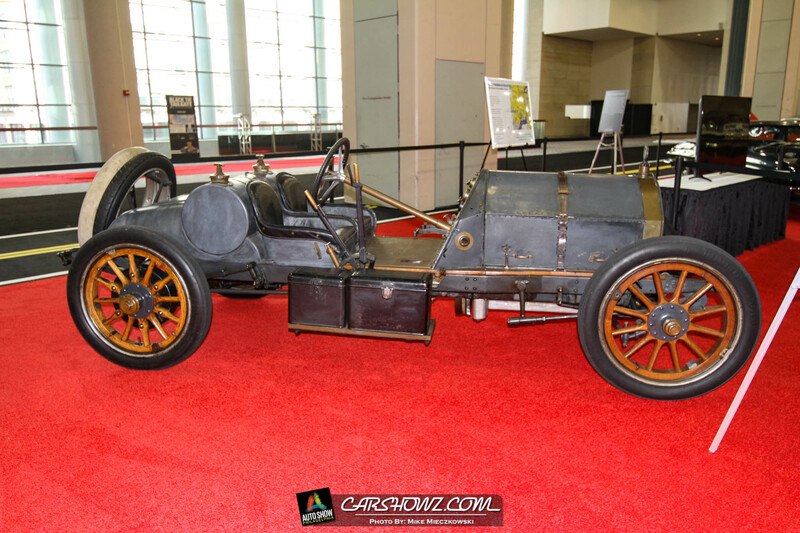 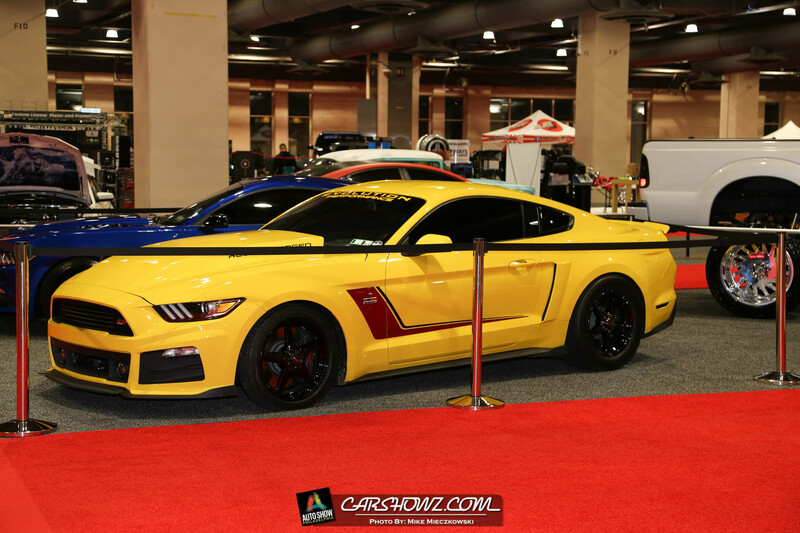 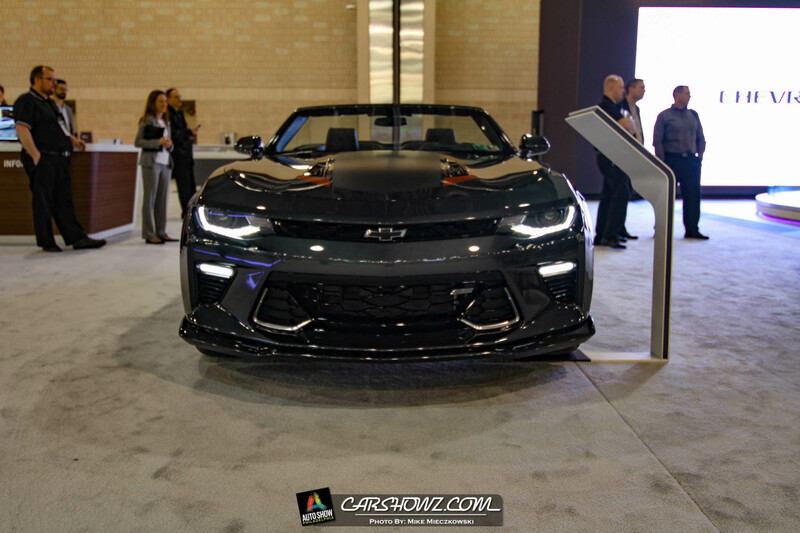 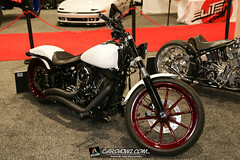 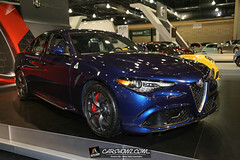 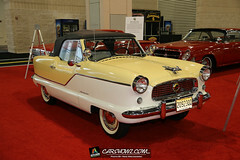 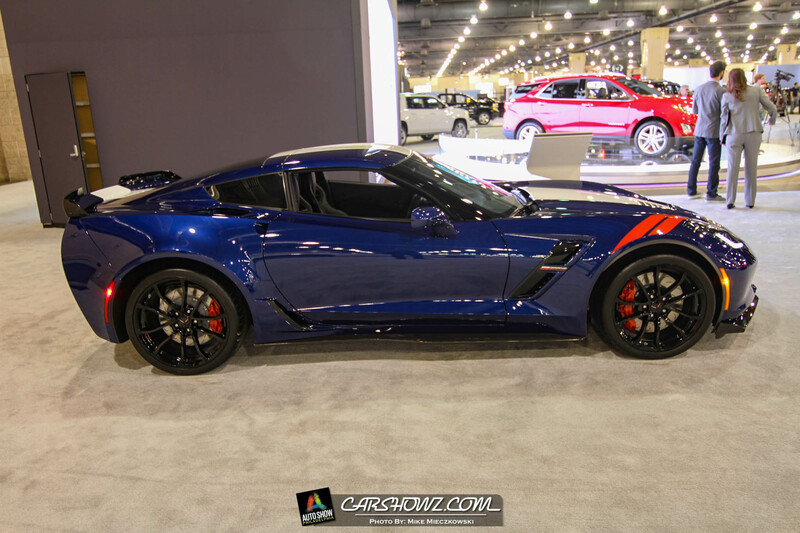 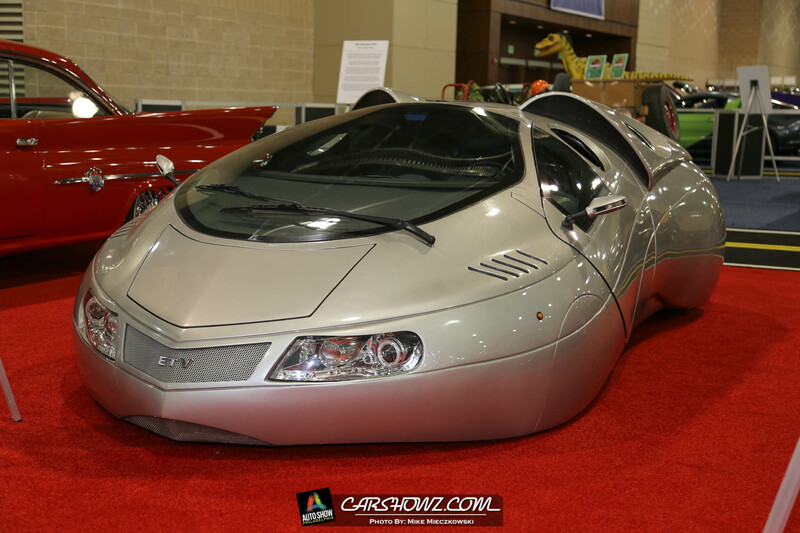 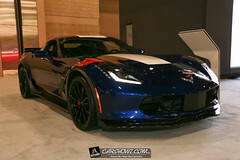 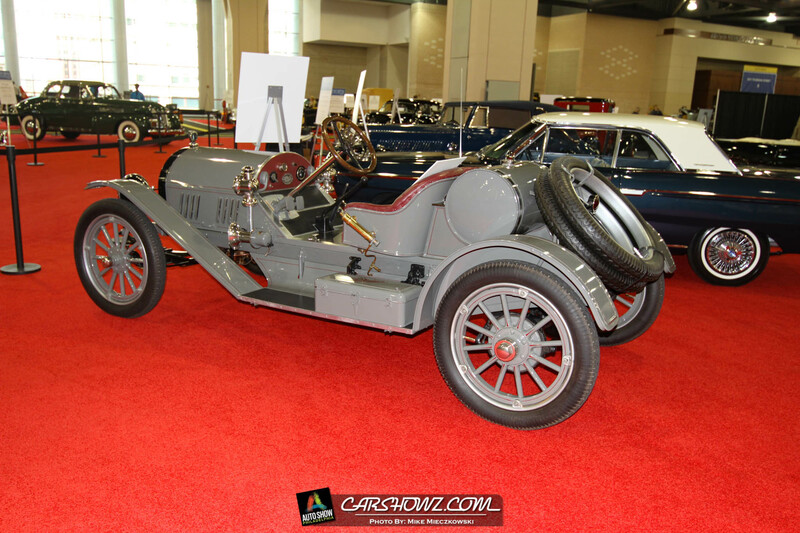 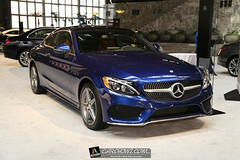 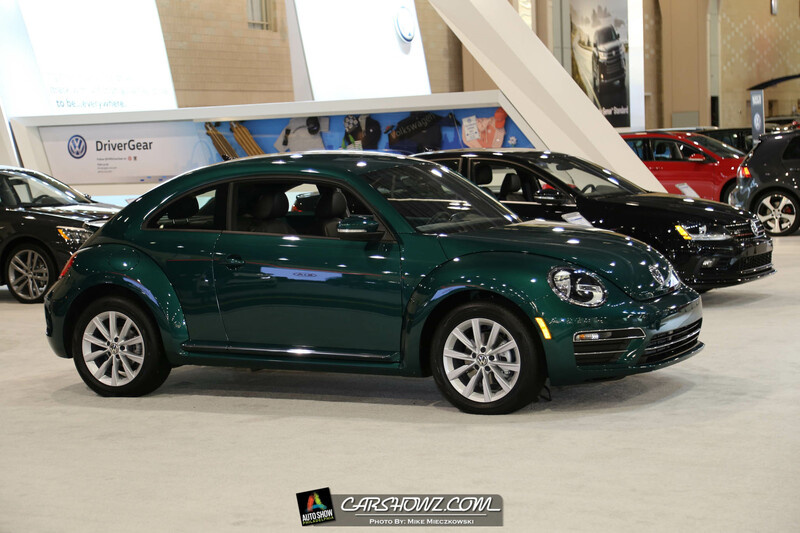 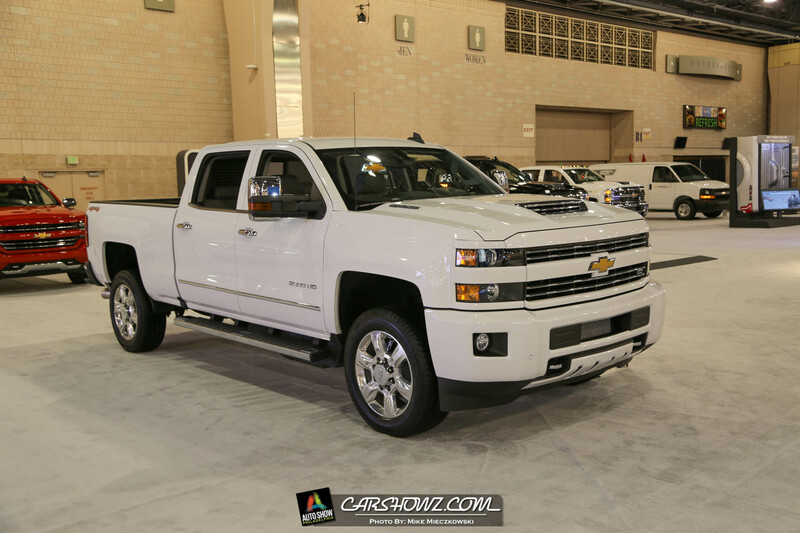 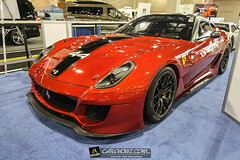 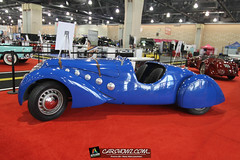 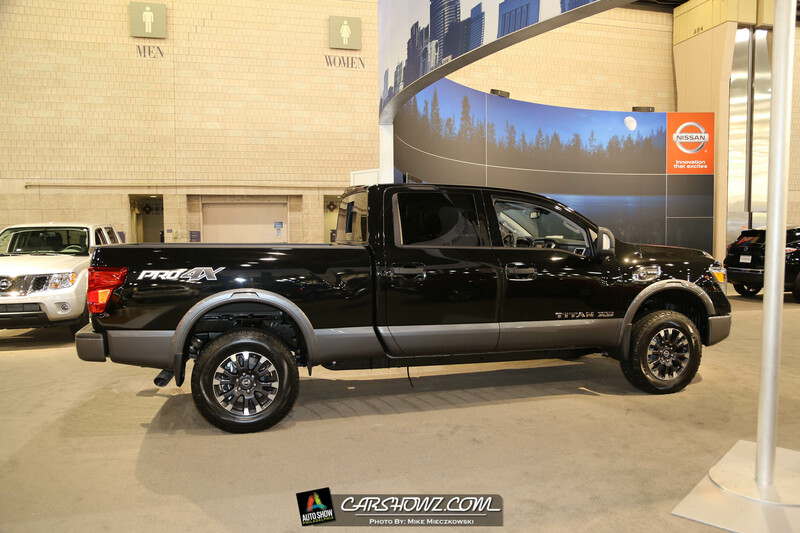 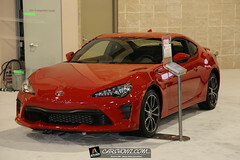 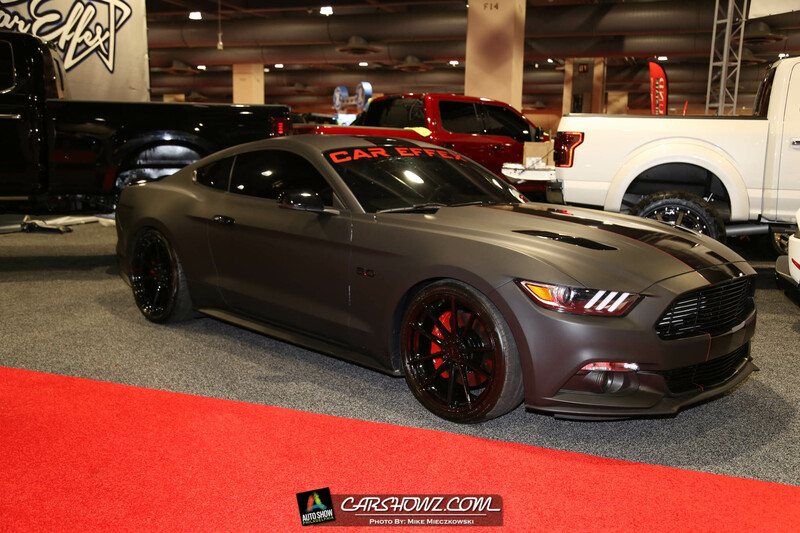 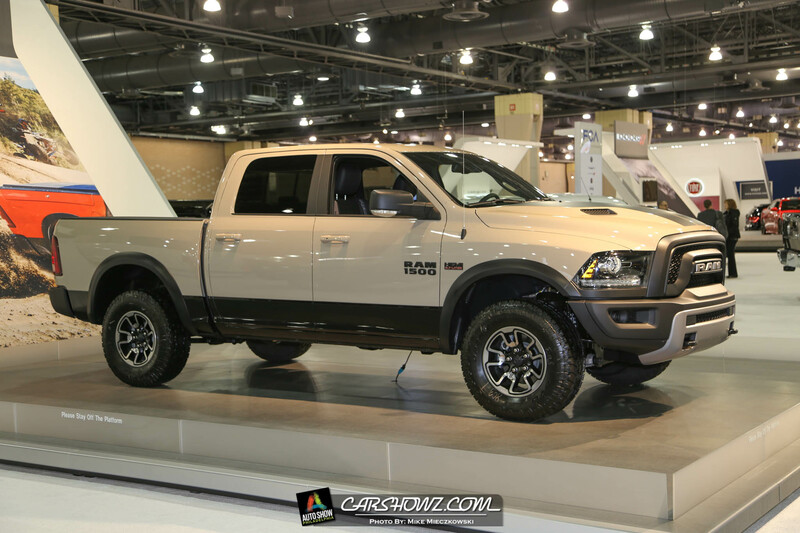 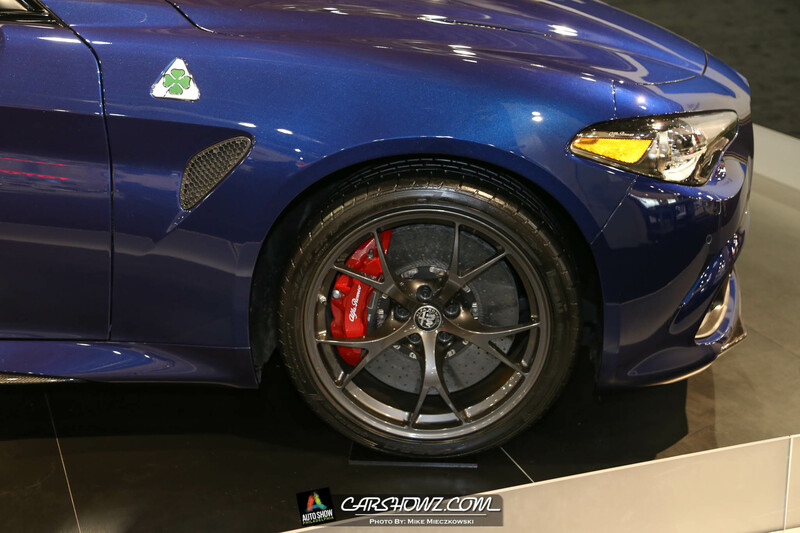 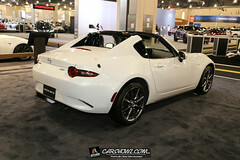 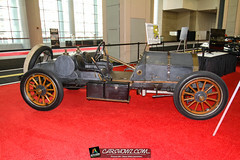 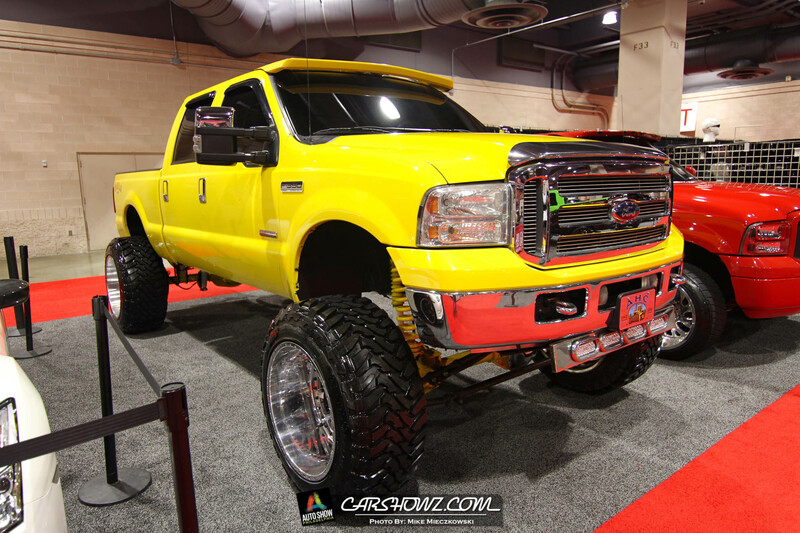 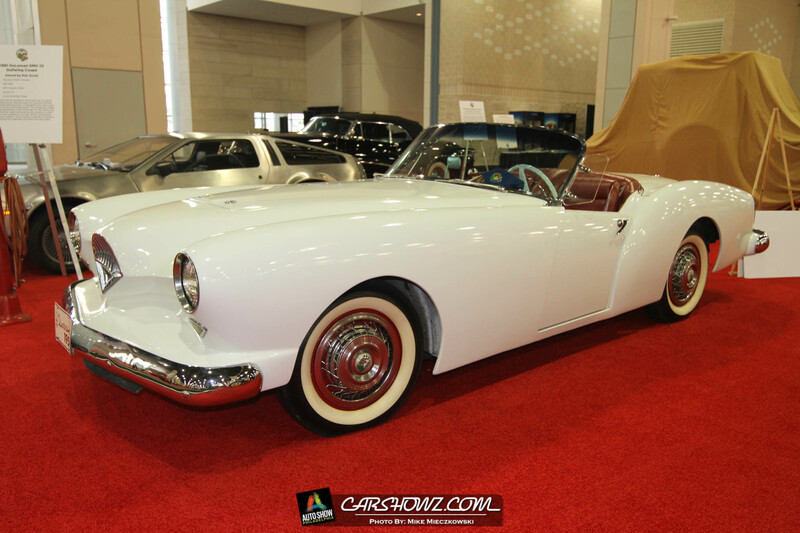 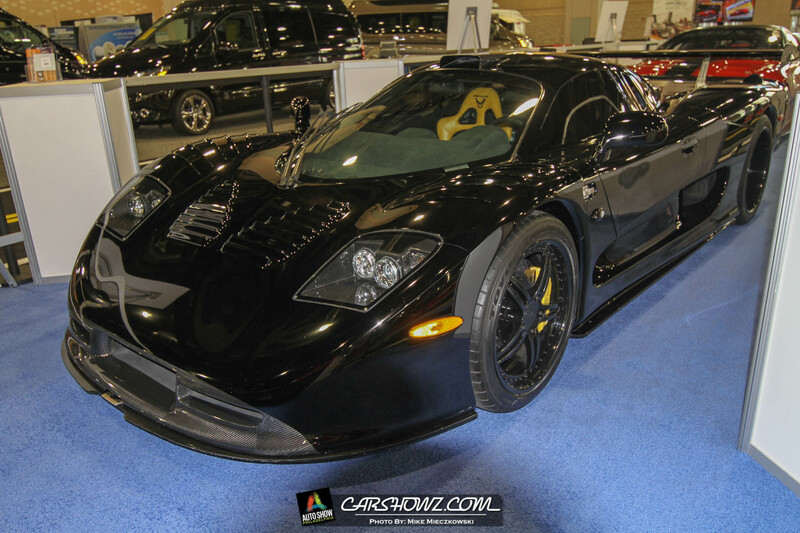 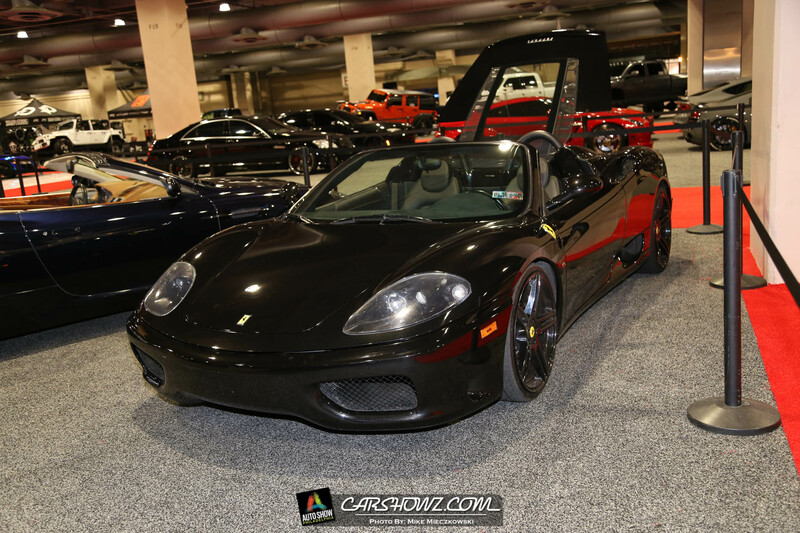 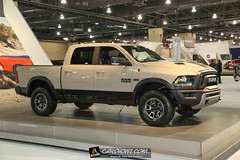 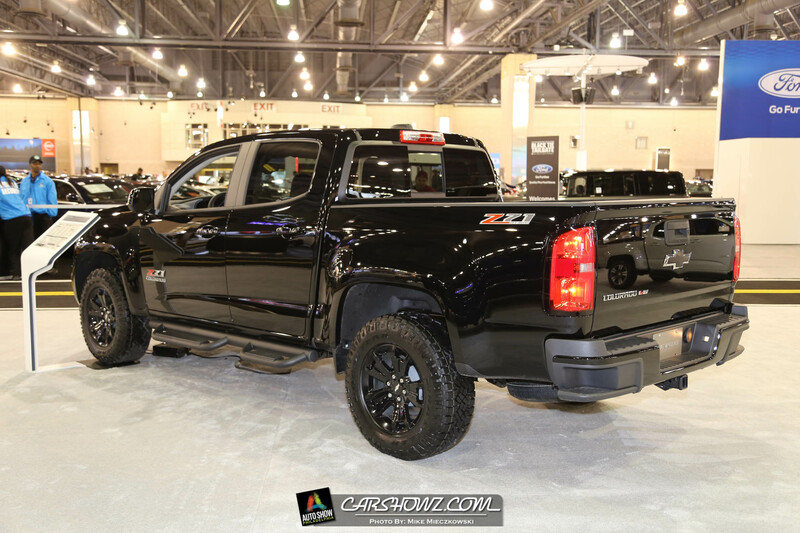 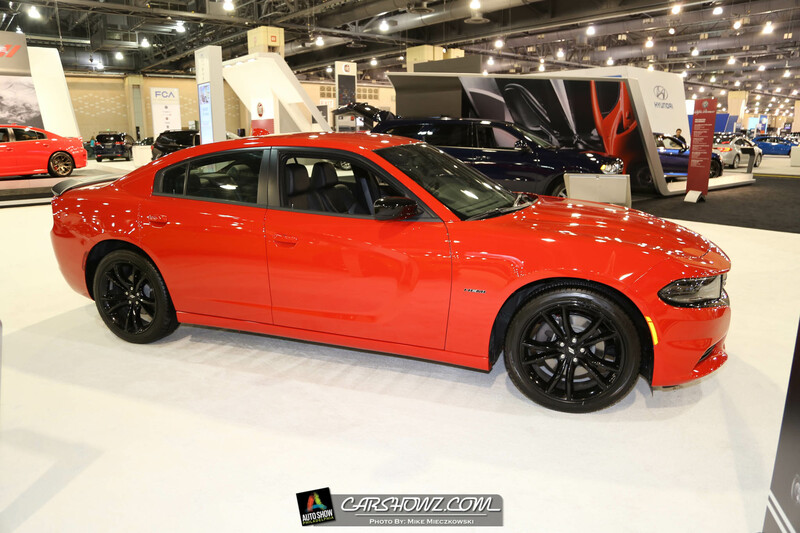 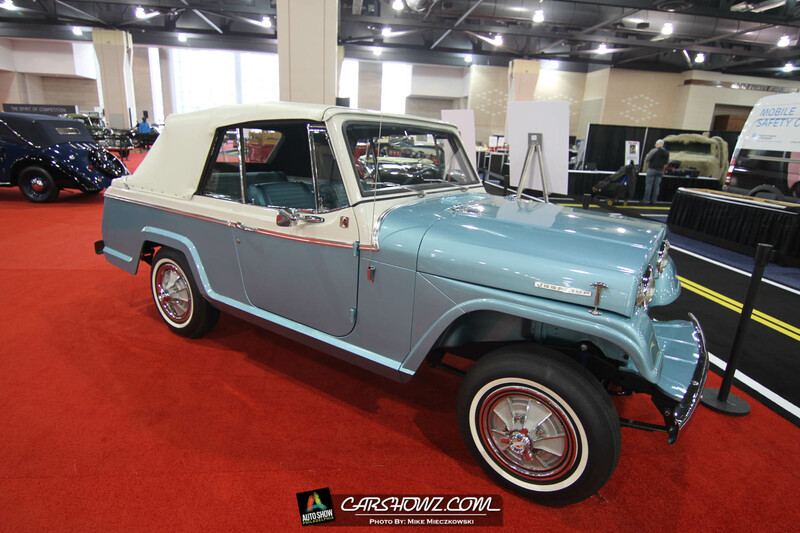 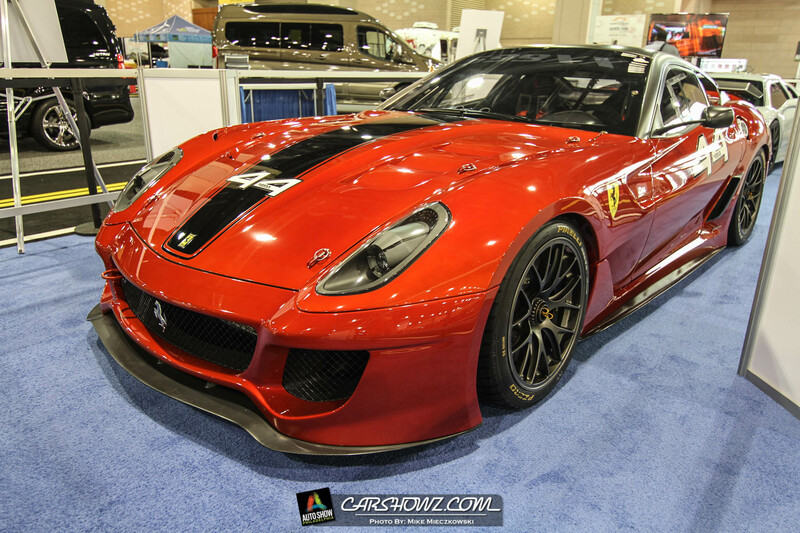 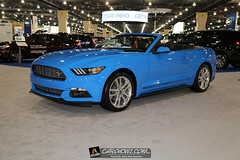 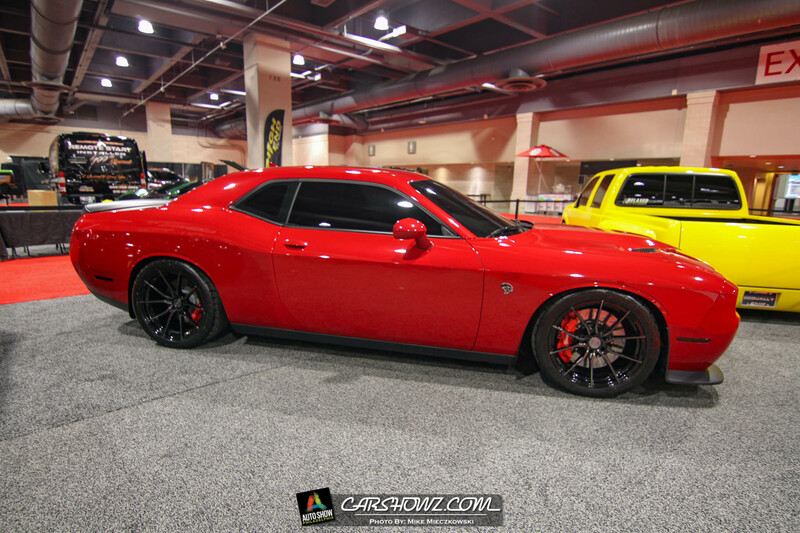 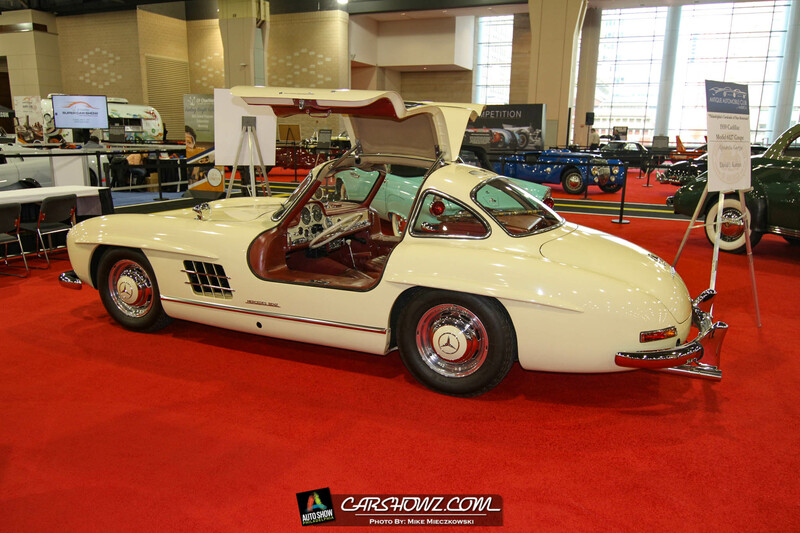 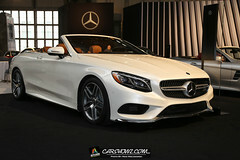 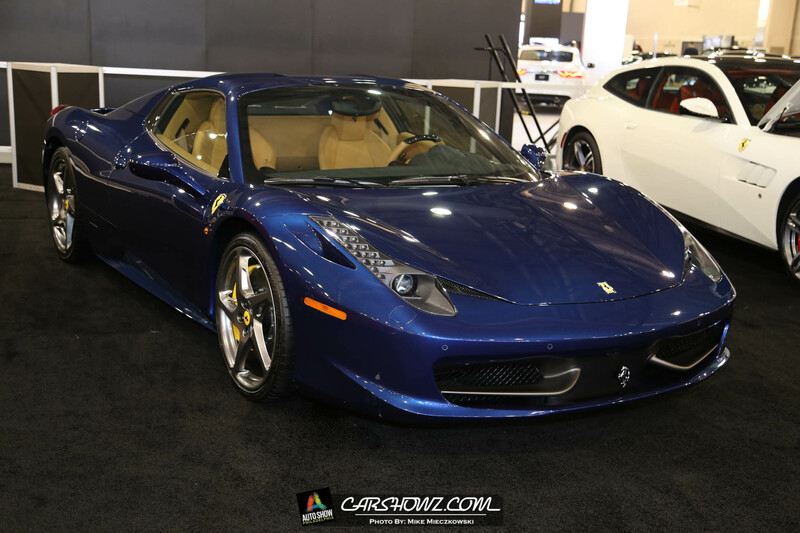 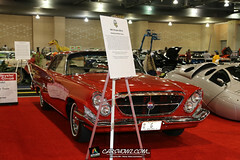 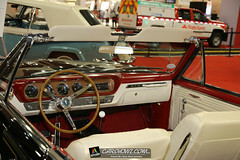 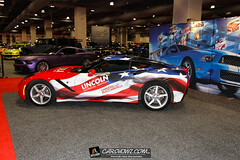 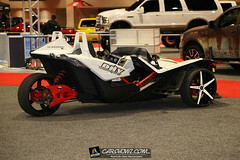 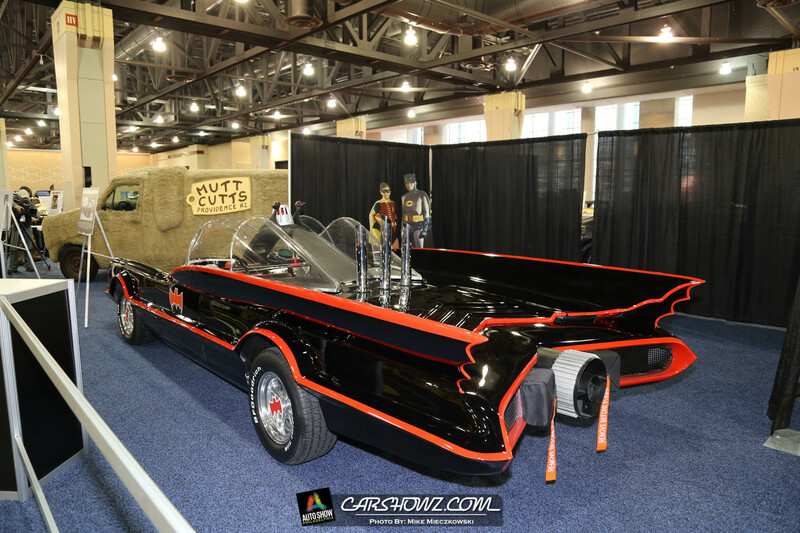 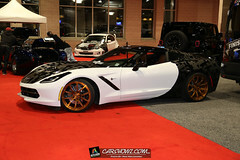 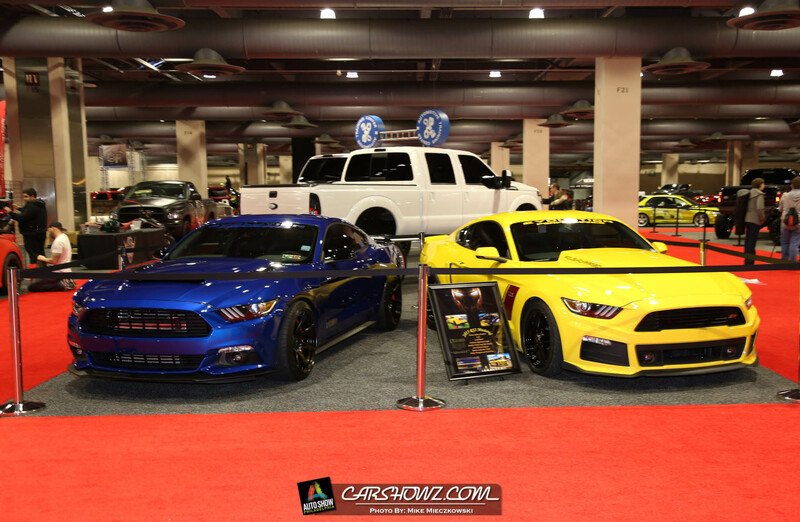 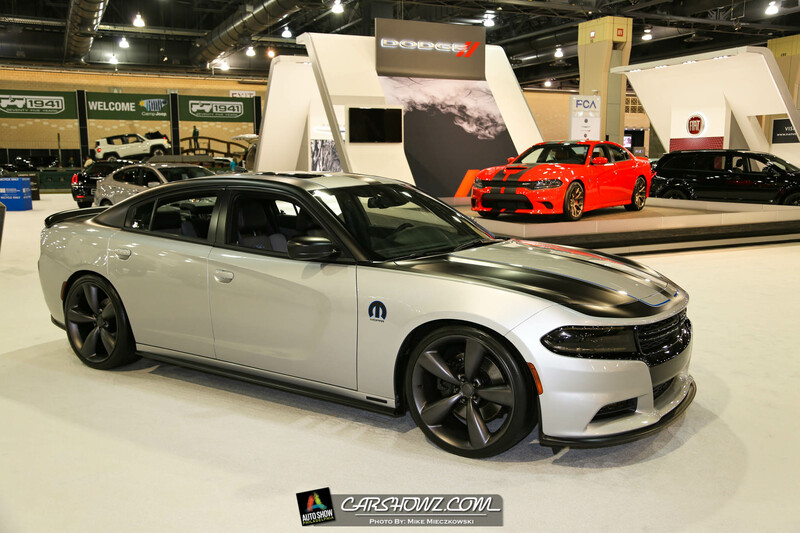 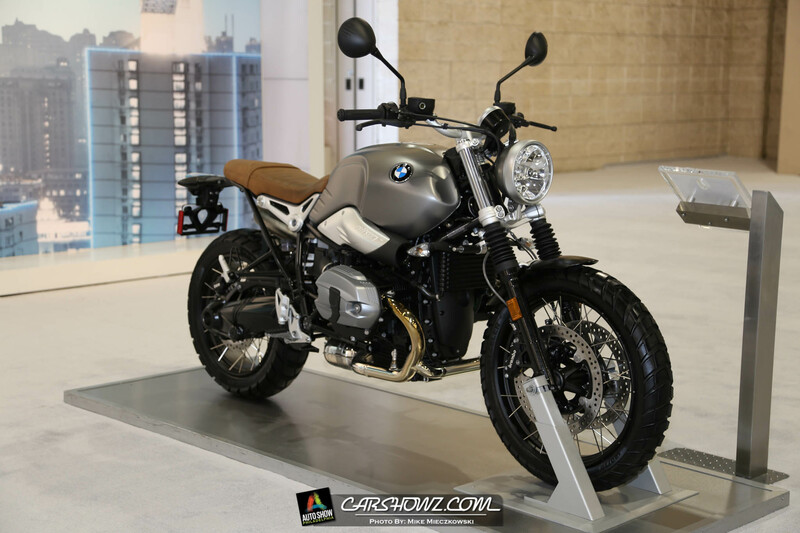 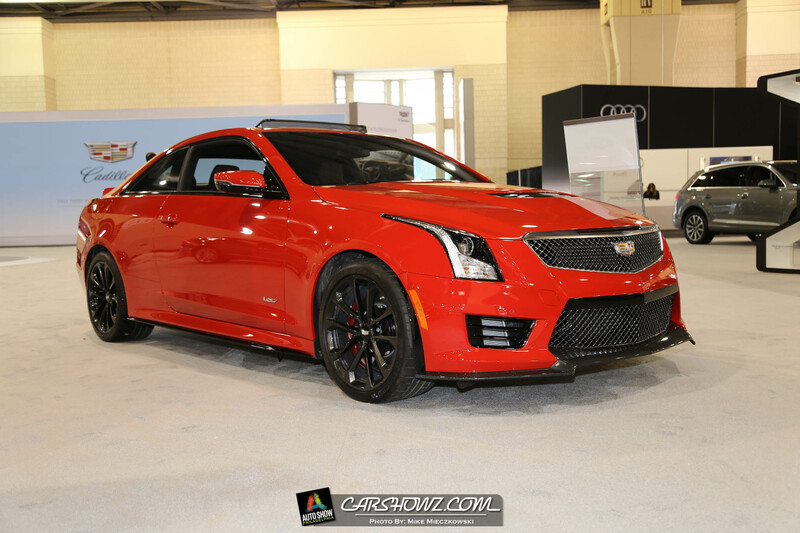 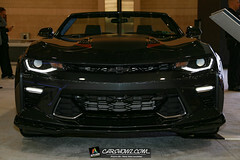 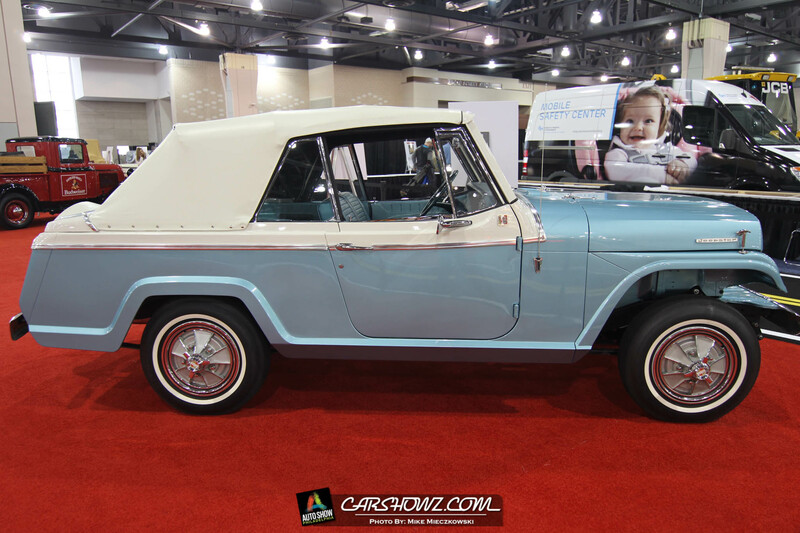 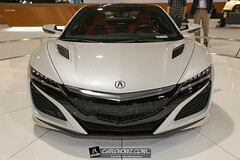 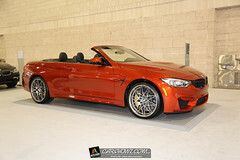 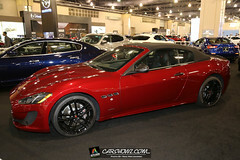 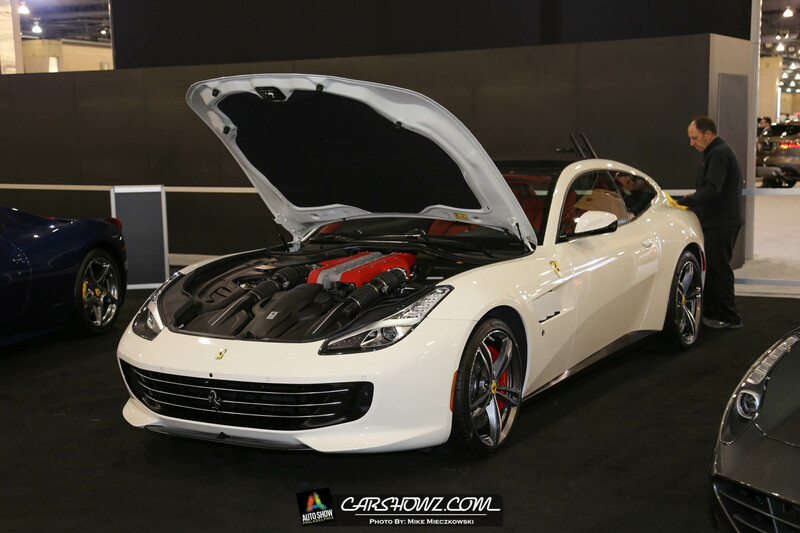 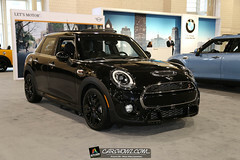 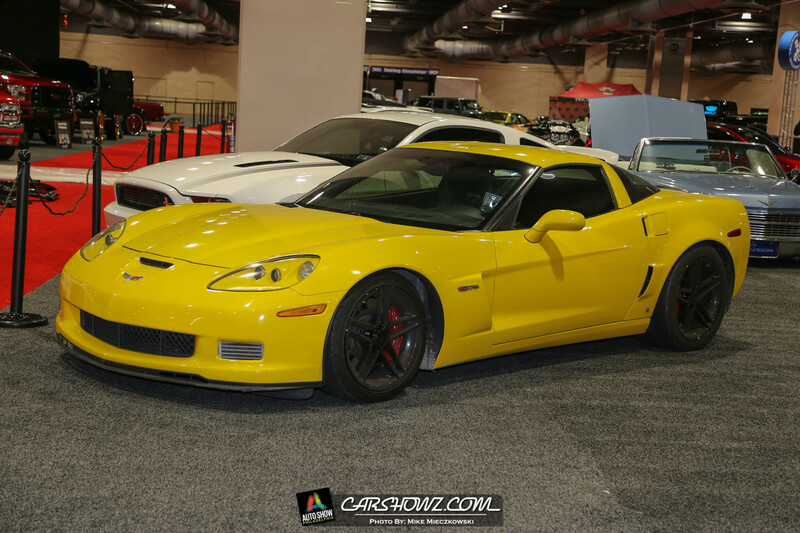 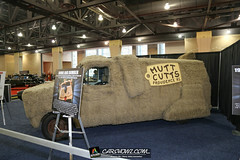 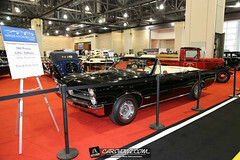 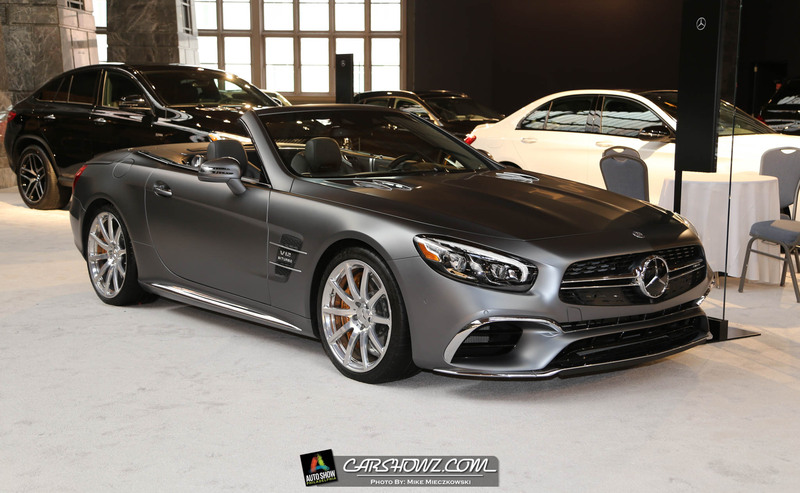 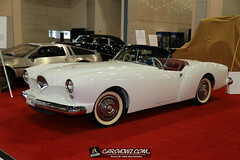 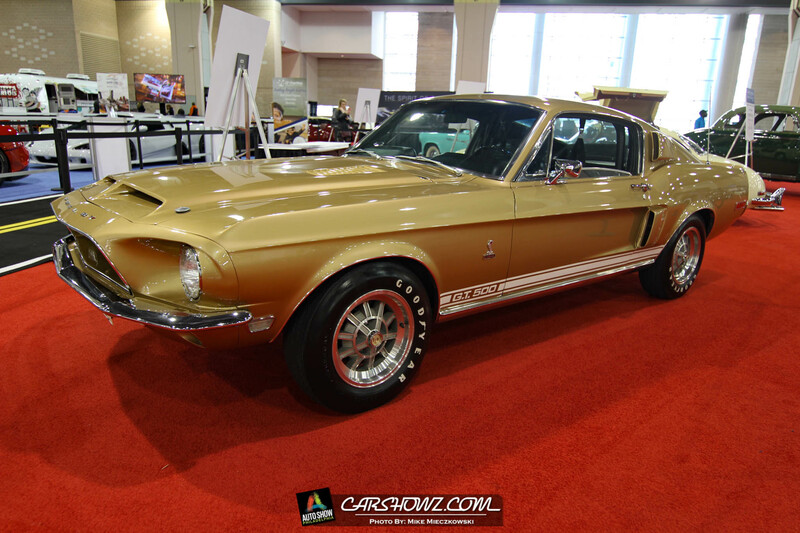 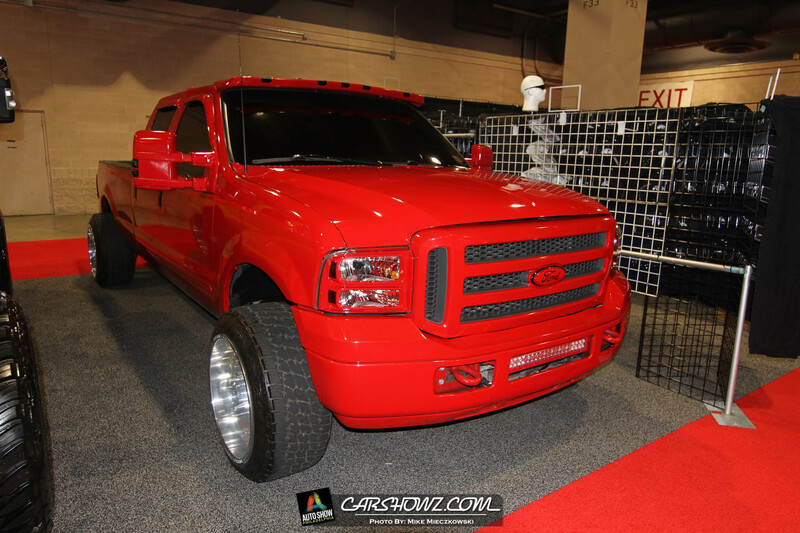 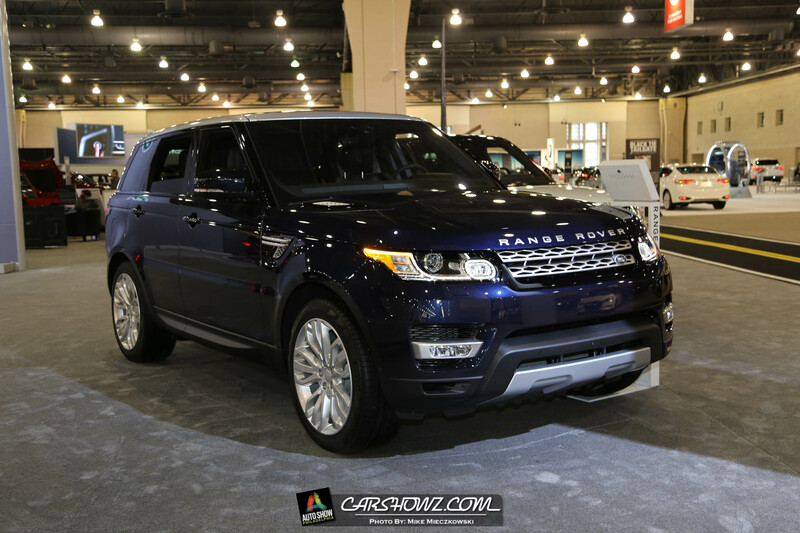 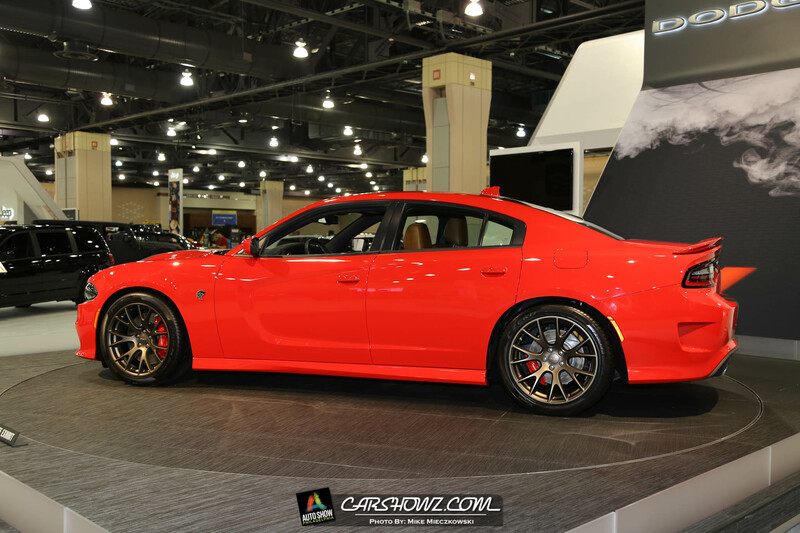 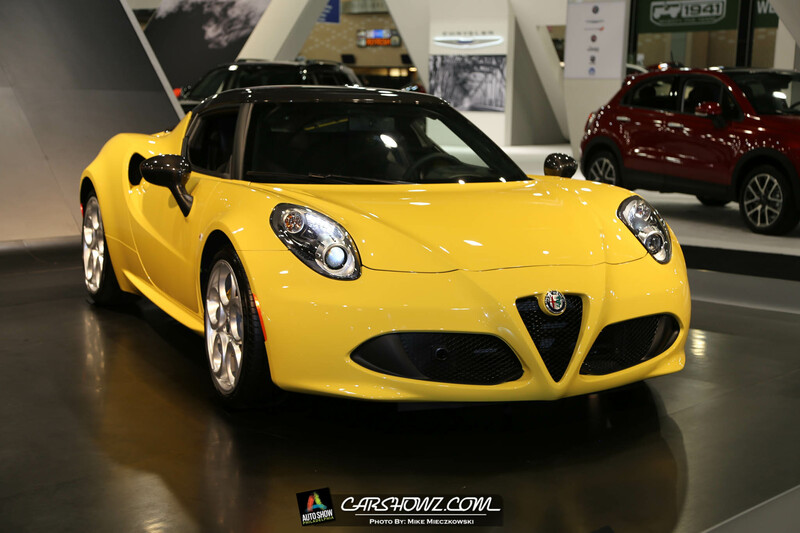 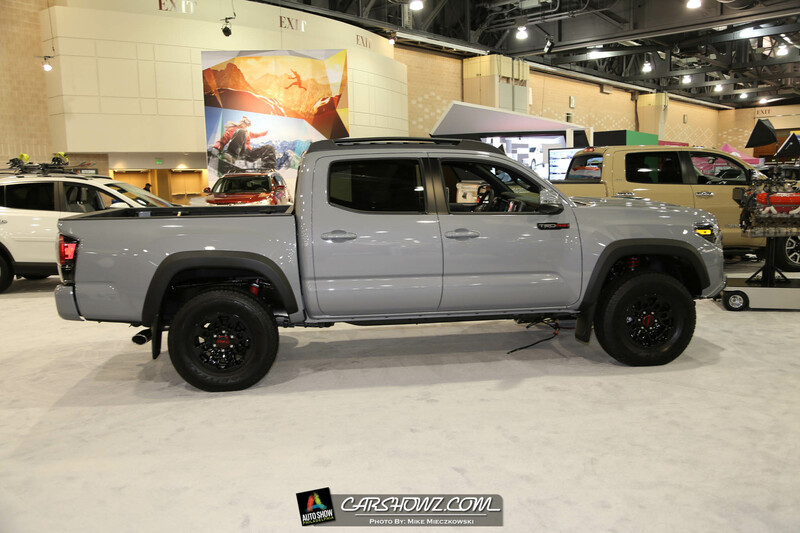 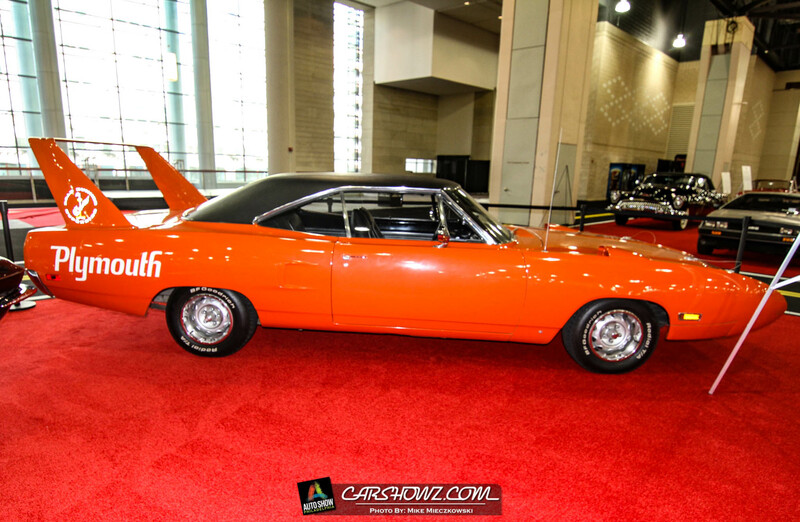 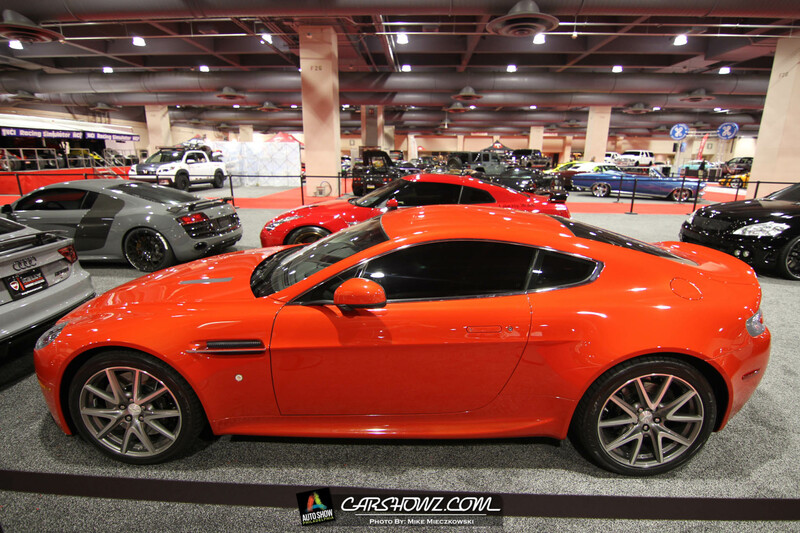 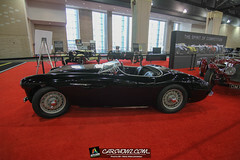 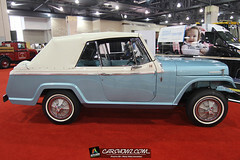 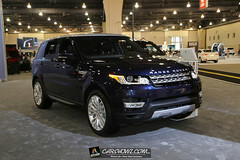 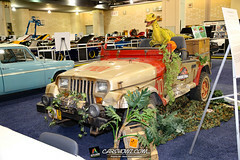 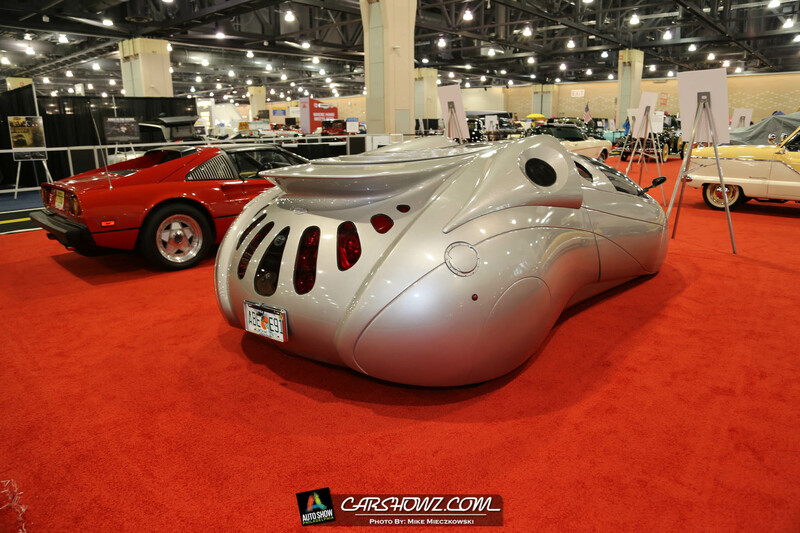 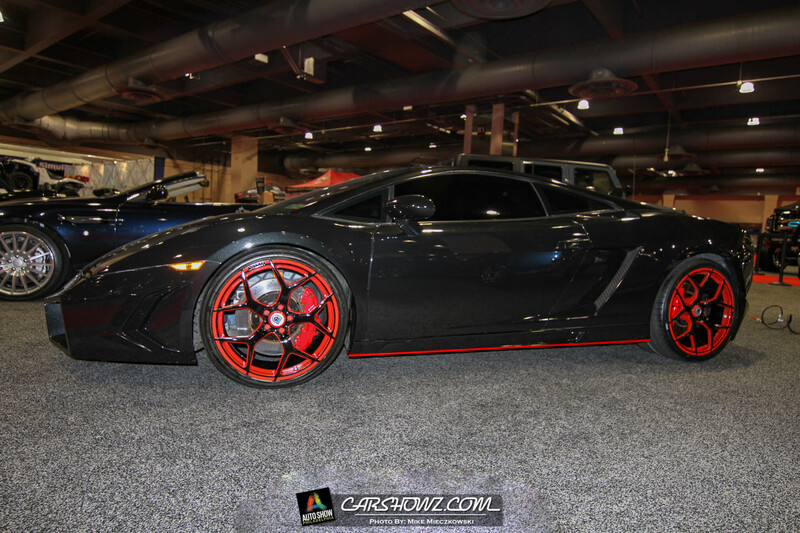 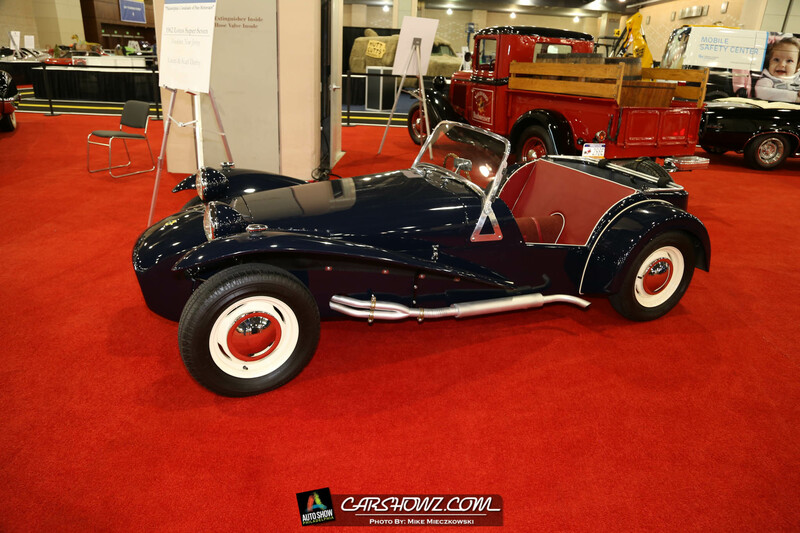 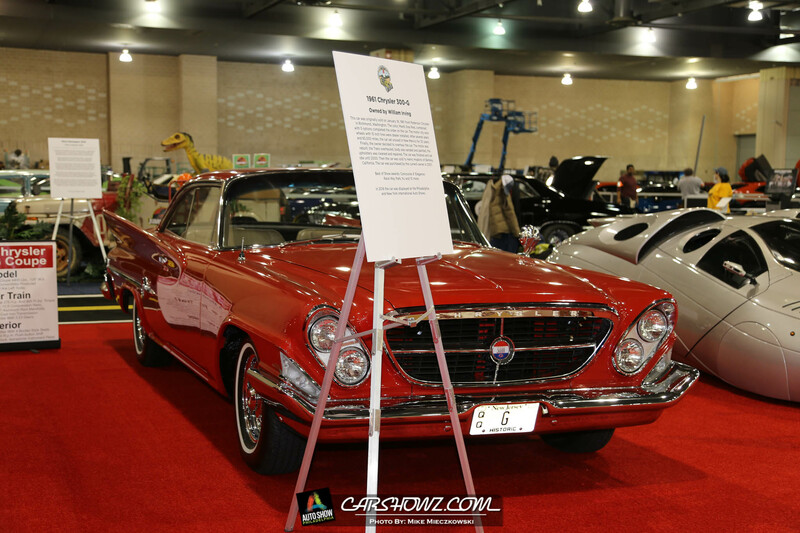 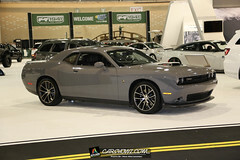 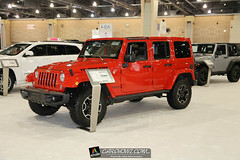 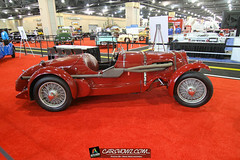 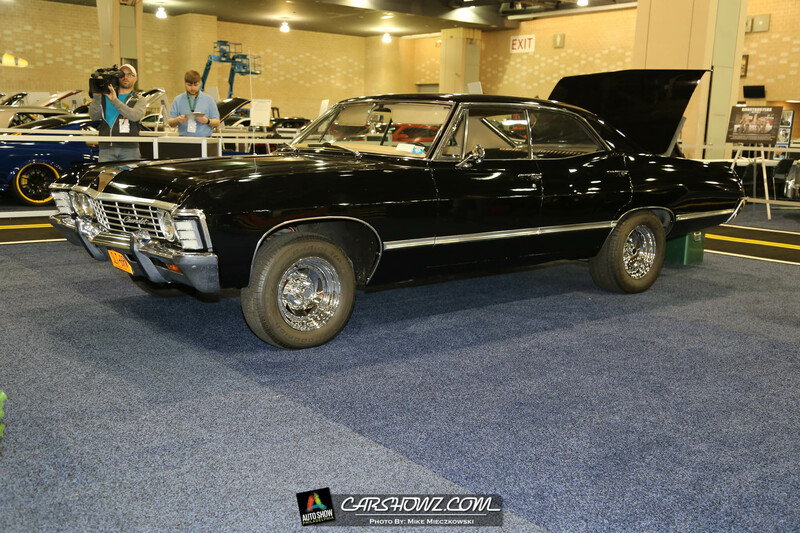 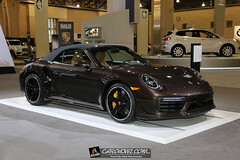 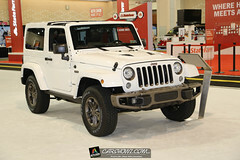 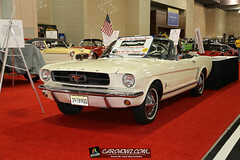 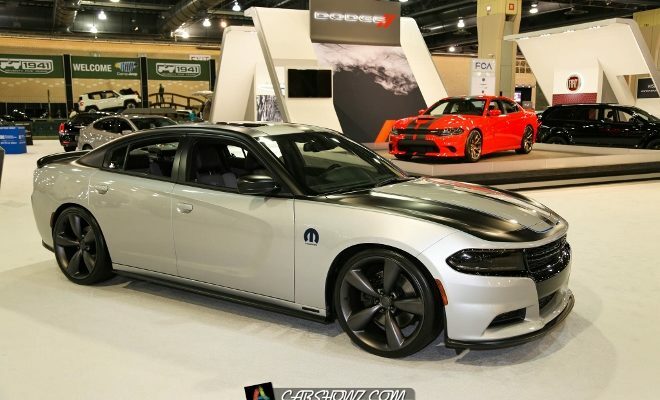 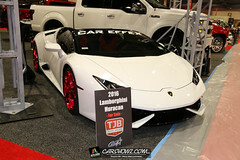 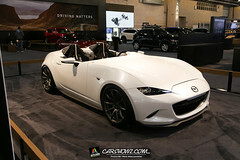 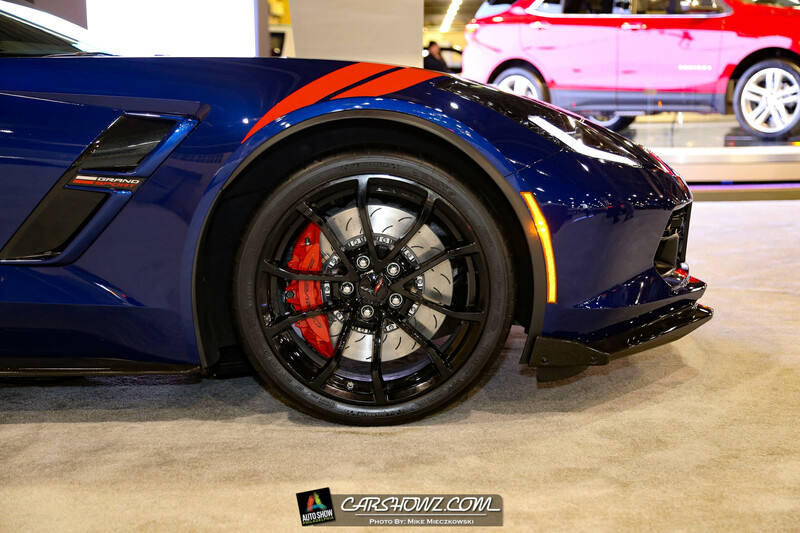 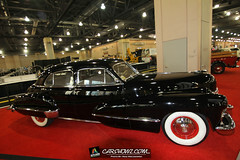 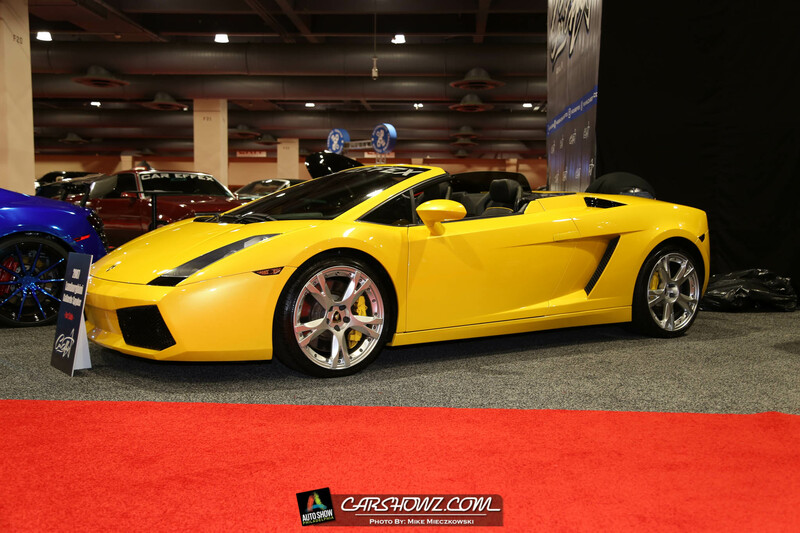 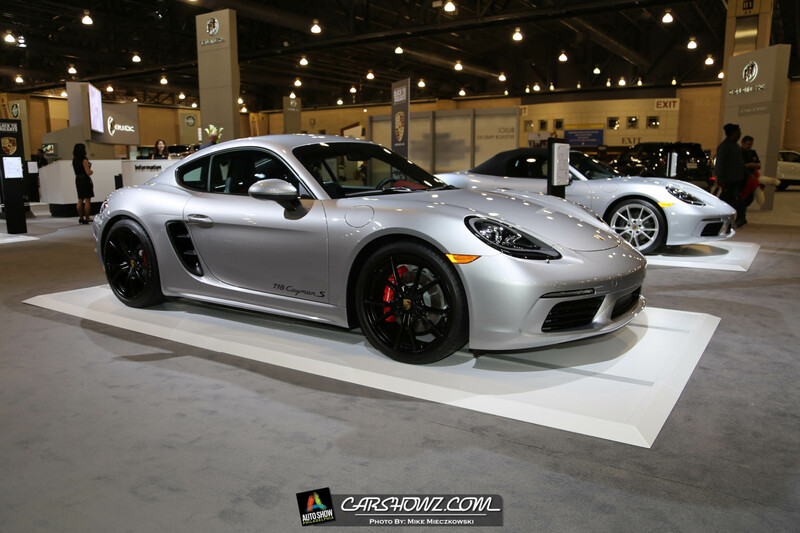 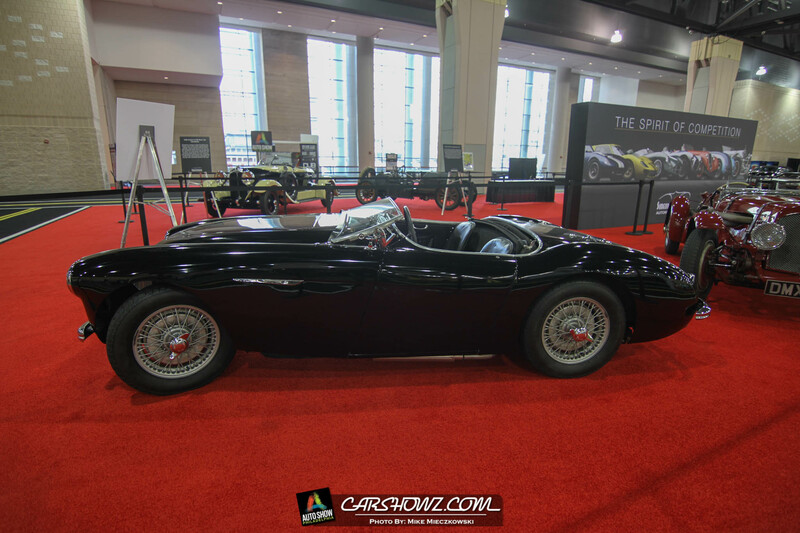 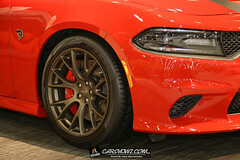 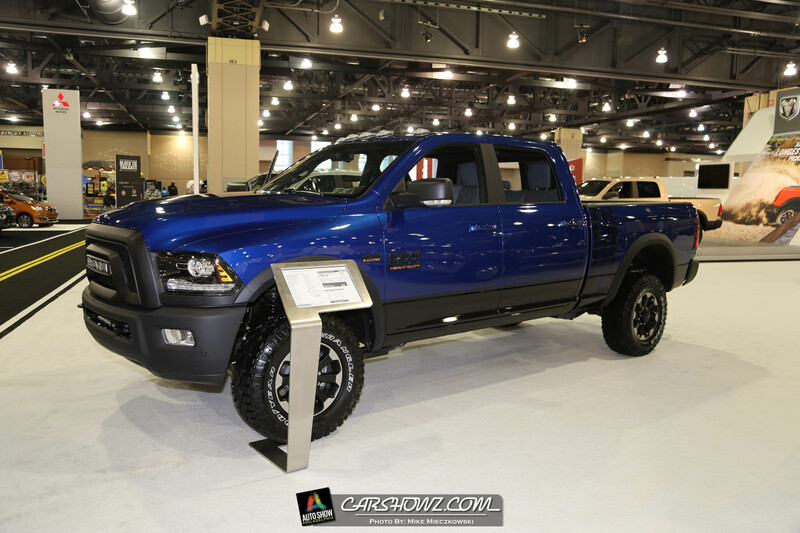 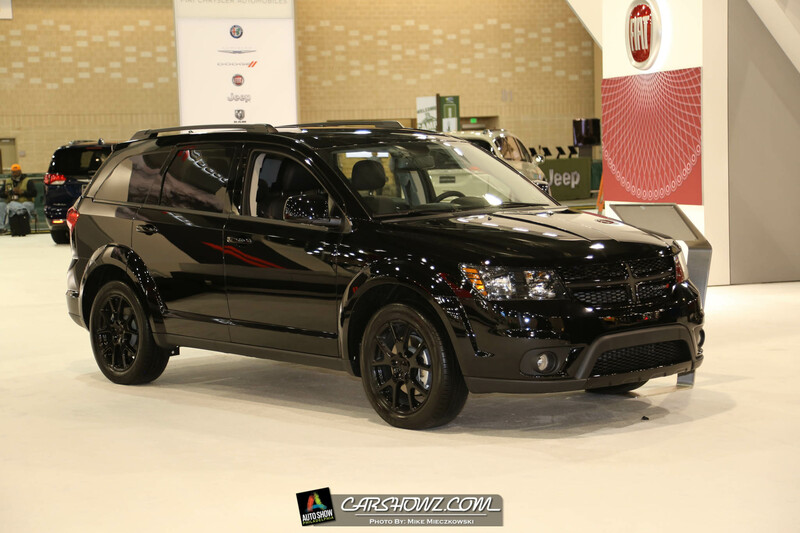 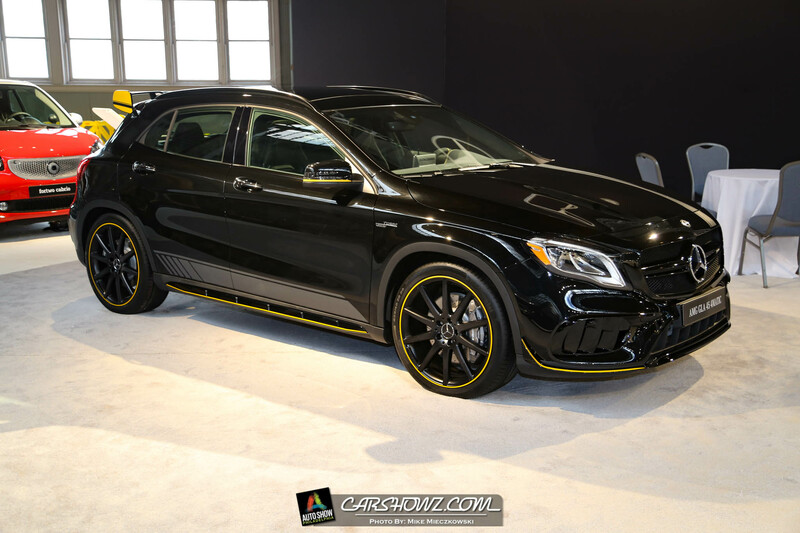 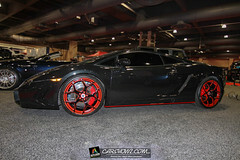 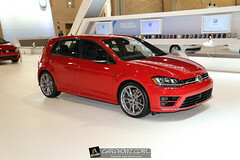 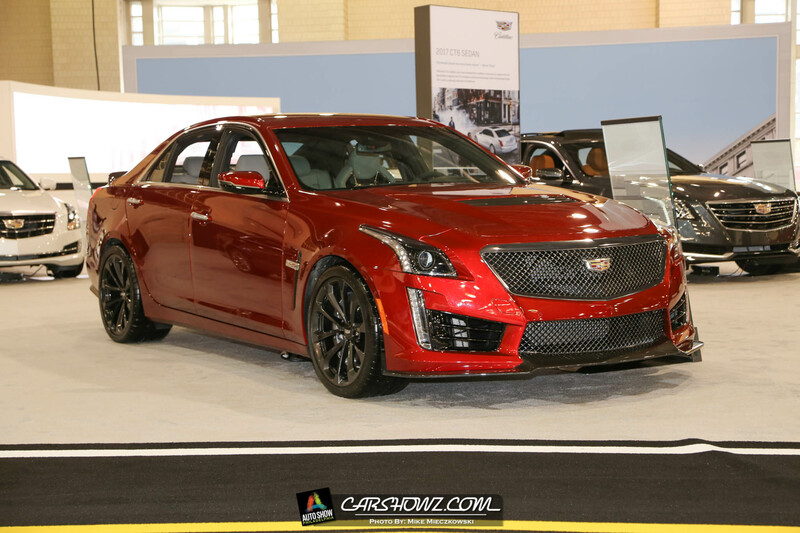 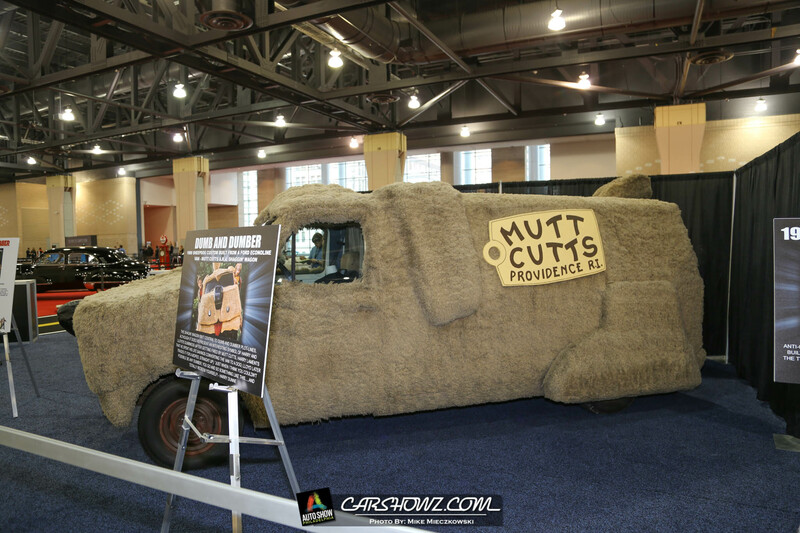 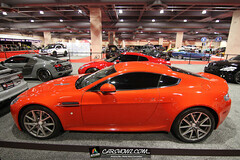 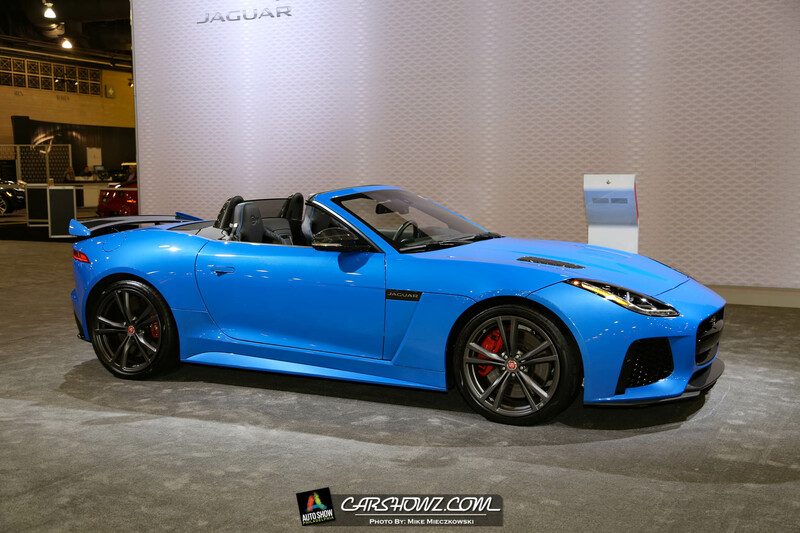 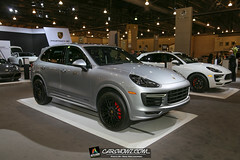 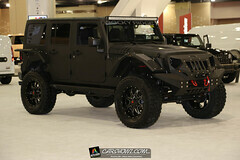 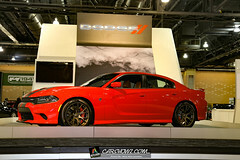 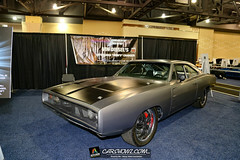 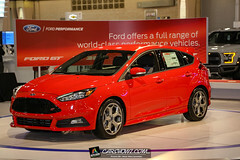 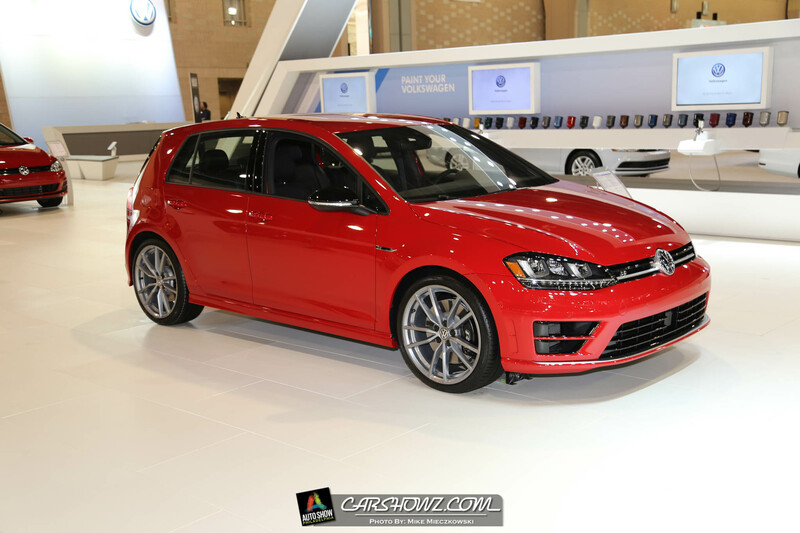 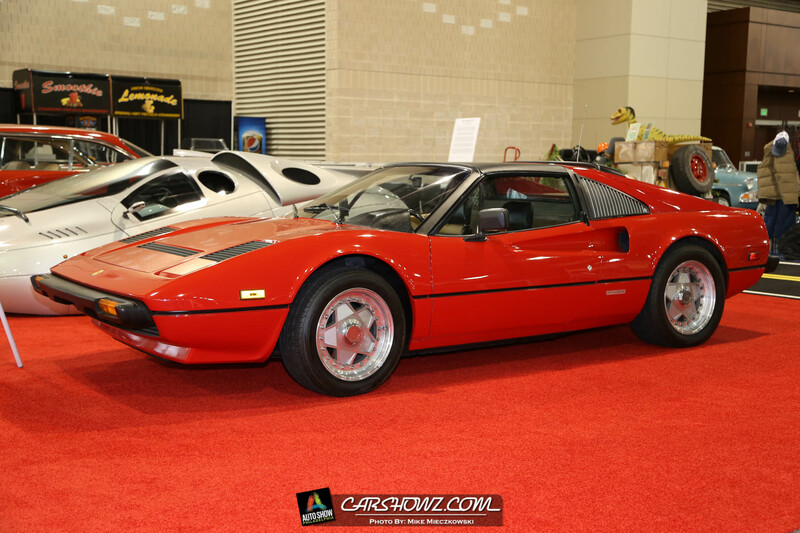 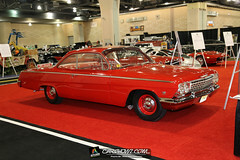 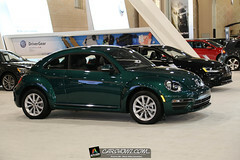 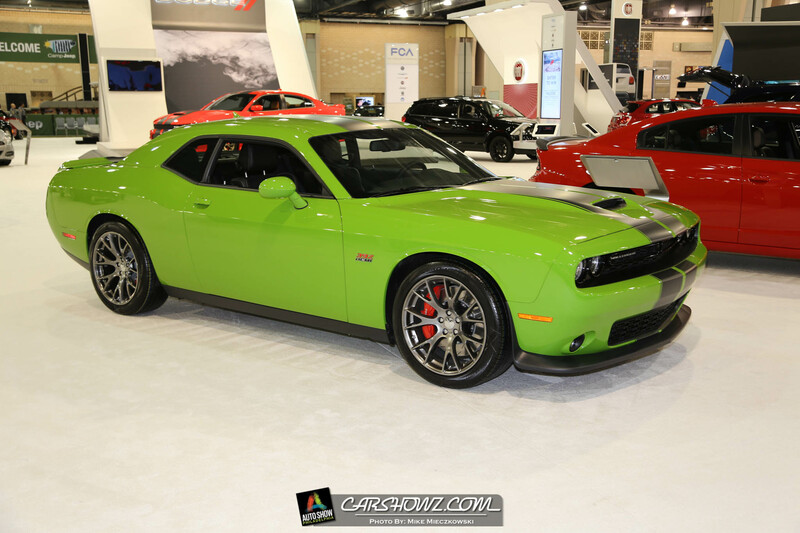 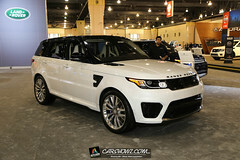 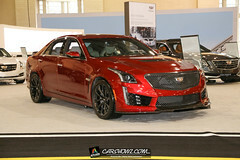 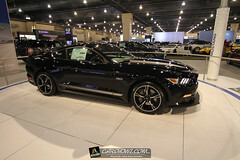 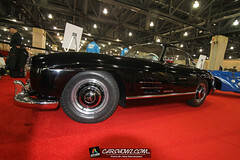 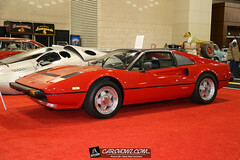 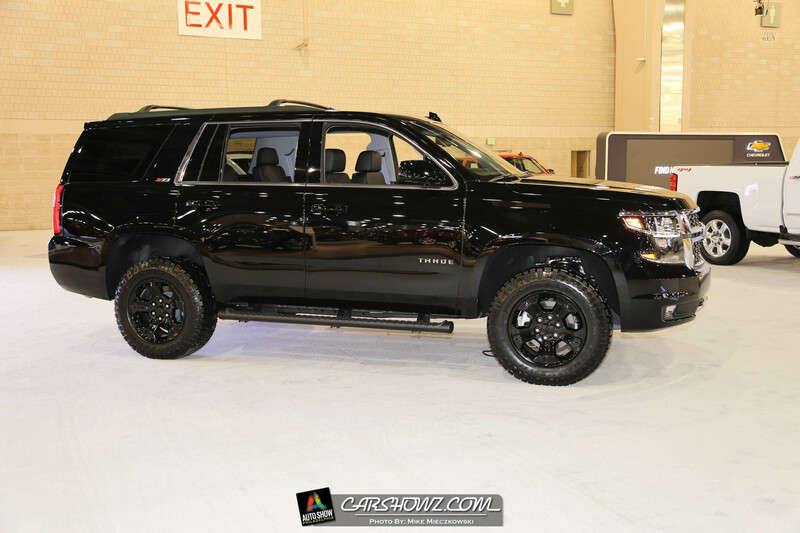 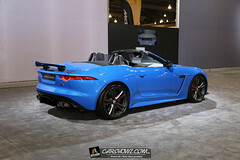 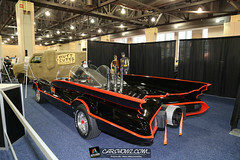 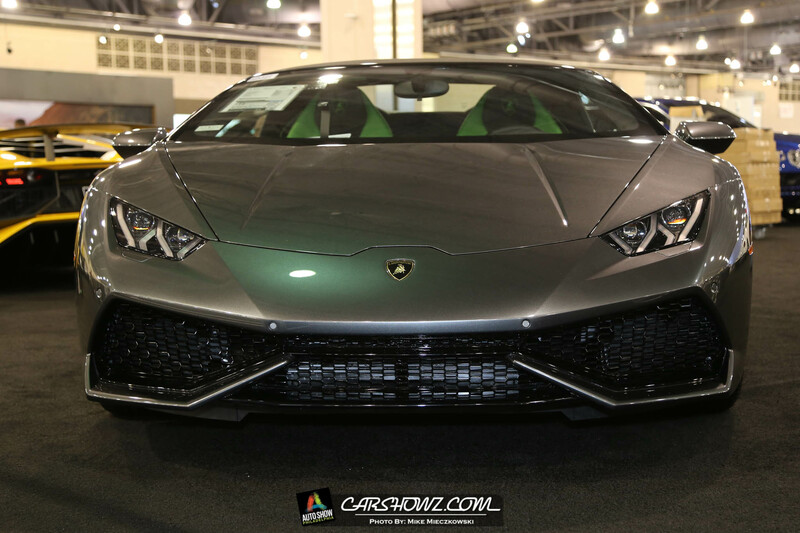 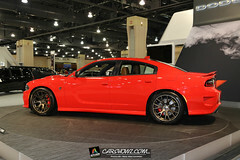 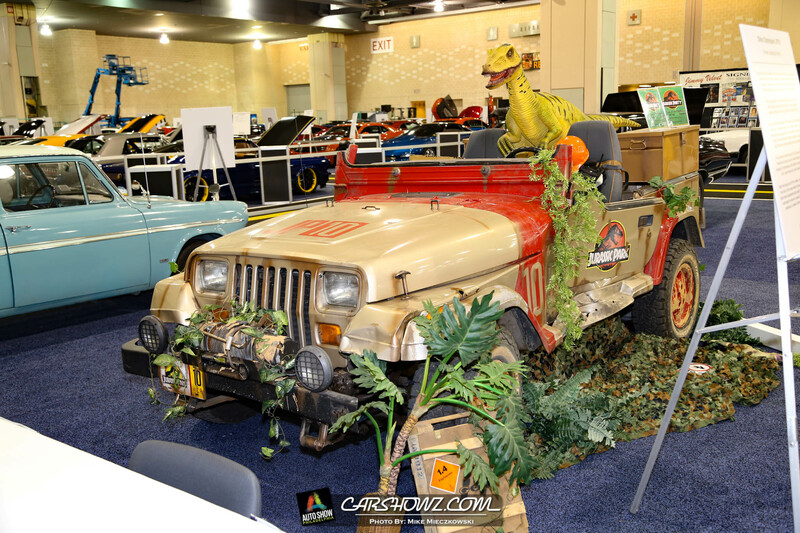 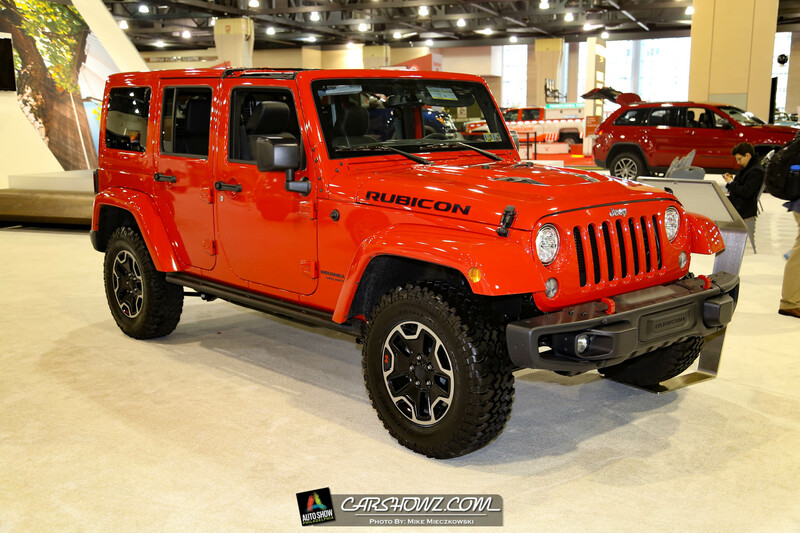 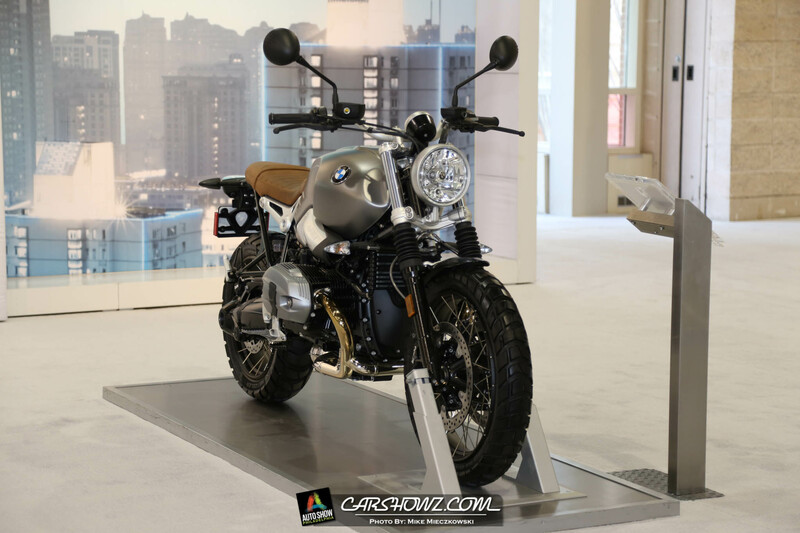 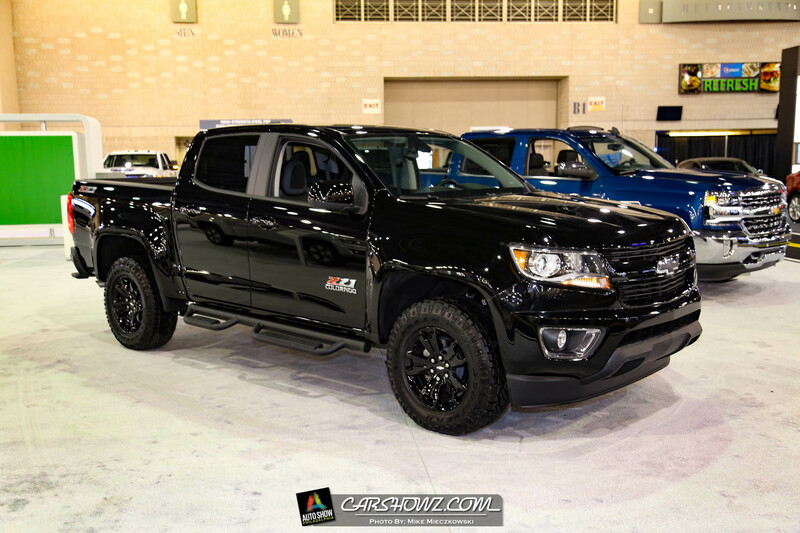 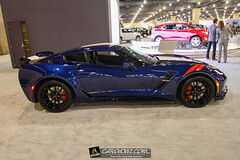 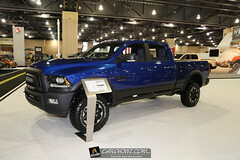 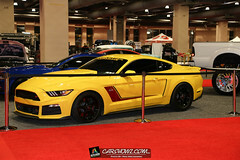 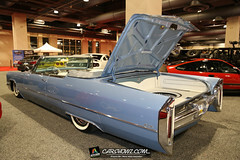 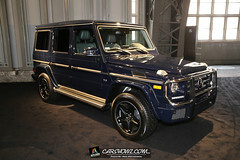 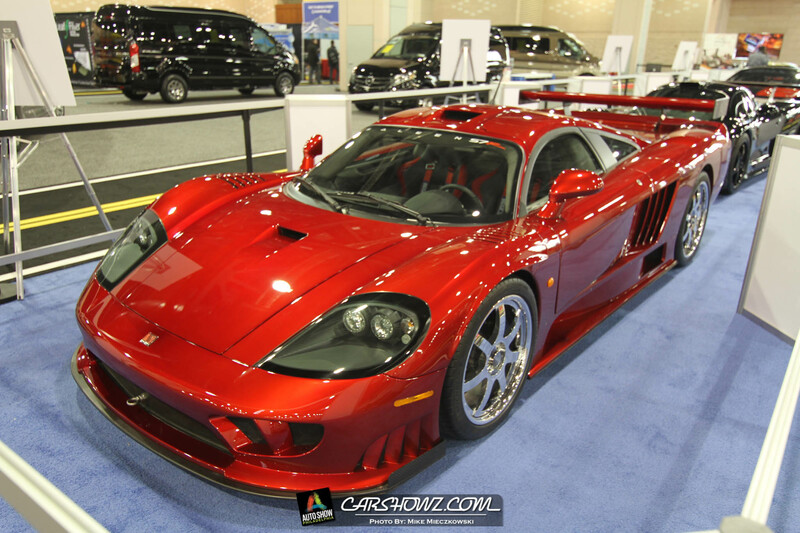 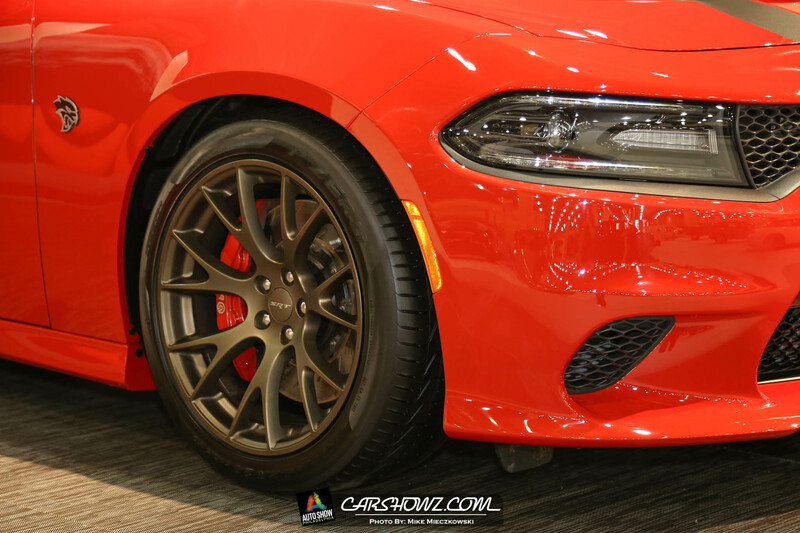 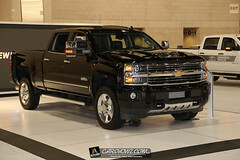 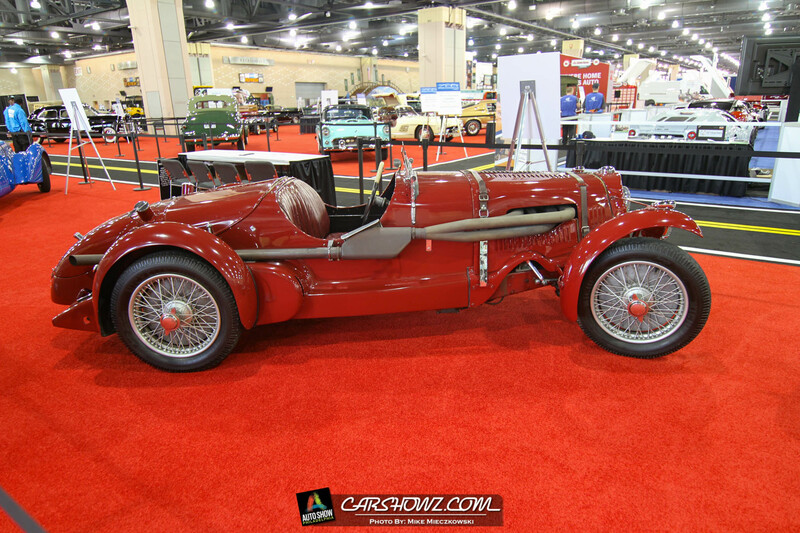 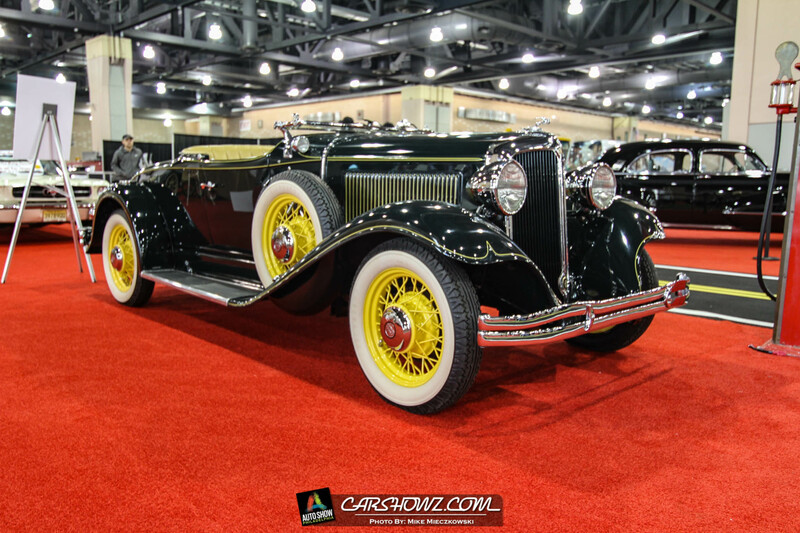 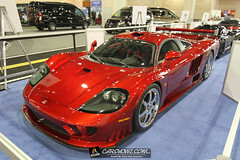 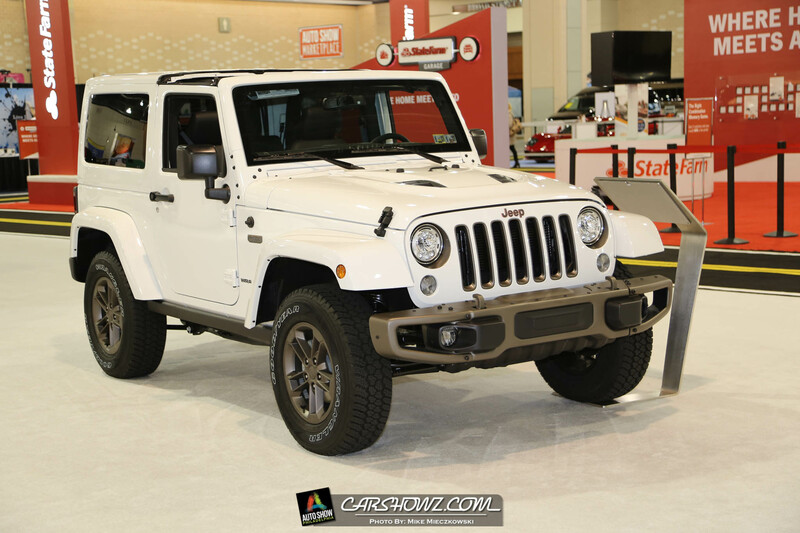 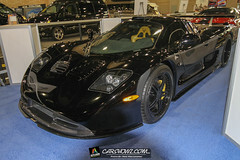 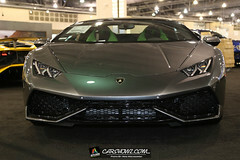 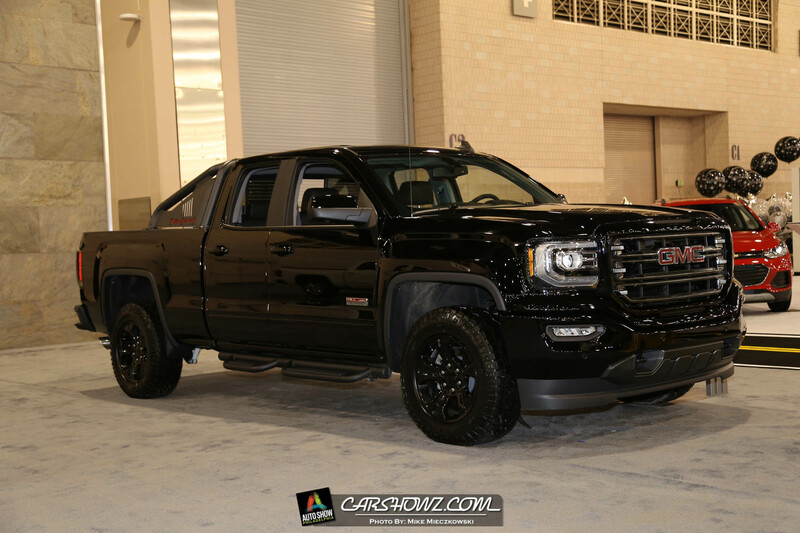 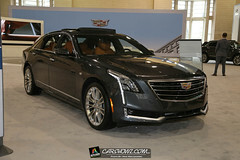 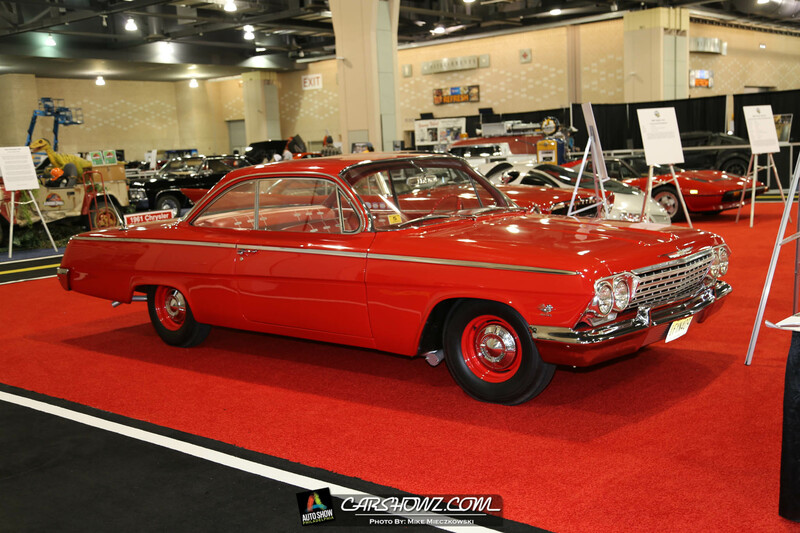 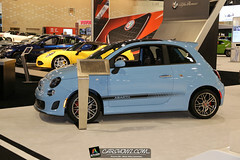 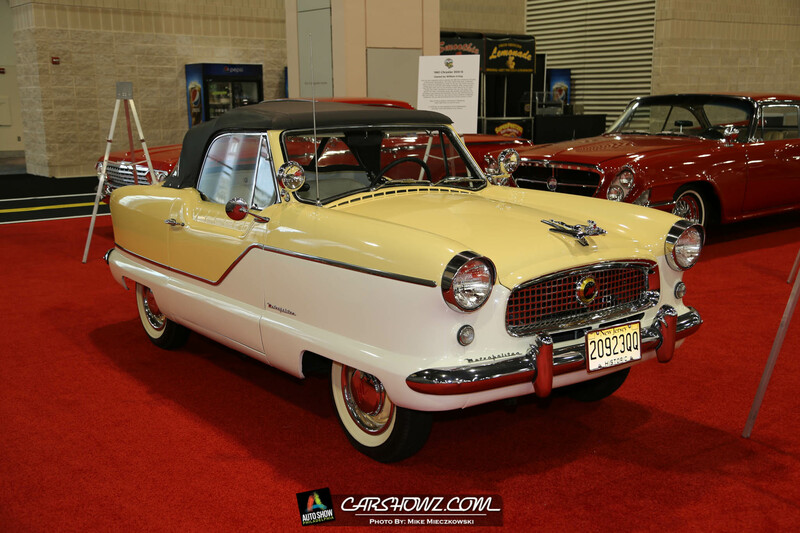 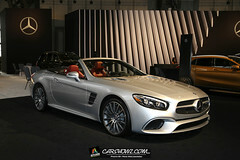 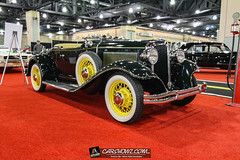 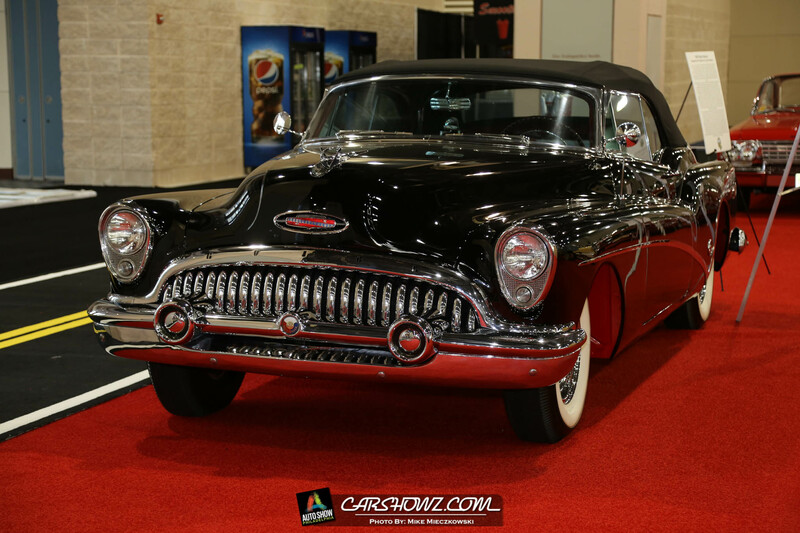 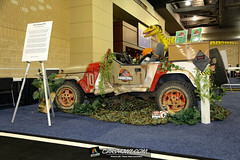 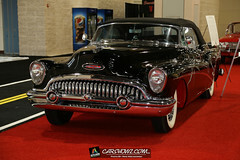 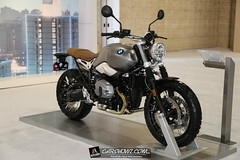 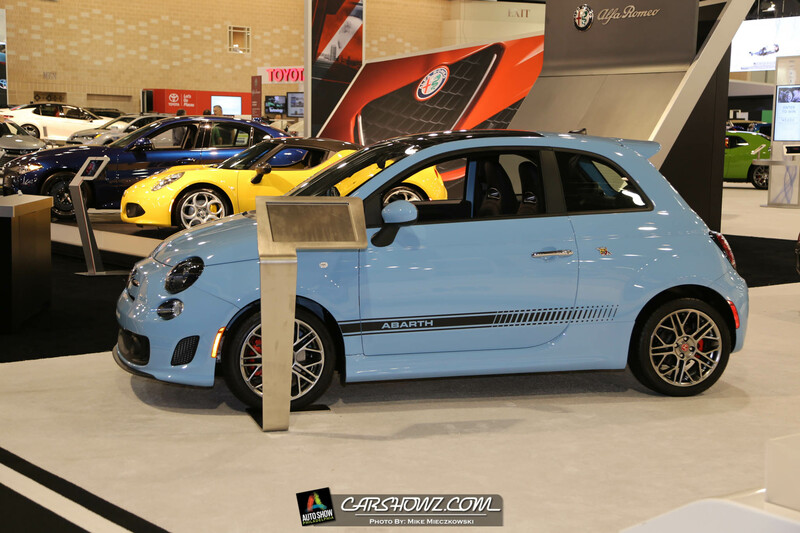 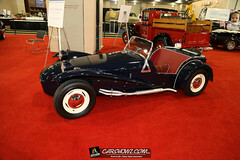 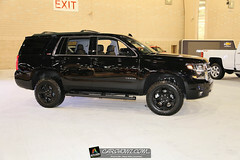 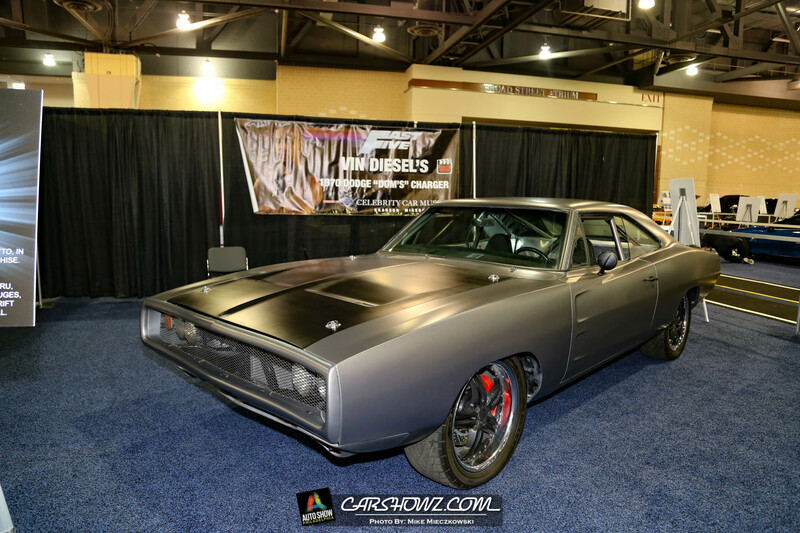 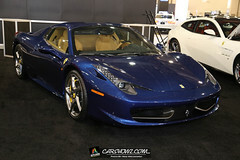 Auto Show Marketplace: From chamois to Harleys, and everything in between! 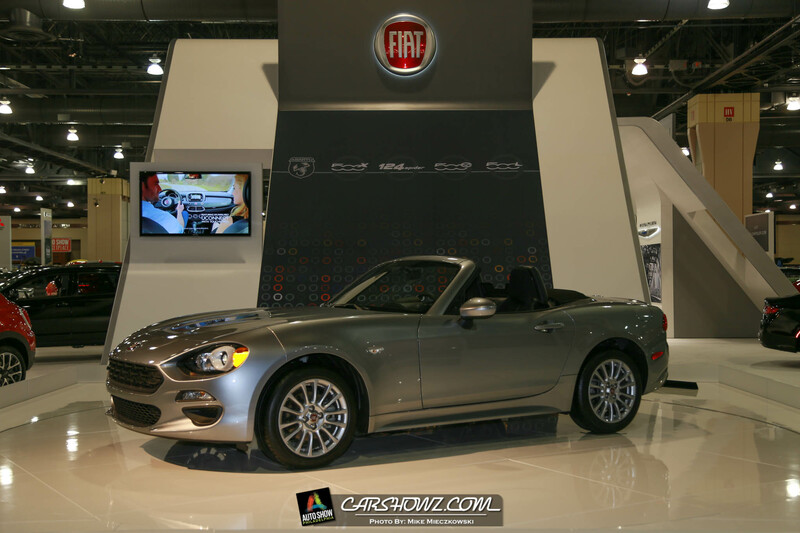 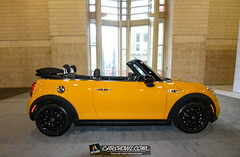 The PitStop: The PitStop at the Auto Show: your destination or food & fun! 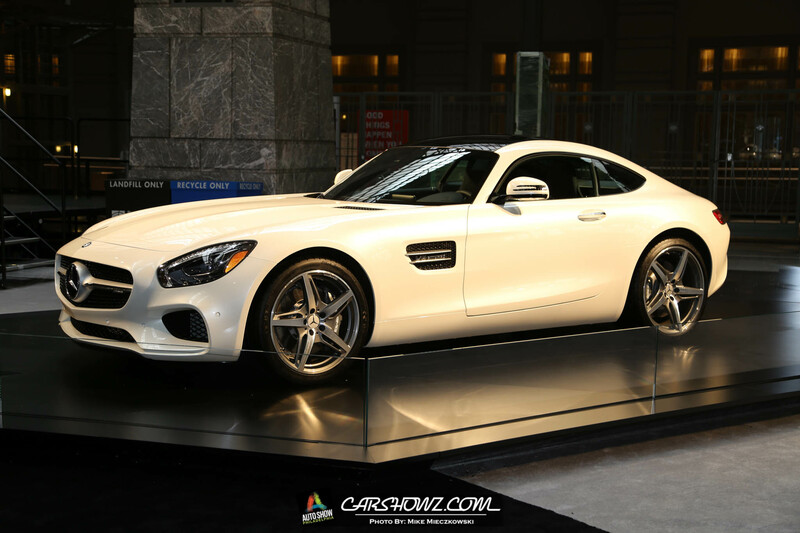 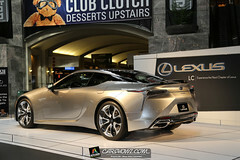 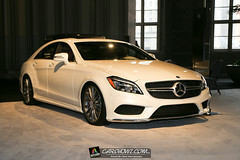 Located on the mezzanine above Lexus & Mercedes-Benz. 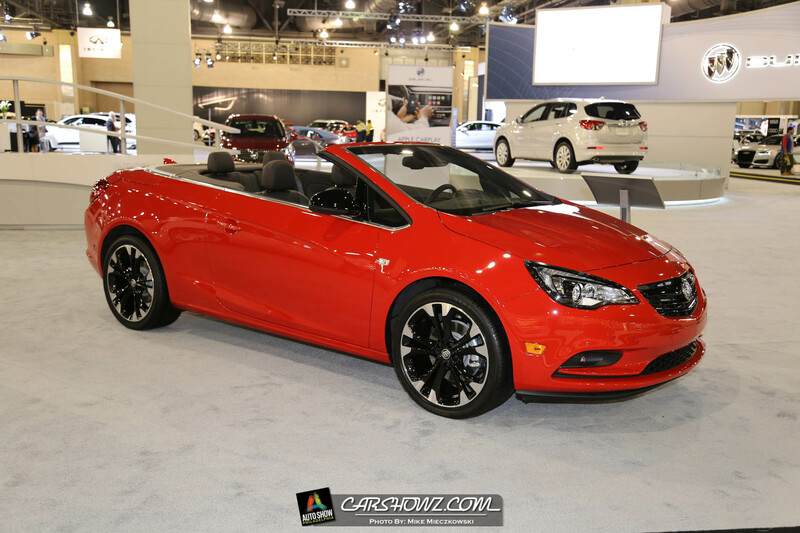 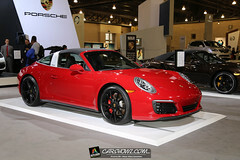 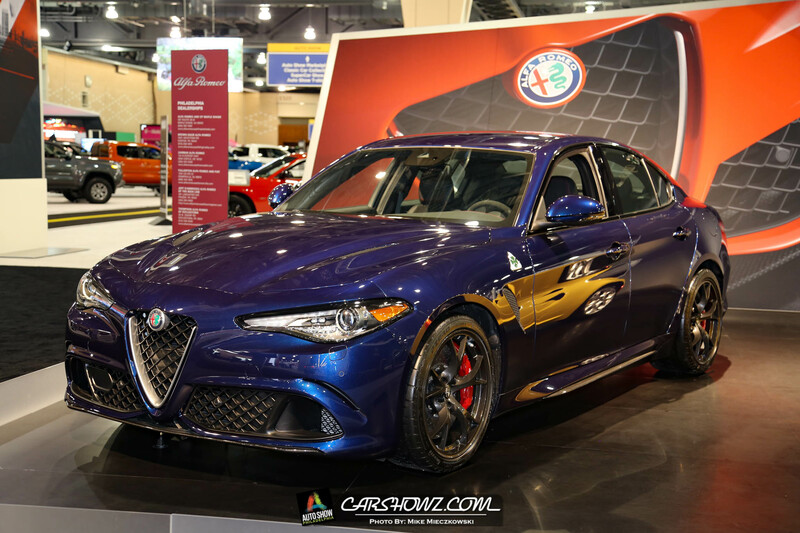 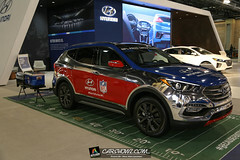 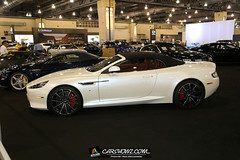 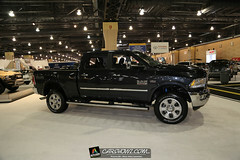 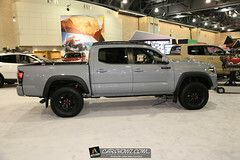 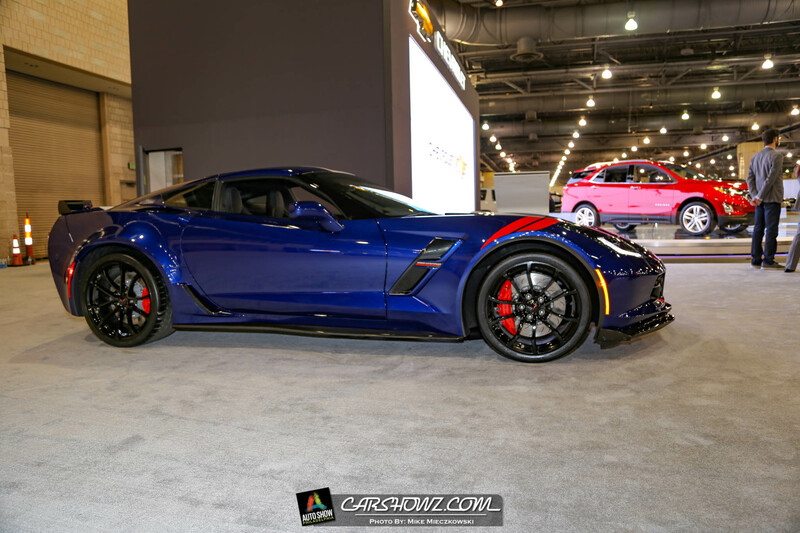 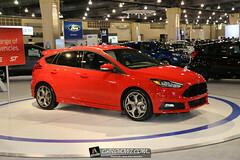 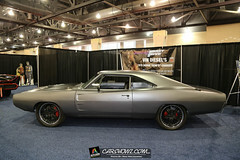 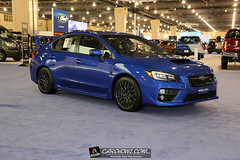 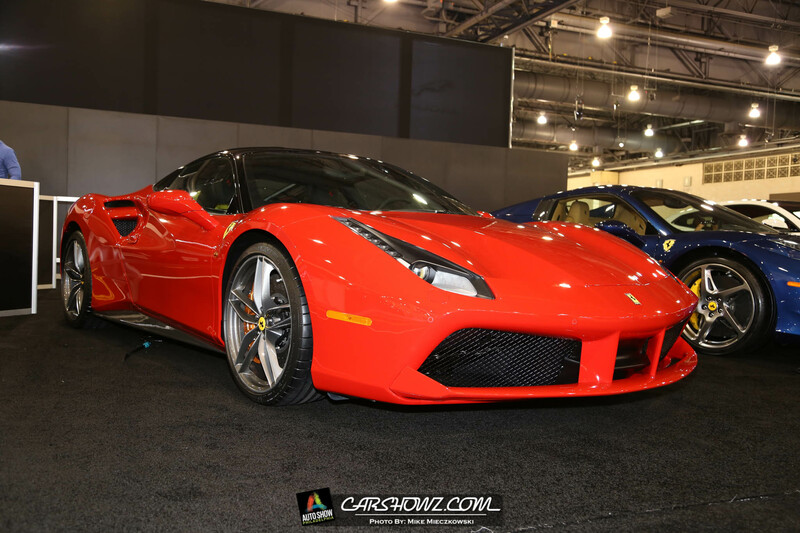 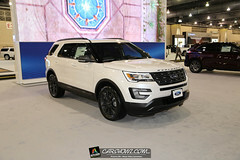 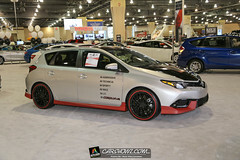 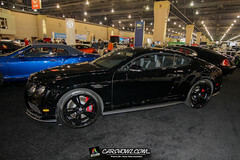 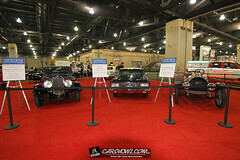 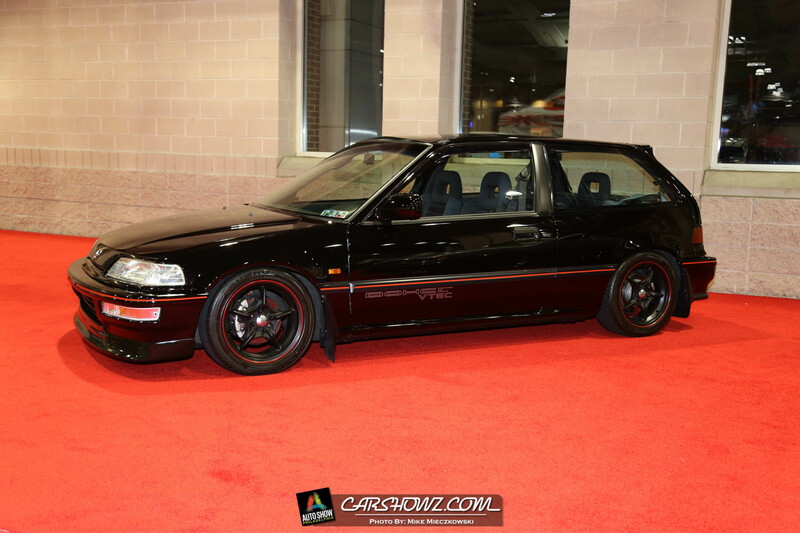 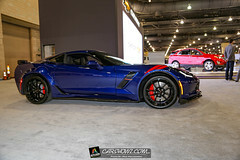 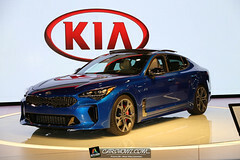 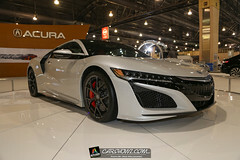 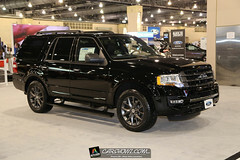 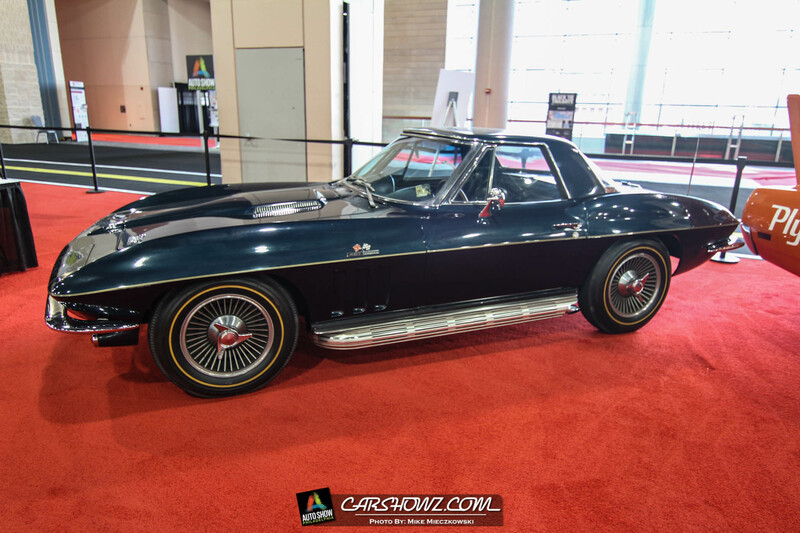 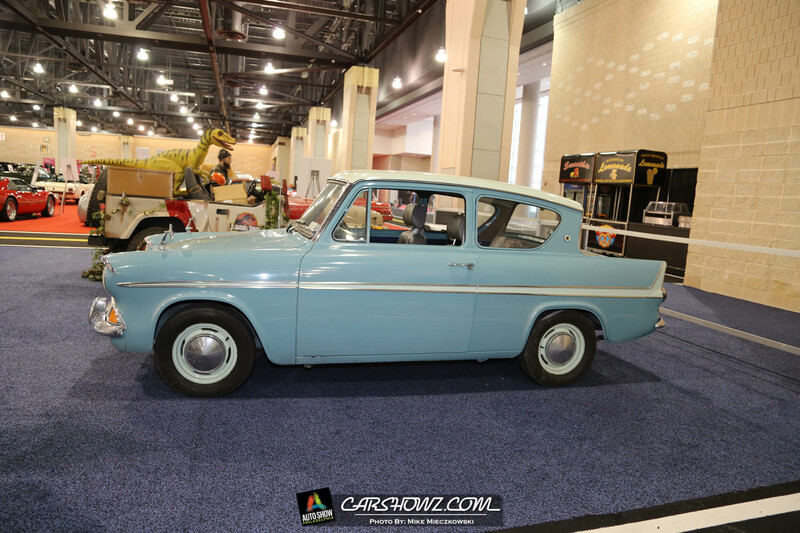 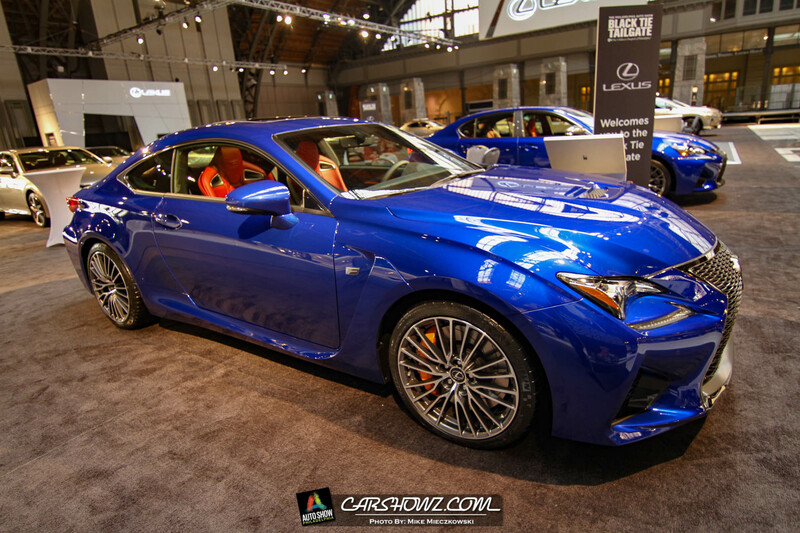 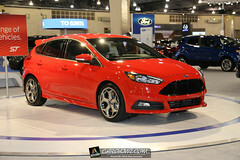 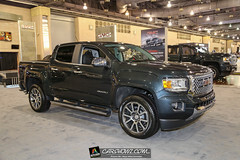 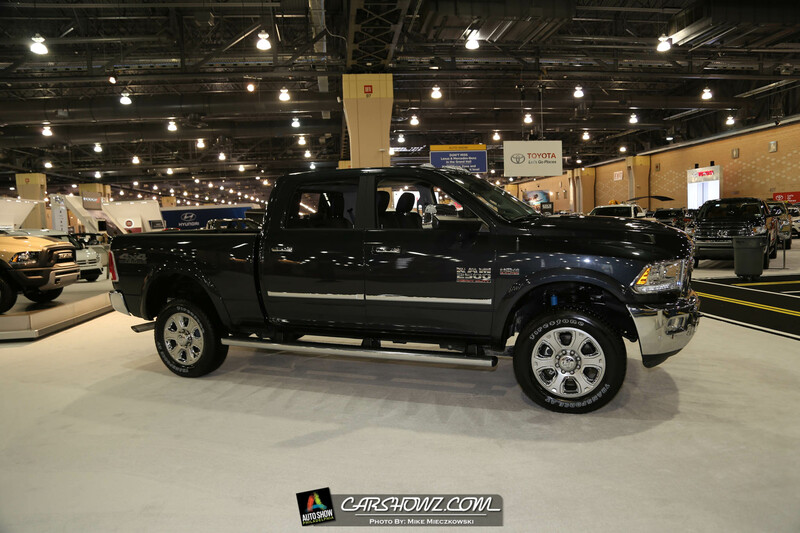 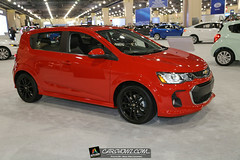 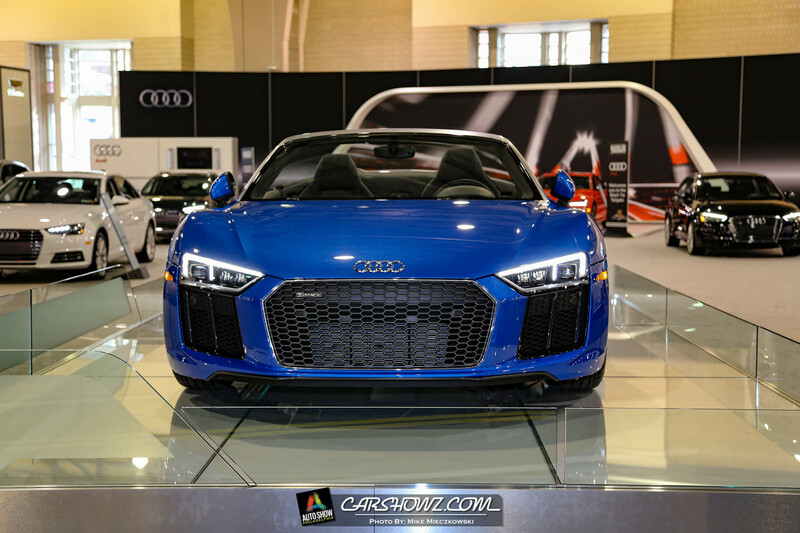 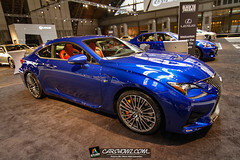 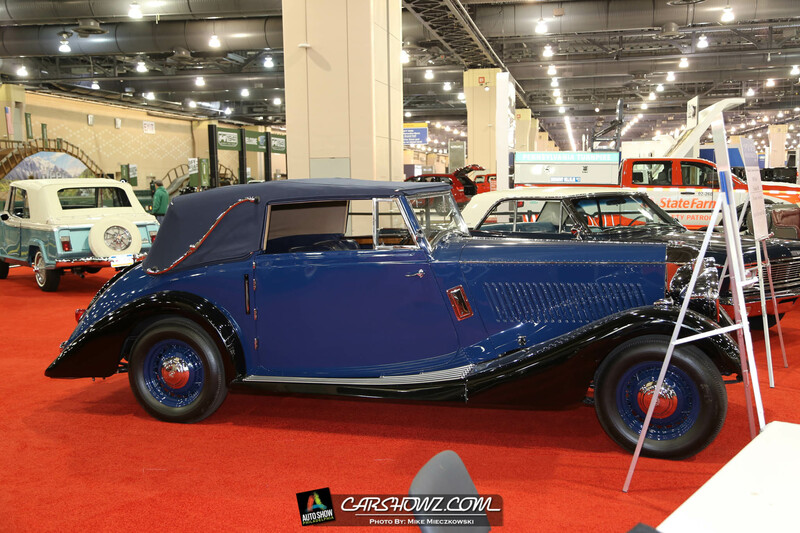 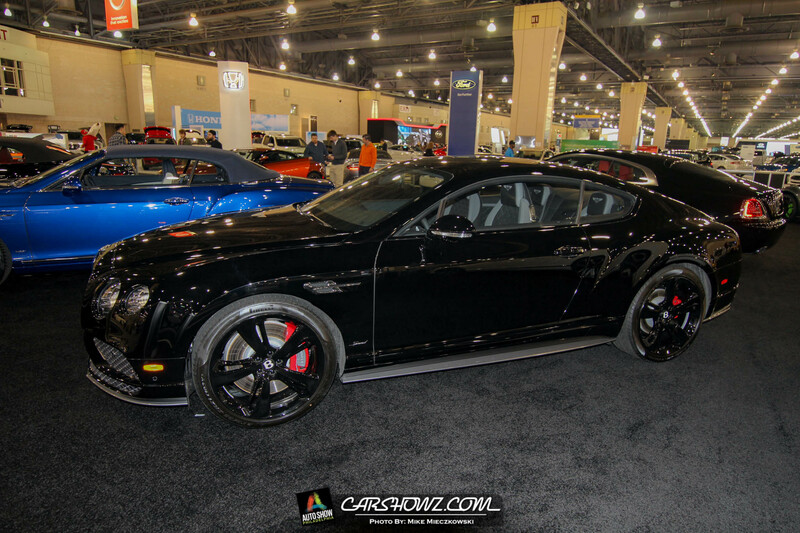 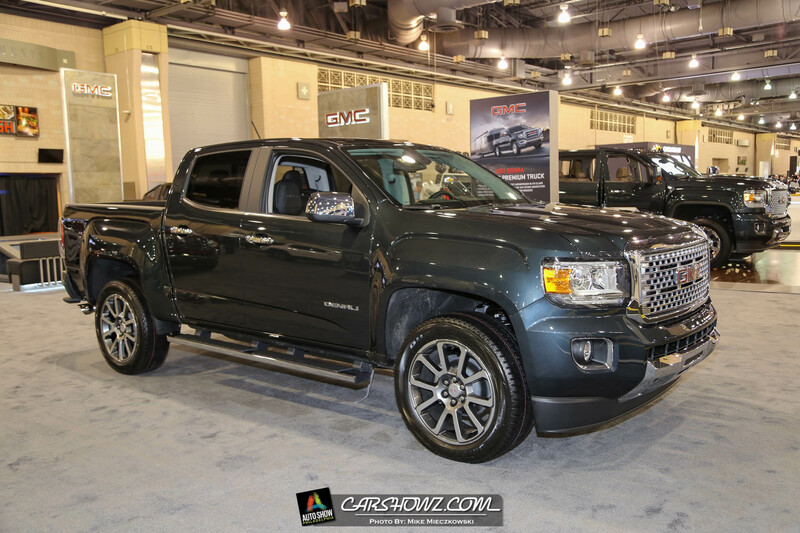 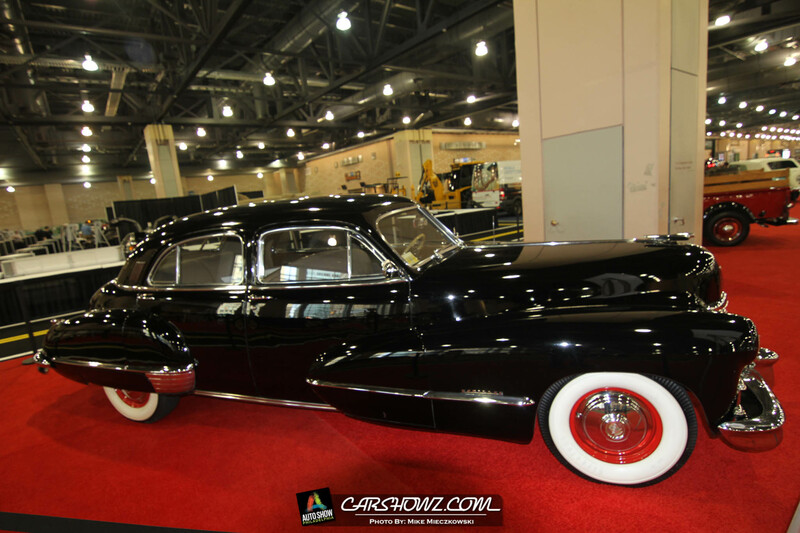 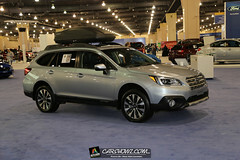 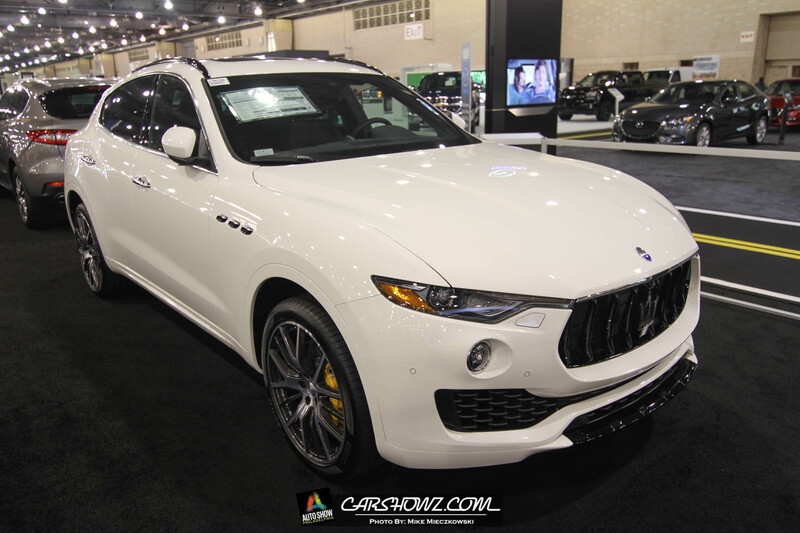 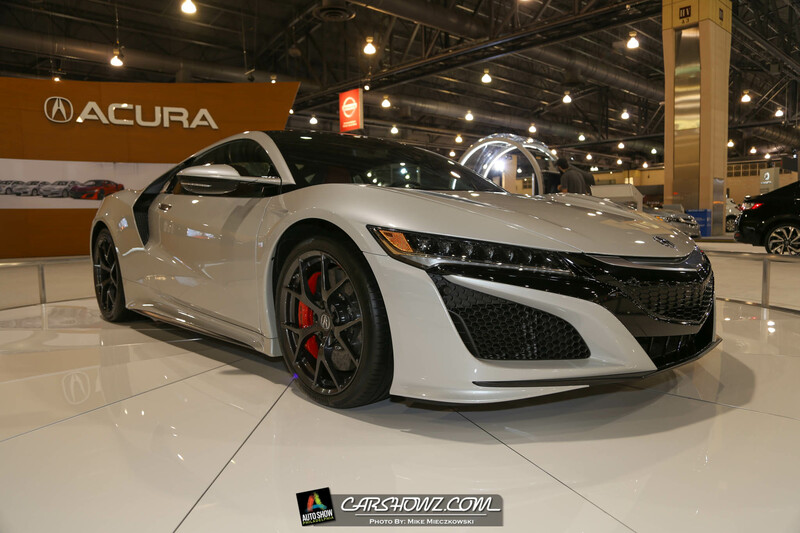 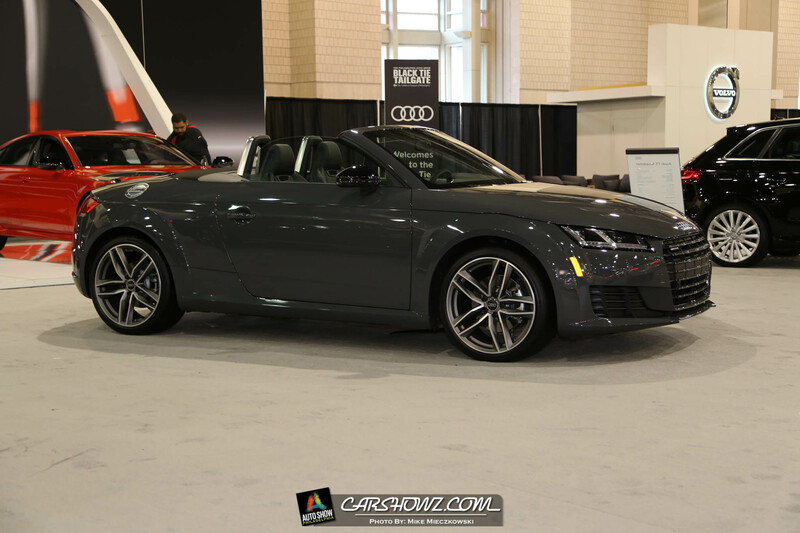 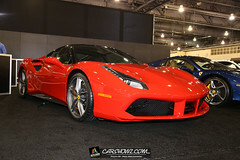 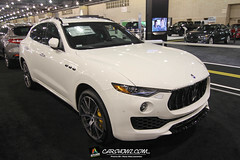 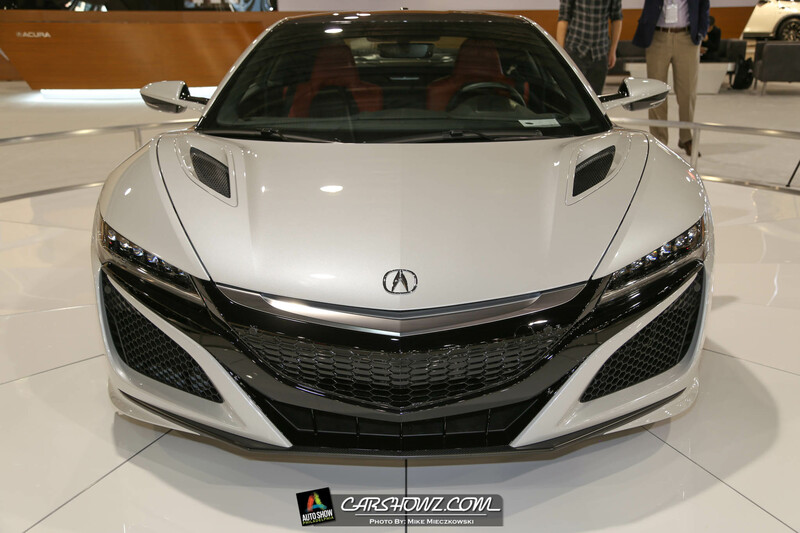 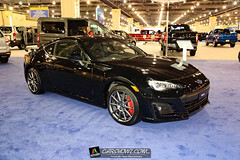 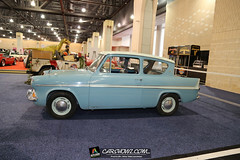 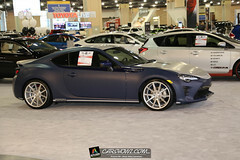 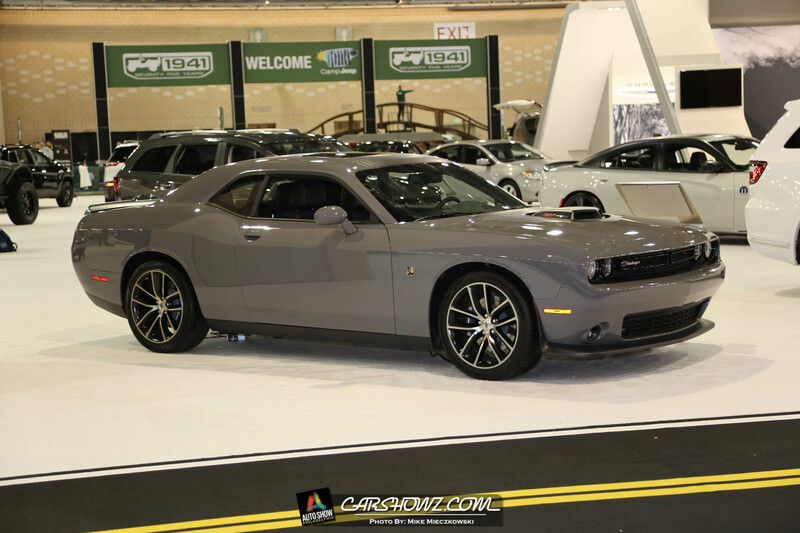 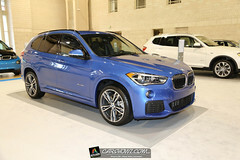 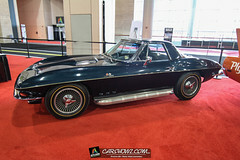 About the Philly Auto Show: We are the Automobile Dealers Association of Greater Philadelphia (ADAGP); a non-profit organization consisting of approximately 180 local franchised new car and truck dealers in the five-county region of Philadelphia. Established in 1904, we are the oldest association of our kind in the nation. Our mission is to support, promote and protect the common interests of the franchised new car and truck dealers of Greater Philadelphia by providing services and programs, disseminating information, enhancing dealership image and pooling collective influence for the benefit of our members. 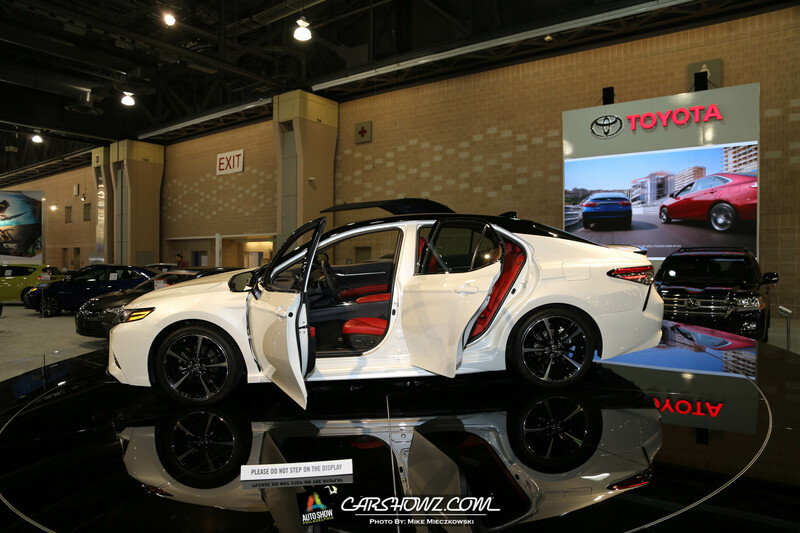 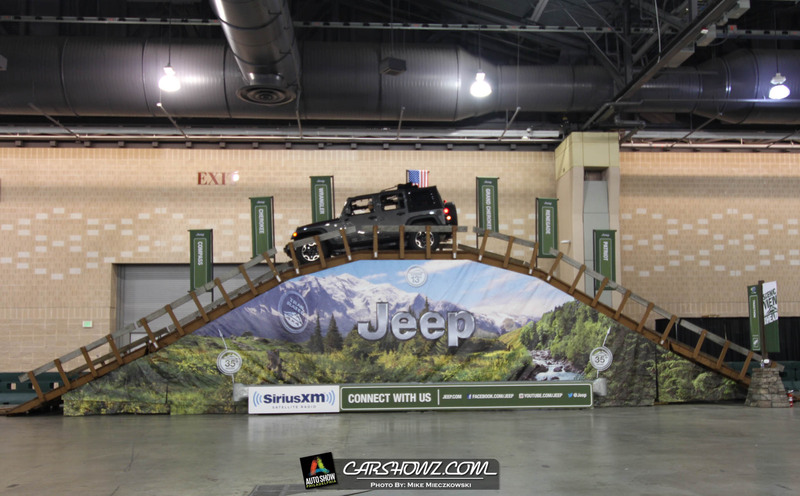 We do this through a number of activities, education programs, events and more.The Philadelphia Auto Show has become our – and one of Philadelphia’s – largest consumer-oriented events.